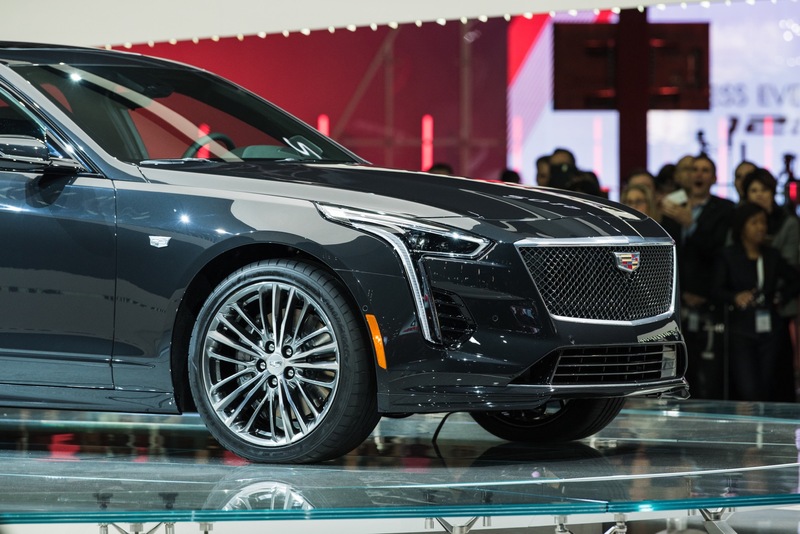 If you haven’t yet heard, the highly-anticipated 2019 Cadillac CT6 V-Sport is dead. 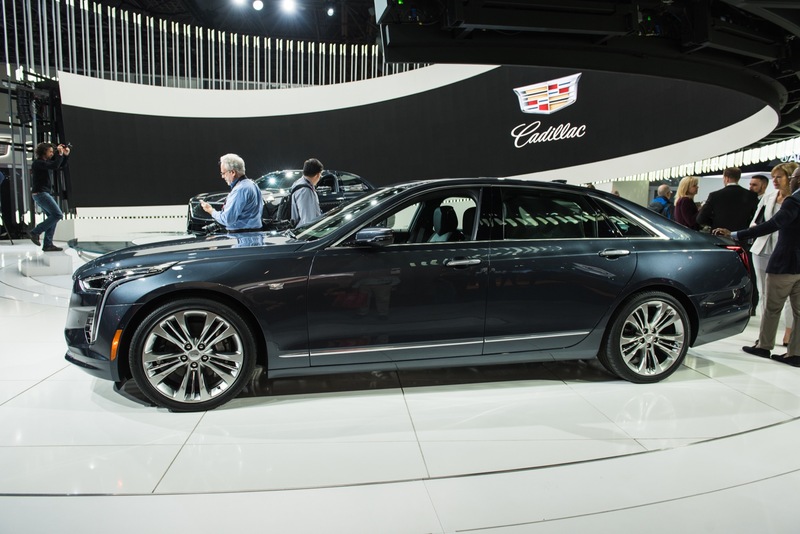 Instead, Cadillac has decided to rename the high-performing sedan to CT6-V. The name change is non insignificant. Let’s explore it in hopes of getting a better understanding of what’s taking place. 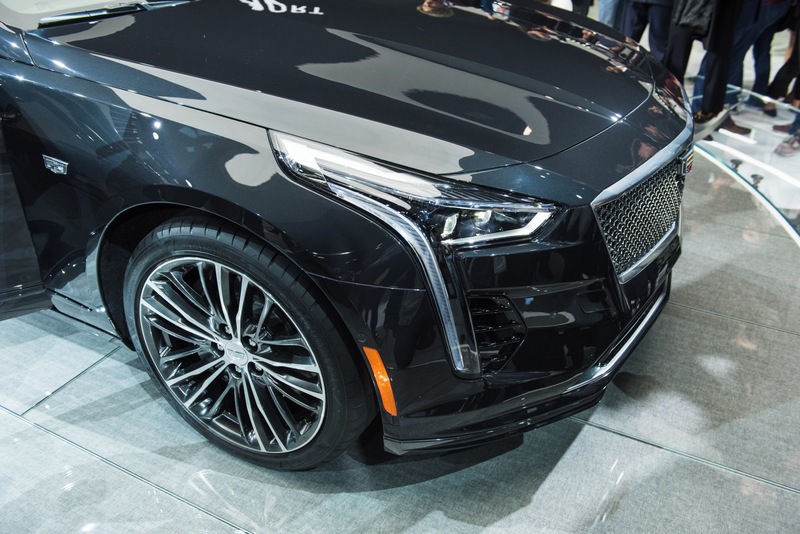 First and foremost, we should note that Cadillac hasn’t officially announced nor in any other way communicated the change from CT6 V-Sport to CT6-V to the public. That is to say that there might be more, much more to the story than what we currently know. 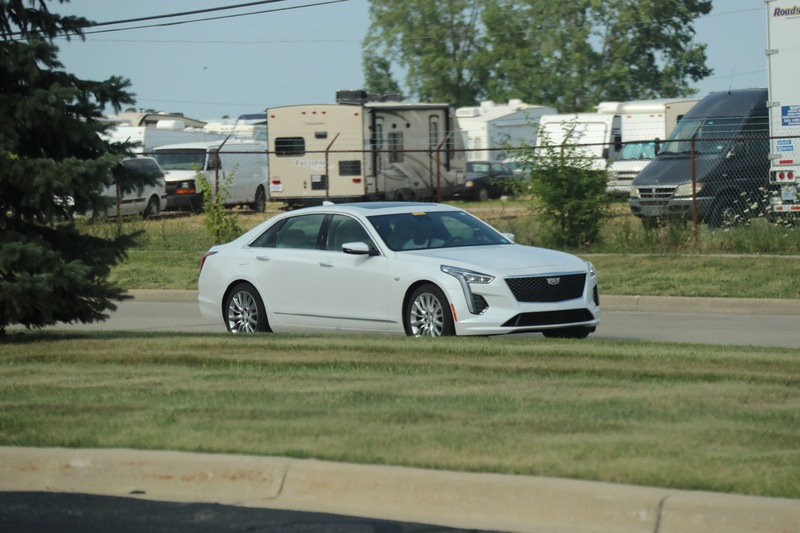 The way we’ve come to find out about it is through second-hand reports following the luxury brand’s national dealer meeting this past week. That line of thinking doesn’t really make sense to us. In fact, it’s analogous to revealing a product called “Good” that garners a lot of positive feedback and generates notable interest and attention… and six months later – before even shipping said product – coming back and saying, “Because you liked our Good product so much, we decided to change its name to “Very Good”, while keeping the product the same. 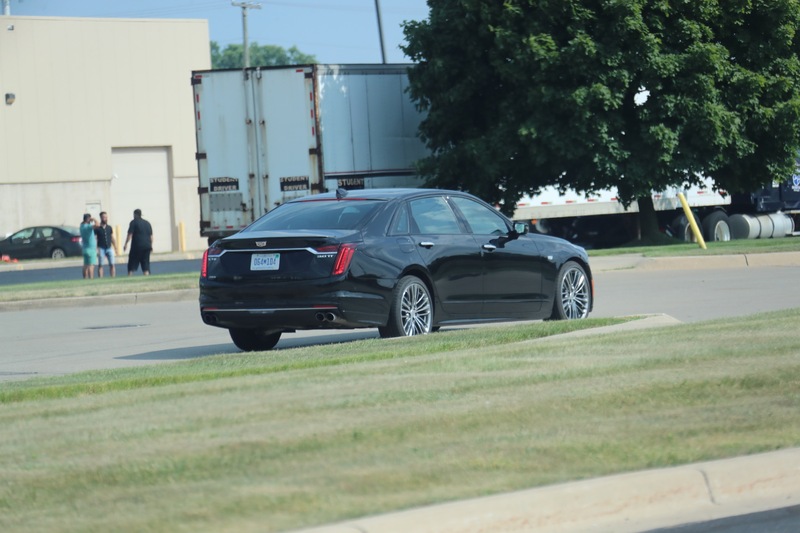 Reuss currently holds the title of GM President of Global Product Group and Cadillac. 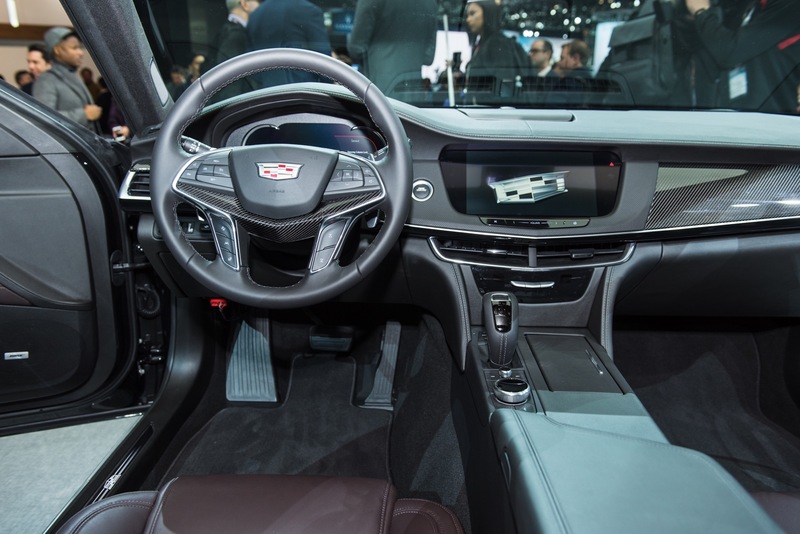 In other words, he is in charge of GM’s global product development group, which includes design, engineering, and sourcing. 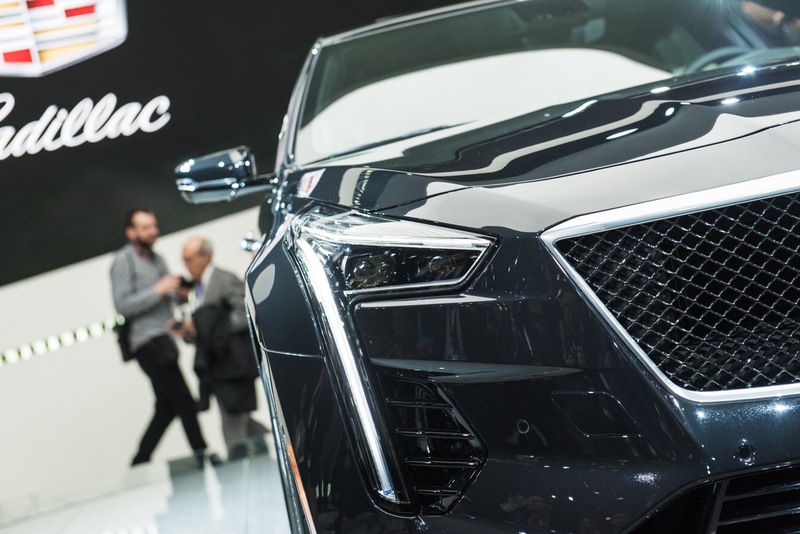 And since the departure of previous Cadillac President Johan de Nysschen, he now oversees Cadillac, slotting above Cadillac’s new President Steve Carlisle as a Cadillac Chairman of sorts. 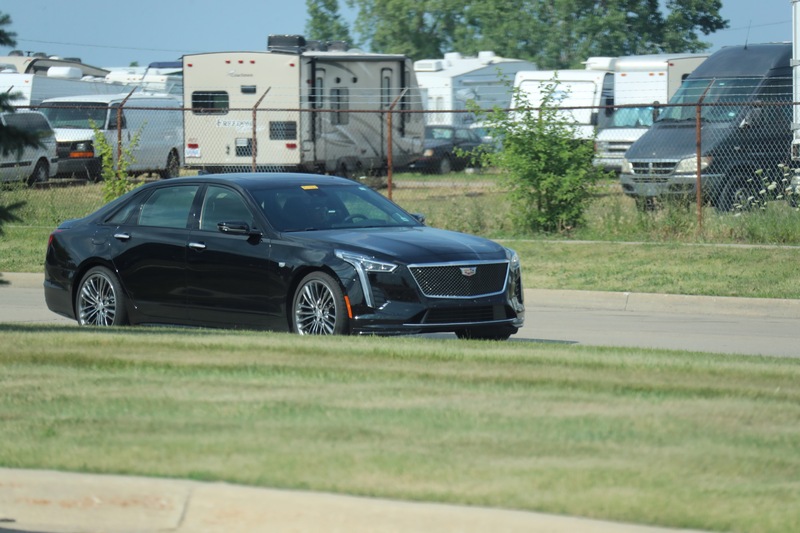 Reuss inherited the Cadillac bit from GM President Dan Ammann, who is instead focusing on overseeing GM’s autonomous vehicle efforts. An engineer by trade and a certified industry pool driver at the Nurburgring, Reuss is a car guys’ car guy. 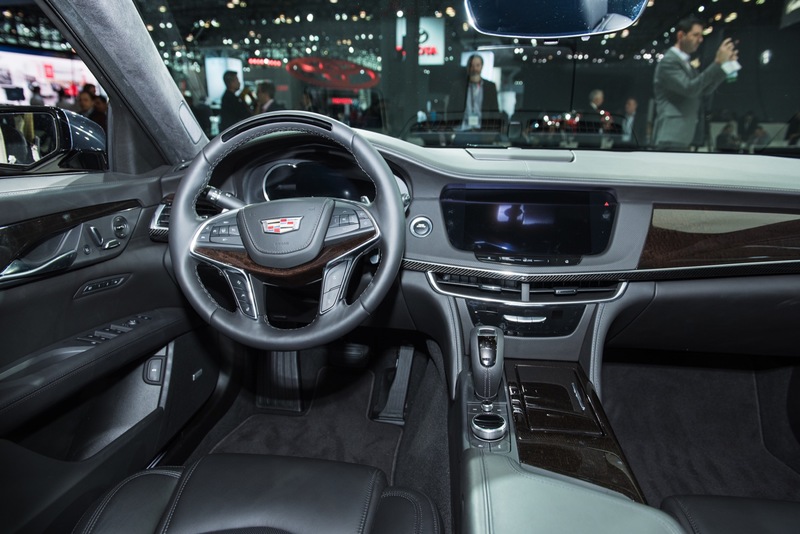 He is known to have fought for product quality internally at GM, infamously grappling with other leaders to equip the Cadillac CT6 with a set of high-end door handles during the model’s planning and development process. He ultimately lose that battle. 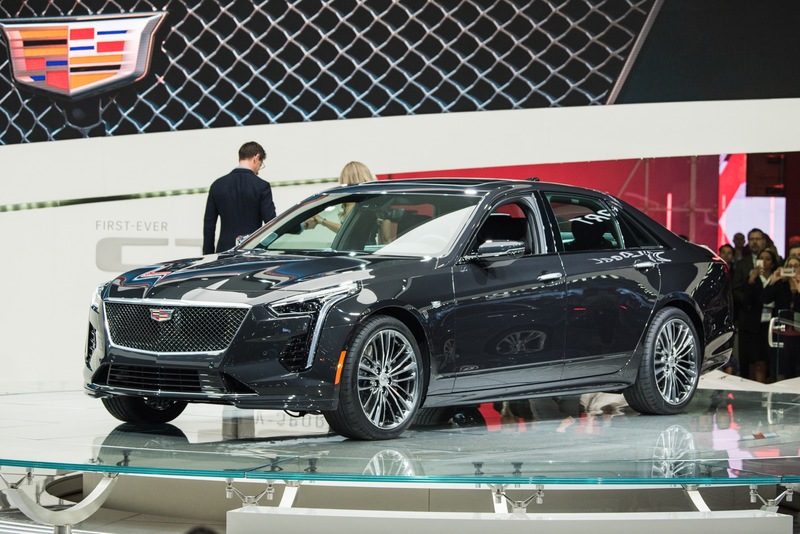 The CT6 and CT6 V-Sport were both developed under Reuss’ oversight, as were the vehicles underlying platform, engines and technologies. 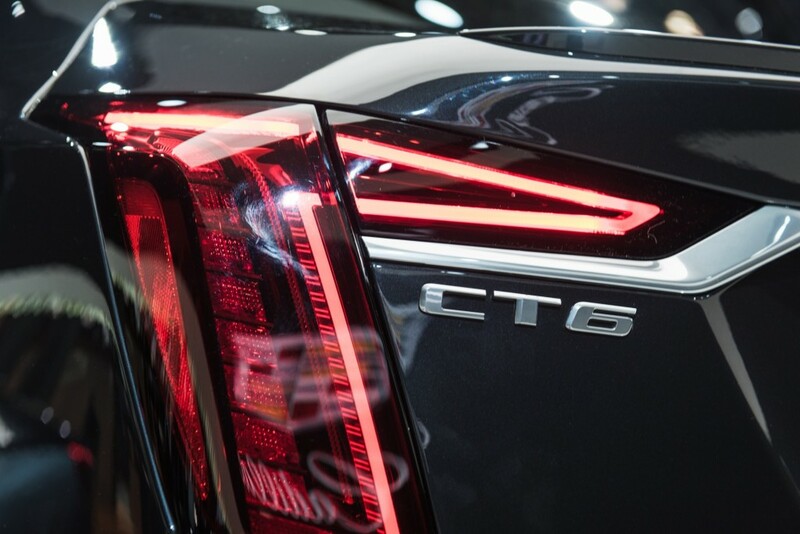 But none of that actually explains why the decision was made to change the name to CT6-V.
Really Now, Why The Change? 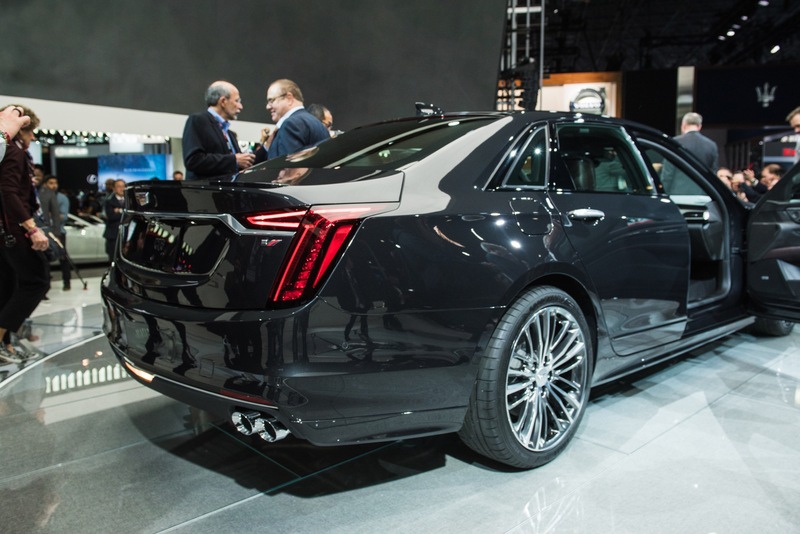 When Cadillac’s prior president, Johan de Nysschen, introduced the refreshed CT6, the high-performance model was the CT6 V-Sport. 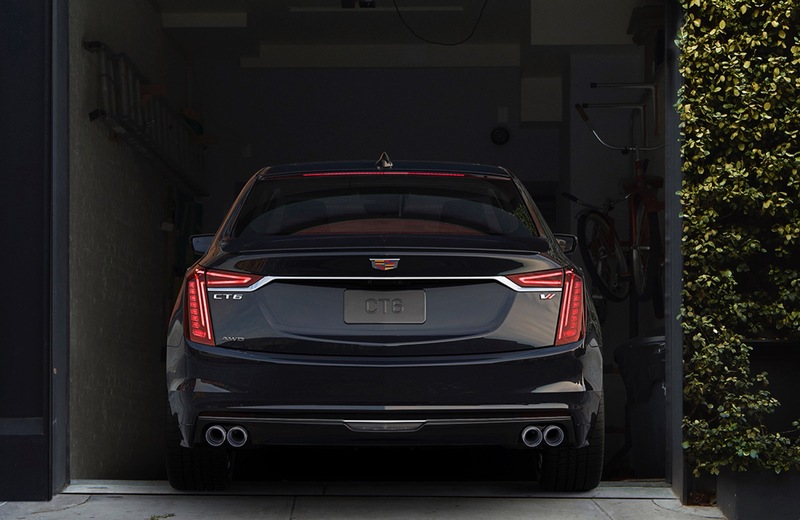 It’s not a far stretch to conclude, then, that the decision to change from CT6 V-Sport to a full-on CT6-V was made after his departure. 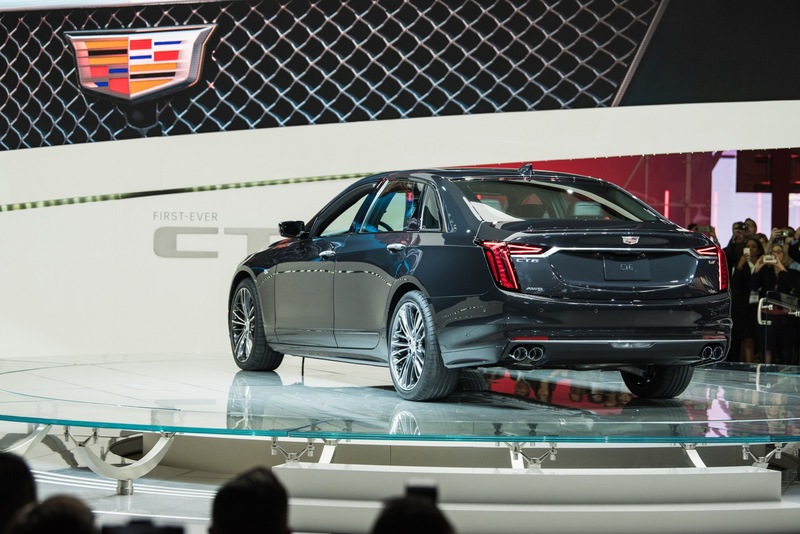 The way the move was allegedly communicated to dealers during the presentation was under the premise of expanding the Cadillac V-Series range, a move that will start by discontinuing the ATS-V and CTS-V.
Alas, that statement doesn’t provide a clear-cut explanation for the naming change. 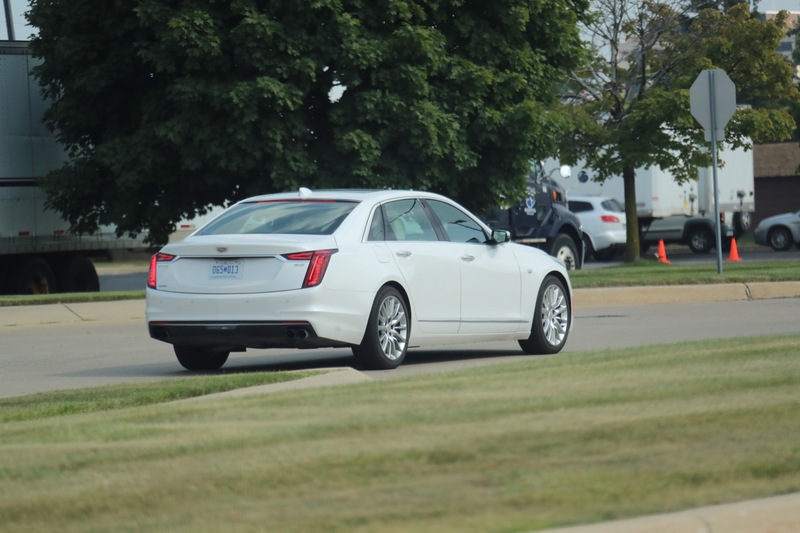 But it does tell us that GM’s semi-autonomous luxury car division is focused on expanding the V-Series line. 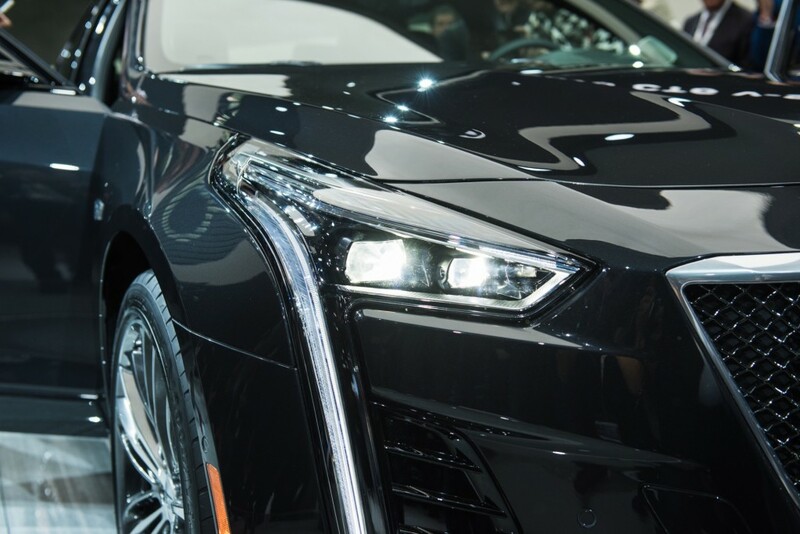 We’re all for that strategy, as it’s a common-sense way to sell more cars, increase profitability, and improve the image of Cadillac as a brand. But all those things will only take place with products that live up to the kind of product substance built up by authentic V-Series models. In other words, the product must do the badge justice. 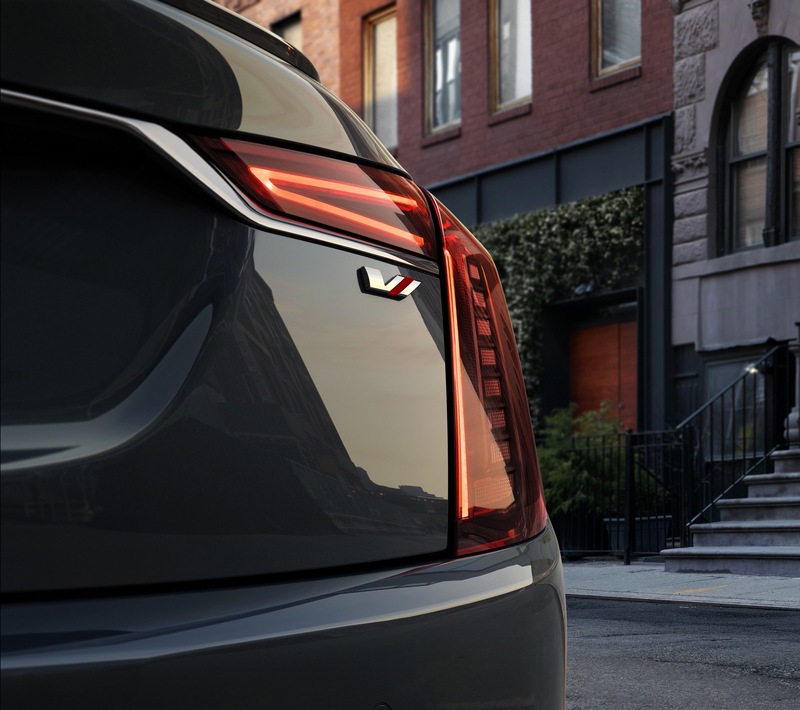 Giving a lukewarm Cadillac model the V-badge for the sake of expanding the lineup without much product substance that sets a Cadillac V car apart from other Cadillac models and apart from the competition will deliver detrimental results. 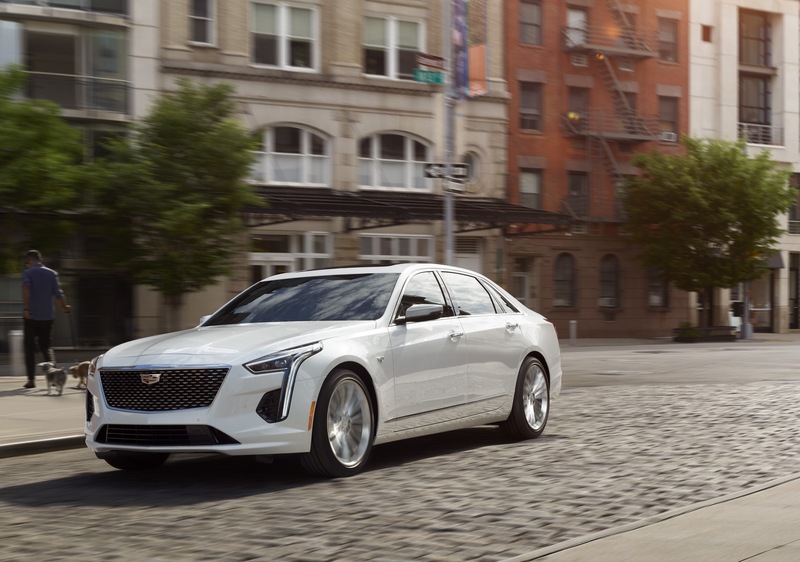 Another rather noteworthy byproduct of Cadillac rechristening the CT6 V-Sport to CT6-V is that the move completely upends the hierarchy the luxury automotive brand has established for its sporty and performance models. 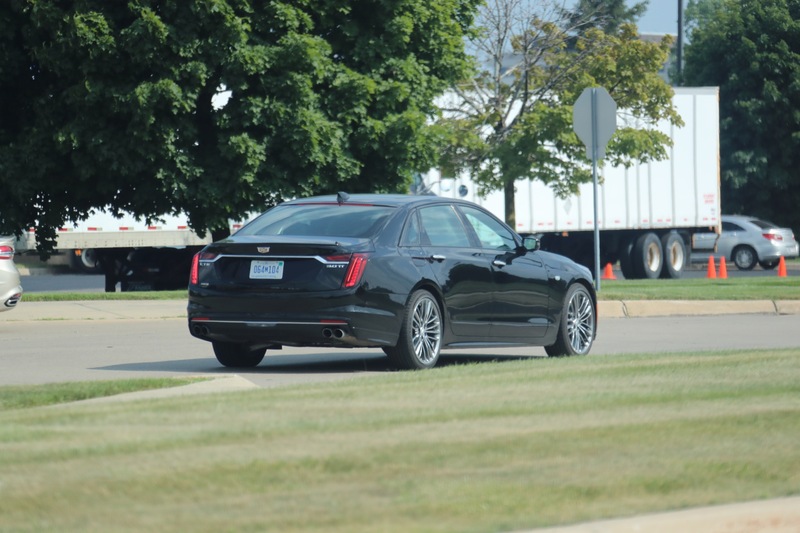 From what we know and understand, the brand isn’t planning to make a CT6 V-Sport to slot under the newly-named CT6-V. 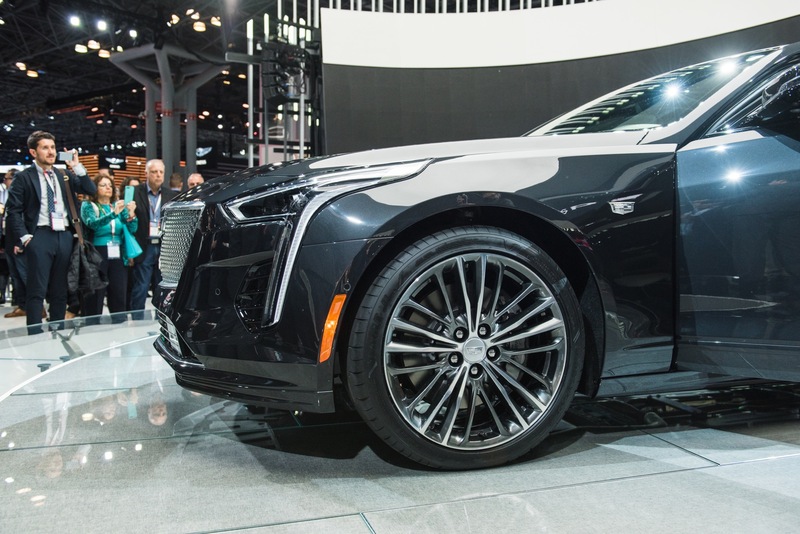 Put another way, Cadillac is promoting the CT6 V-Sport to CT6-V, but isn’t planning on a CT6 V-Sport model to slot beneath it. 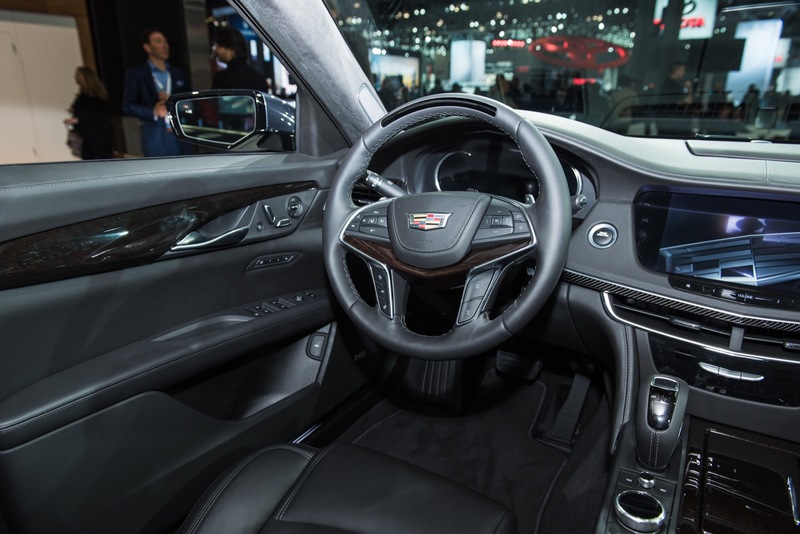 In that regard, it is defying the established “good-better-best” hierarchy established by all the successful auto luxury brands such as Mercedes-Benz, BMW, Audi, and Lexus… contenders that are infinitely more successful that Cadillac in the luxury game. Heck, that structure is also present on almost every consumer good outside of autos. 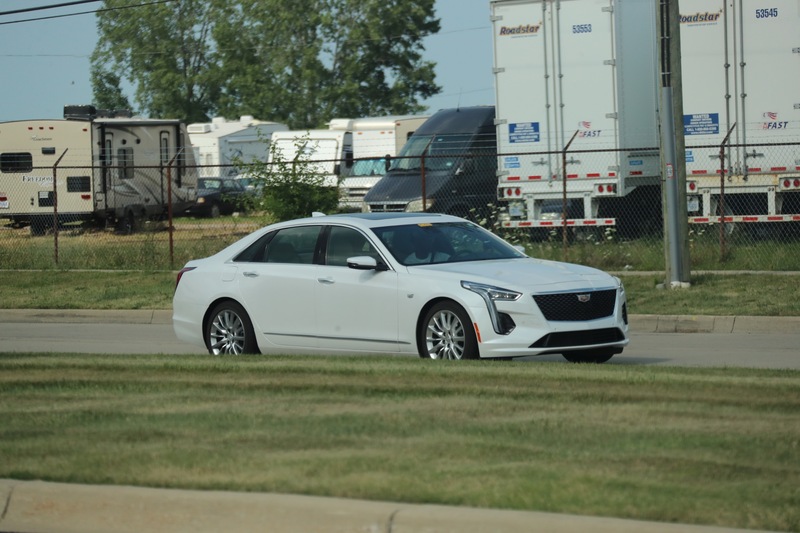 Instead, it would seem that Cadillac is planning to offer the CT6 as the “good” model, immediately followed by the CT6-V as the “best” offering, with nothing in between. 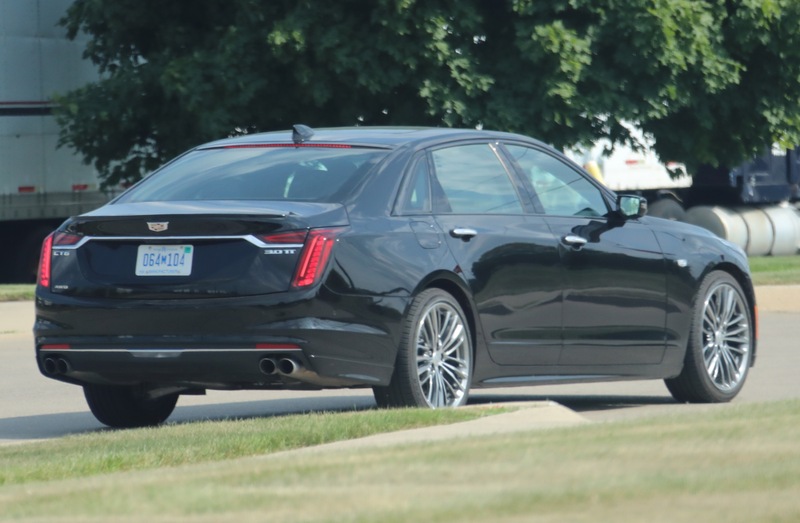 We feel obligated to note that this kind of approach had hurt the commercial success of the second-generation CTS, which offered a “regular” CTS and the all-out CTS-V, while other rivals offered an in-between model, such as the Mercedes-Benz E500, BMW 545i/550i, and Audi S6). 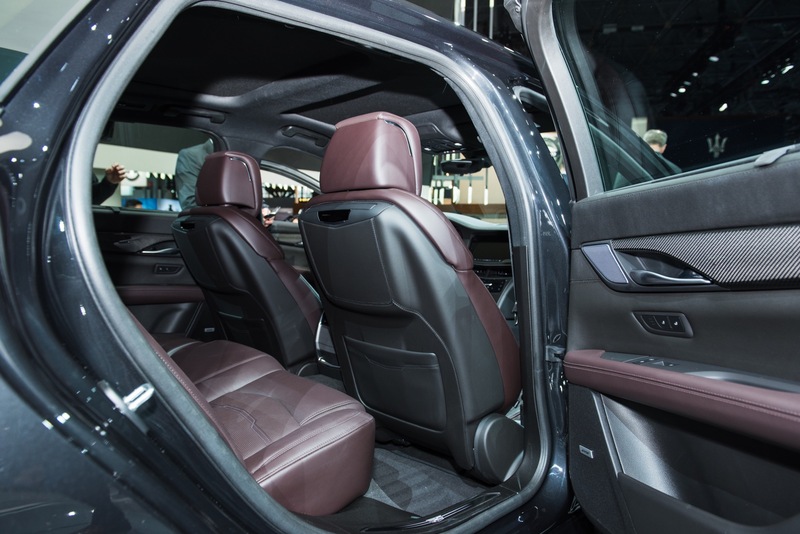 Today, the automaker doing the good-better-best approach better than anyone is Mercedes-Benz, which offers at least three versions of a model: the regular one (E300), a higher-performance “AMG Lite” model (E43 AMG) and ultra-high-performance model (E63 AMG). Each model delivers a significant amount of value and gradually increasing levels of performance, at an appropriate price. 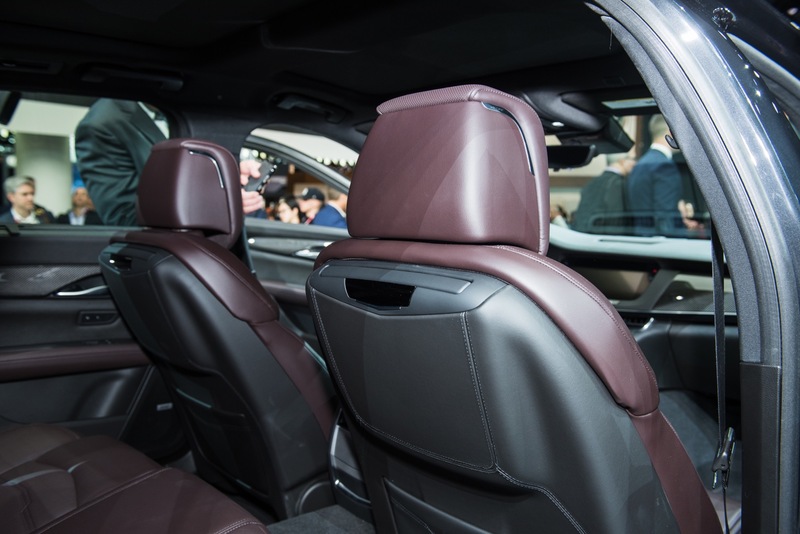 The German automaker has applied that pecking order to nearly all models within its range to extremely great success, and currently is often regarded as the automaker to beat. 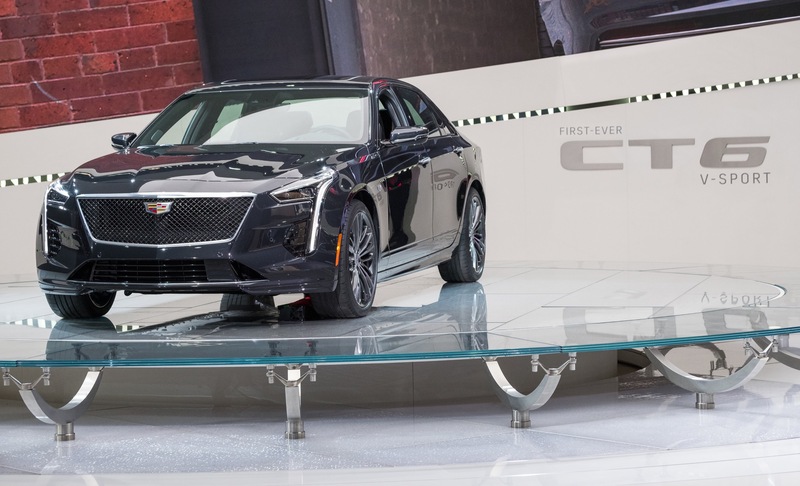 Meanwhile, Cadillac seems to have not gotten the memo that it stands to benefit from offering progressive stair-step variations for its products. 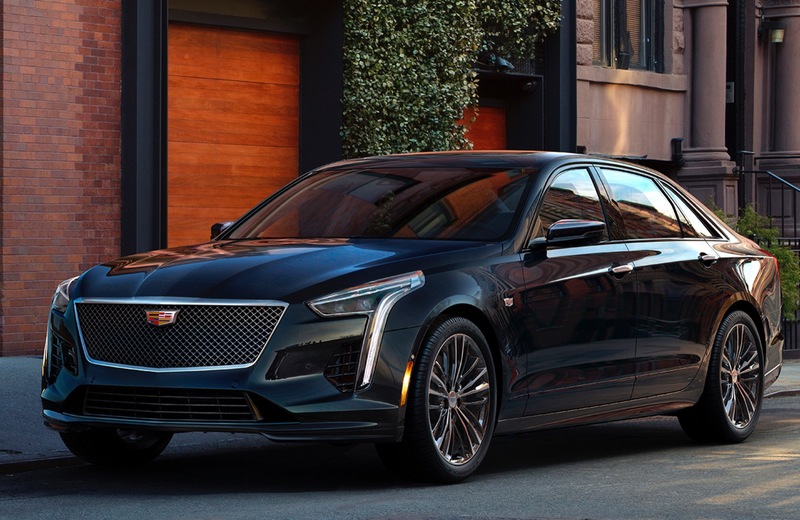 Or perhaps it simply forgot about its own third-generation CTS, which is offered in CTS, CTS V-Sport, and CTS-V flavors. 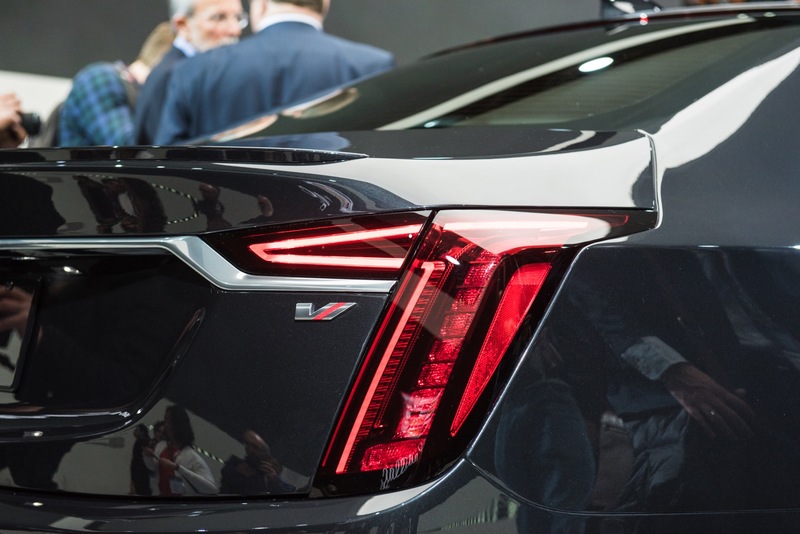 The limited information we have is the equivalent of reading tea leaves… and there could very well be much more to the CT6-V decision than we currently are aware of, and than we currently understand. 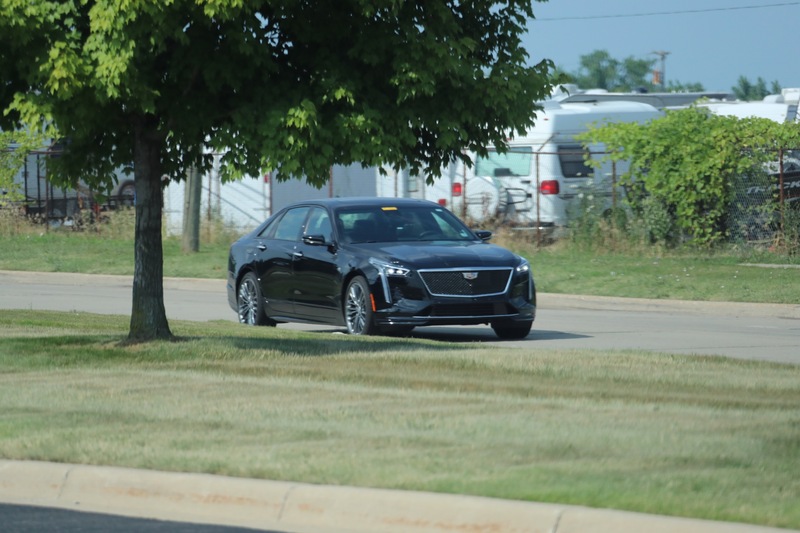 In the meantime, all we can do is wait for GM and Cadillac to fill in the details while reading the latest Cadillac news here at GM Authority. 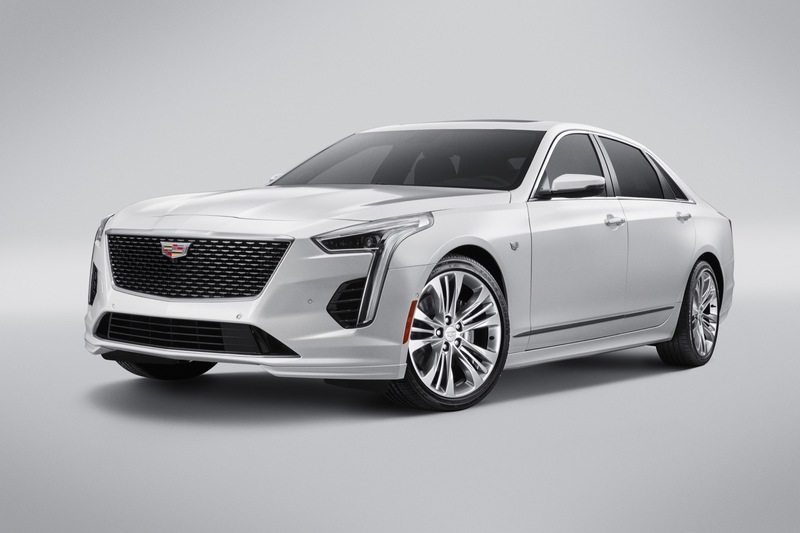 Initially announced in March 2018, the 2019 Cadillac CT6 V-Sport, now called CT6-V is a high(er)-performance version of the full-size Cadillac CT6 sedan. 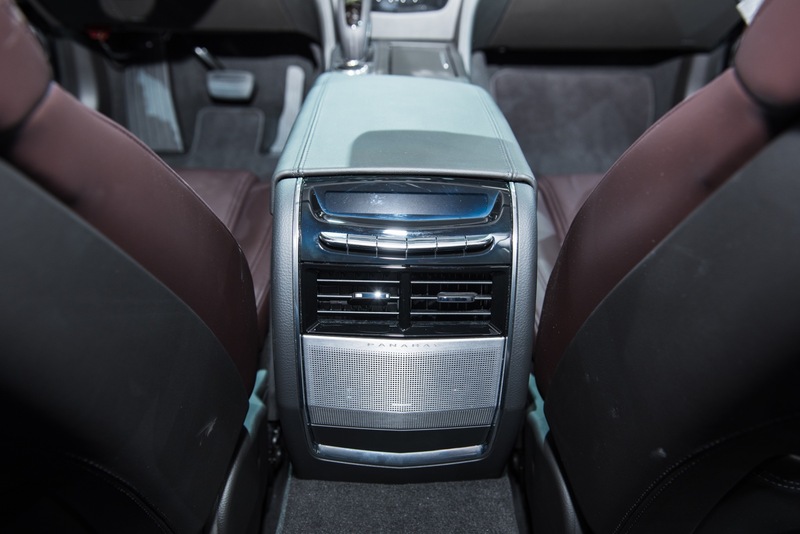 The vehicle introduces the 4.2-liter twin-turbo V8 LTA engine. 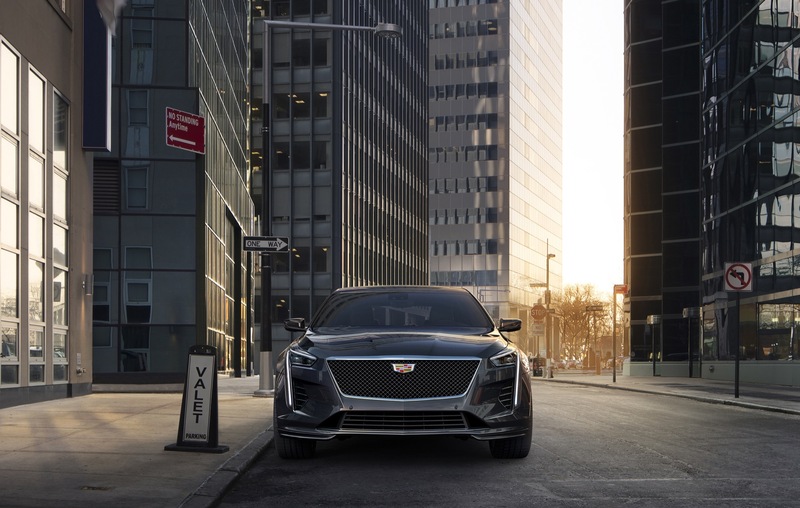 Codenamed Blackwing, the motor is the result of an all-new, clean-sheet design that represents Cadillac’s first dual-overhead-cam V8 motor since the Northstar. 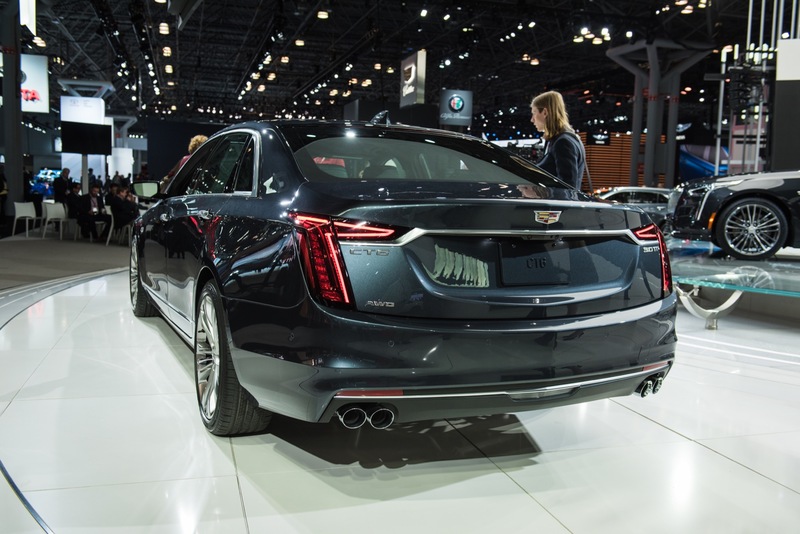 Notably, Cadillac’s 4.2L Twin-Turbo V8 Blackwing engine features a “hot-vee setup”, a configuration where the turbochargers are mounted atop the engine for quicker spooling thanks to less plumbing between the exhaust ports and turbines and smaller packaging. 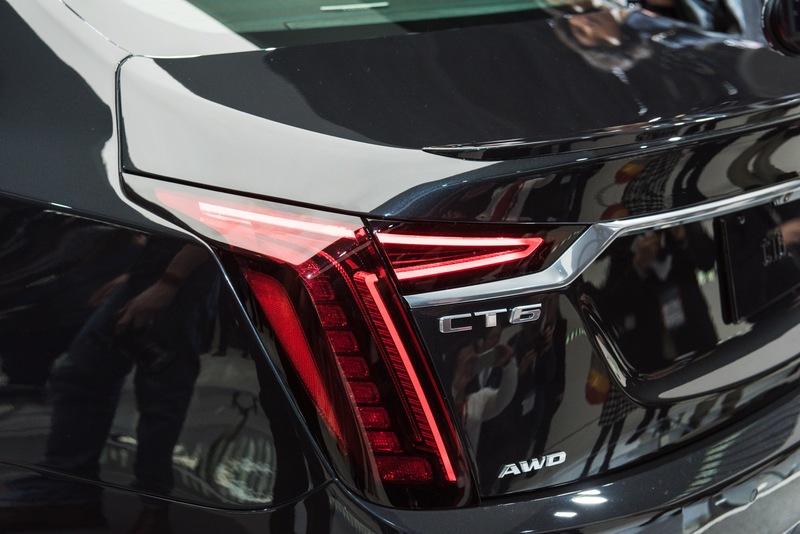 The CT6-V will be available exclusively in AWD. 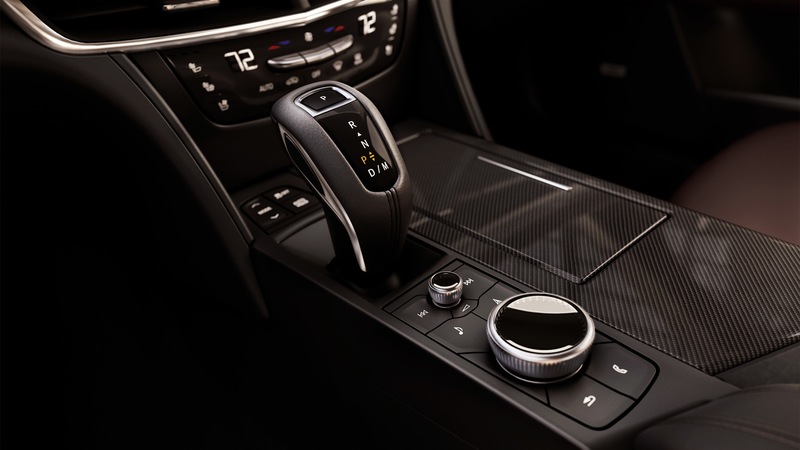 Shifting duty will come from the new GM 10-speed automatic transmission mated to a with a limited-slip rear differential and summer tires developed specially for the model. Modified tuning is applied to the steering system, with a special calibration in store for the Magnetic Ride Control dampers. 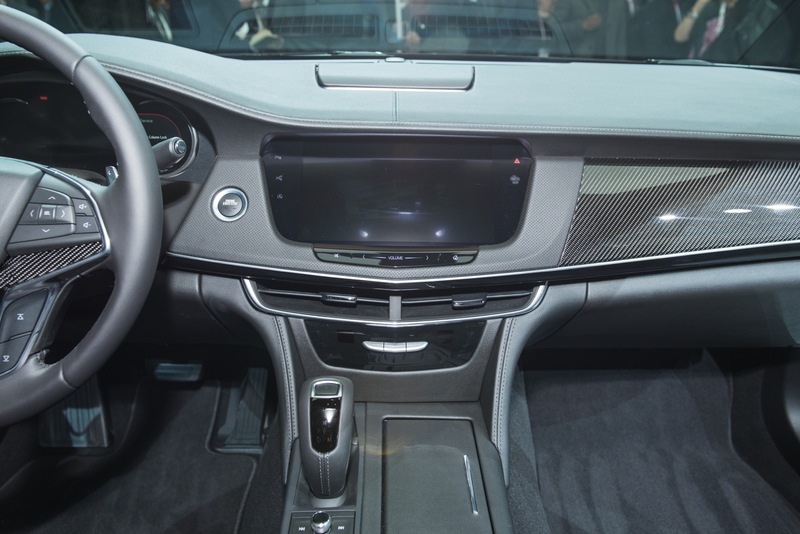 Specific suspension tuning for improved roll control, cornering capability and steering response will also be in order. 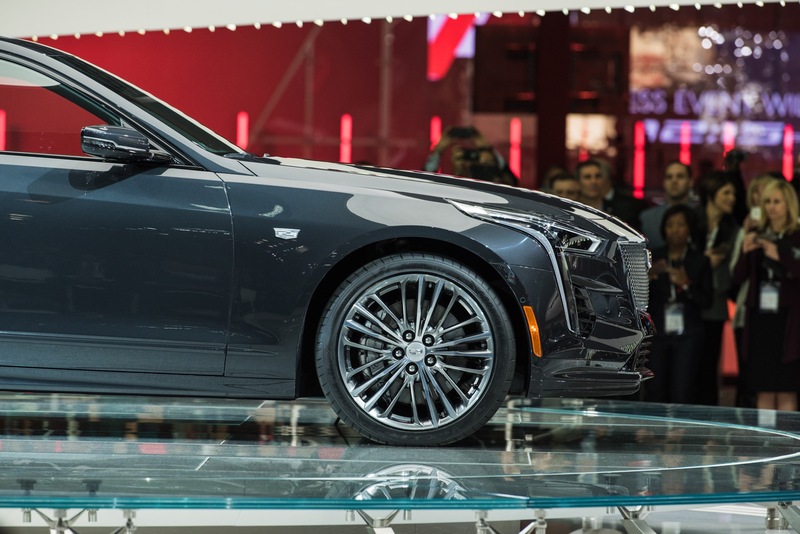 The vehicle rides on 20-inch wheels and features a new 19-inch Brembo monoblock, fixed-opposed, four-piston brake system developed specifically for the high-performance application of the CT6. 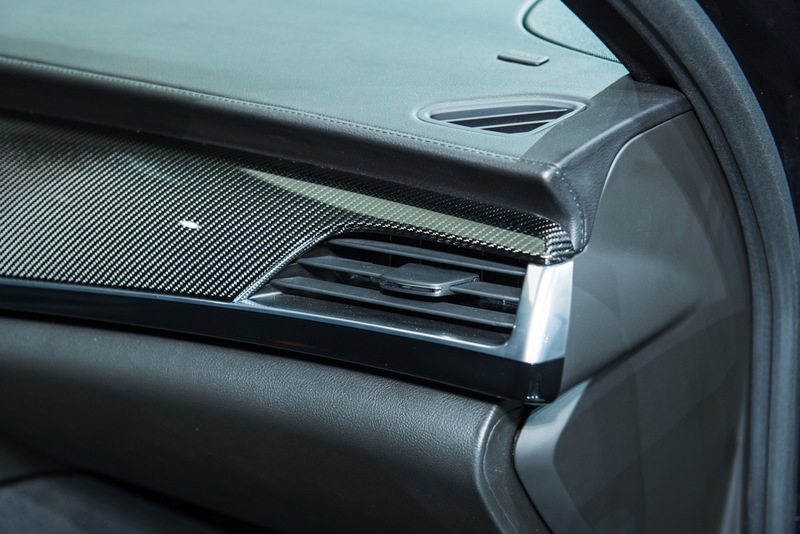 Special aerodynamics are also in order, consisting of performance linings and air deflectors that direct air to cool the brakes during sporty, aggressive driving. 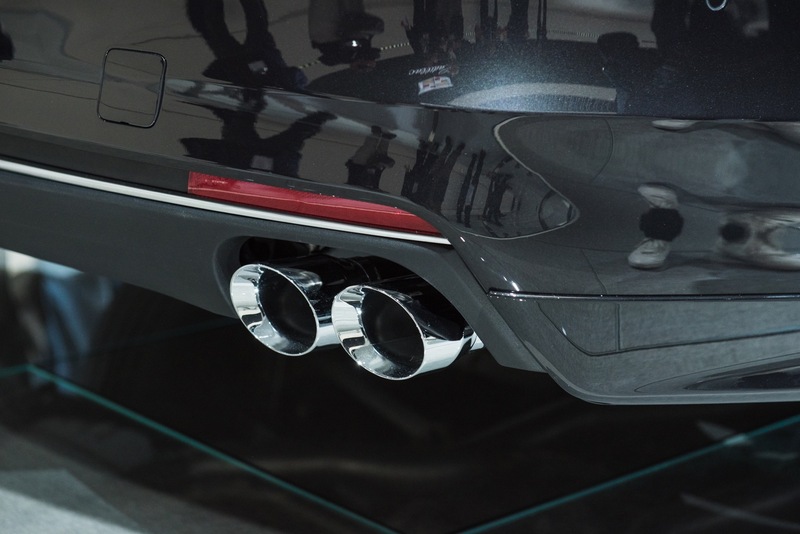 Also included is a a specially-tuned exhaust system with active valves offering reduced back pressure, more sound character and a performance exhaust note specially tuned for the high-performance model model. 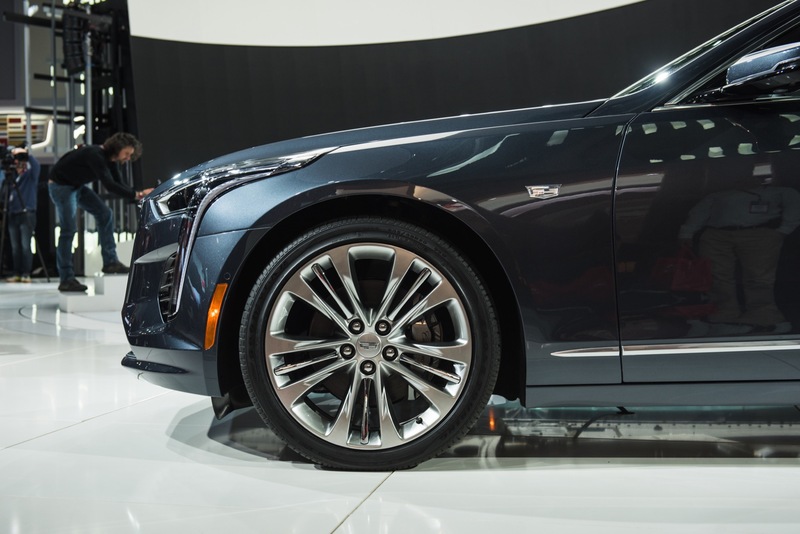 Currently unclear is when the rechristened CT6-V will go on sale. 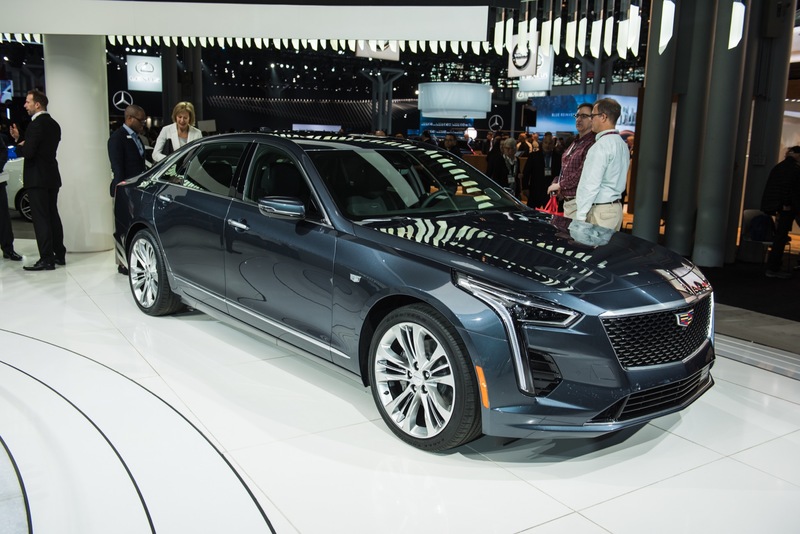 As of this writing, it has been six months since the CT6 V-Sport has been announced. 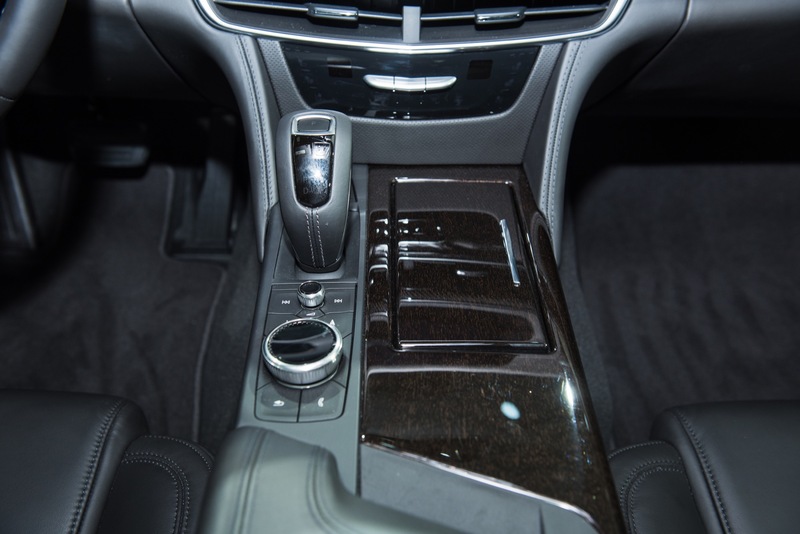 These are two v8 power options for CT6 I dont see what all the fuss is about! So would it also be “much ado about nothing… if in March 2018, I promised to have written a 3,000-word article with the title “Good Article”… then came back six months later with a 300-word article on the same subject, while change the title to “The Best Article Ever”? Honestly, would that be alright with you? Yet the point is not in the numbers. 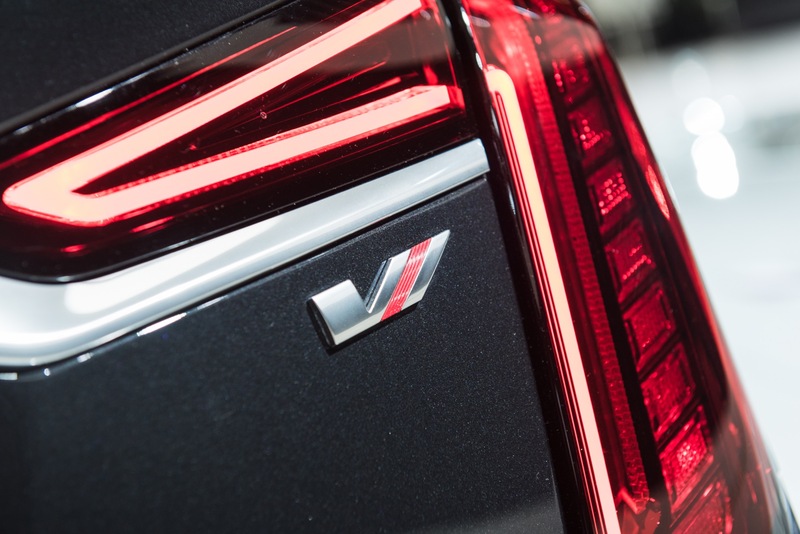 The point is whether the newly-rechristened CT6-V is actually good enough to wear the full-on V-Series badge. Is it? Isn’t it? I simply do not know… and neither do you. And until we do know, there will need to be words written about the possibilities. I agree with Brian. It’s a name and that’s it. 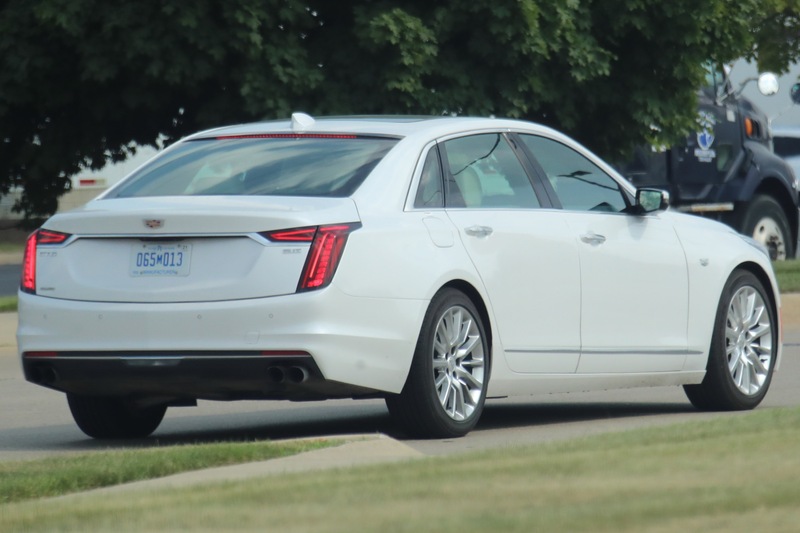 The Cadillac V badge hasn’t been around long enough or have enough reputation or prestige so as to worry about diluting it. 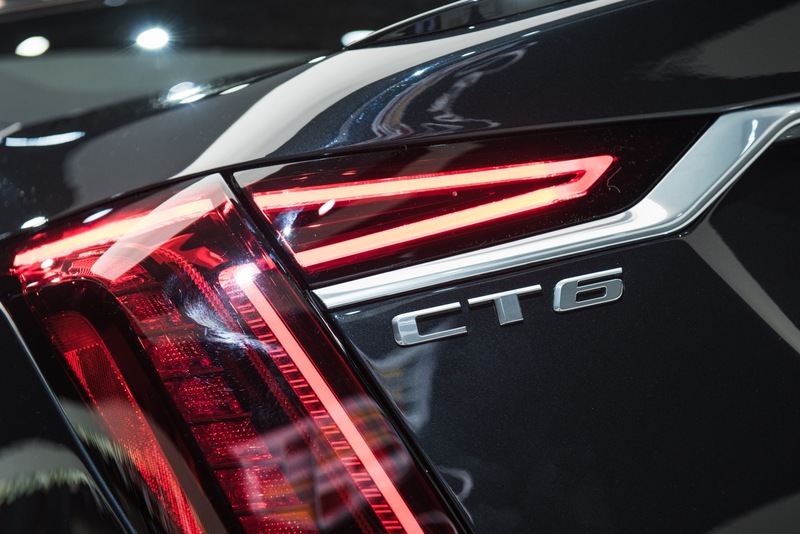 CT6-V will be the performance variant of the CT6 line. 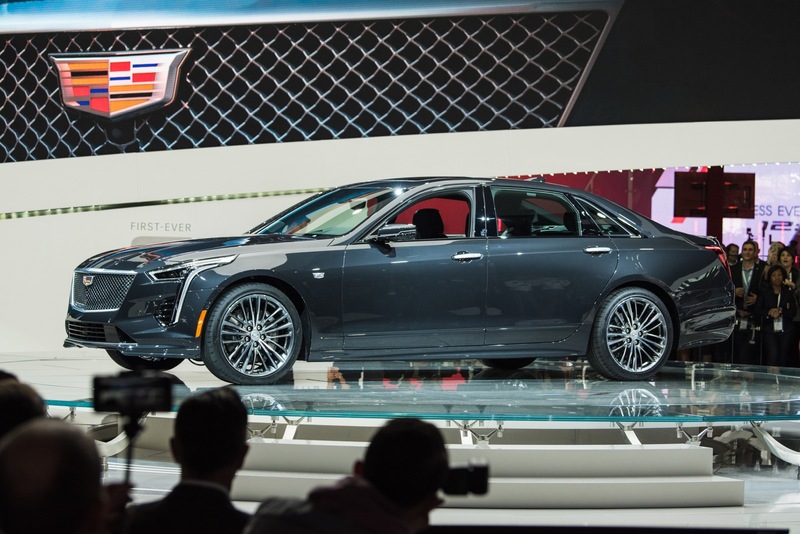 It’ll have a higher output version of an all-new Cadillac exclusive V-8. That’s still a huge development and to me, is enough of a difference. 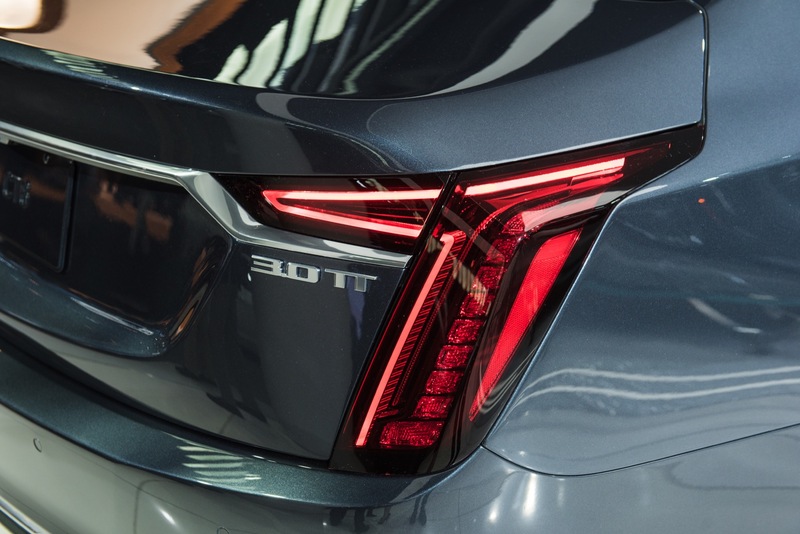 I consider that to be more appropriate than using the badge on a product with a Corvette engine or something else from the GM parts bin. 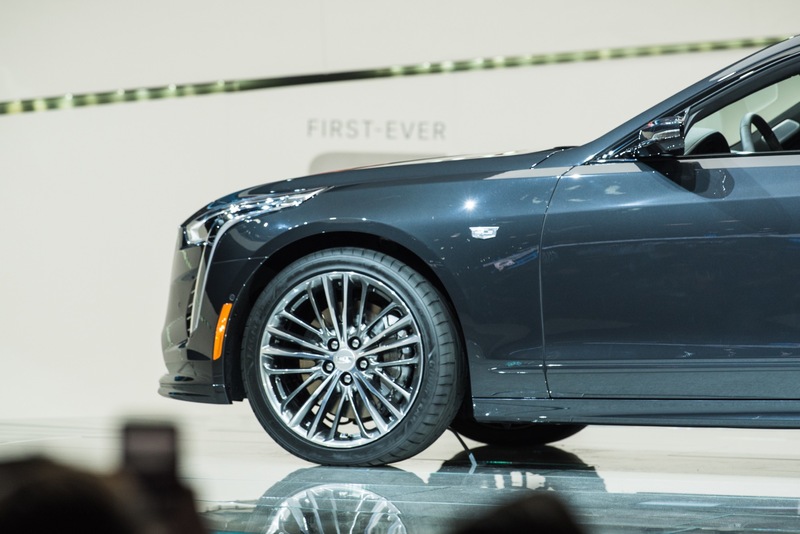 The car will have a genuine hand-built Cadillac Blackwing DOHC TT engine in high output form producing 550 hp and 627 lbs ft torque. 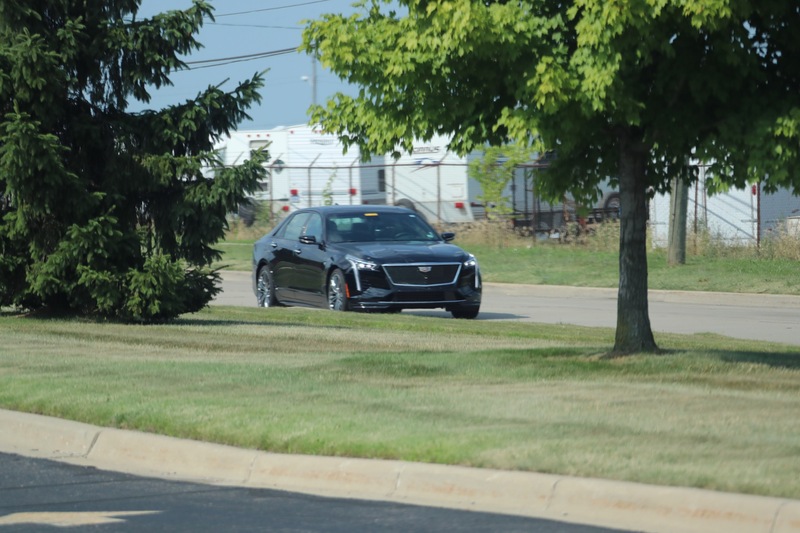 That’s an amazing achievement for General Motors; a handmade Cadillac-only mill that is technologically competitive with other carmakers. 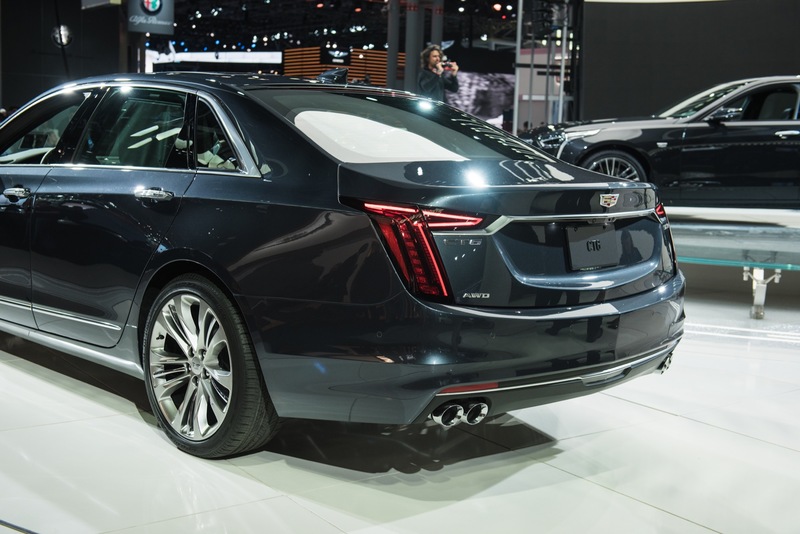 Also, how hard-edged is a performance variant of a full-sized sedan supposed to be? 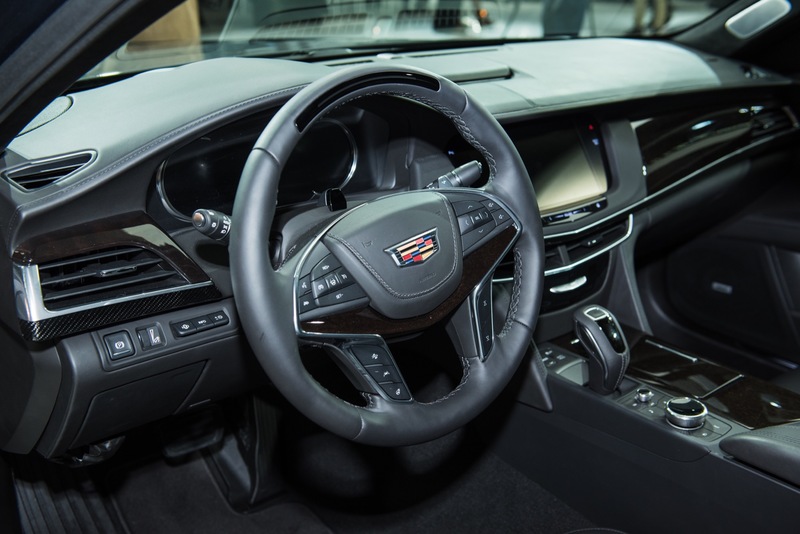 GM has to produce a product that has realistic appeal in the marketplace. 14 years of V-series cars isn’t long enough to build reputation or prestige in your eyes?! Holy hell man, good scotch only takes 12 years! You hav3 left one very real possibility out here. For example Benz has the standard car, the AMG and then in many models offer a AMG Black Series edition. The VSport just kind of vanished in the mix and many people unless they were GM or Cadillac fans knew nothing of the VSport. 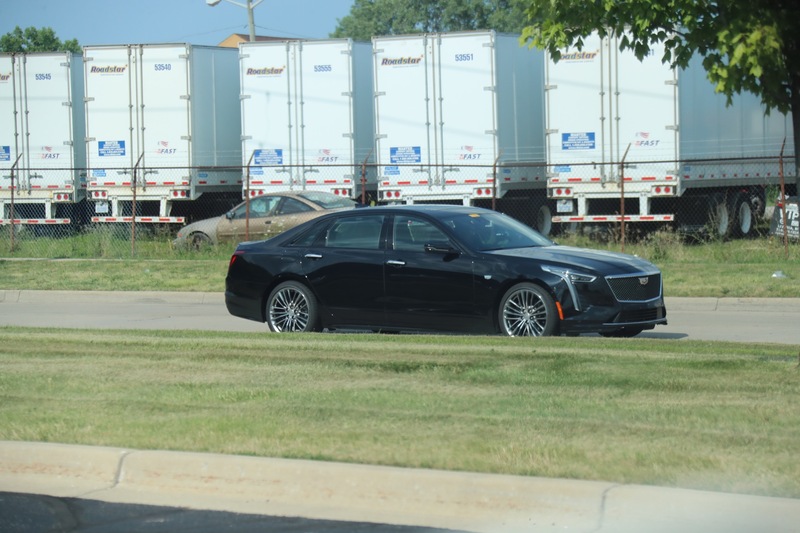 It even really did not stand out to were I can say I have seen one on the street. 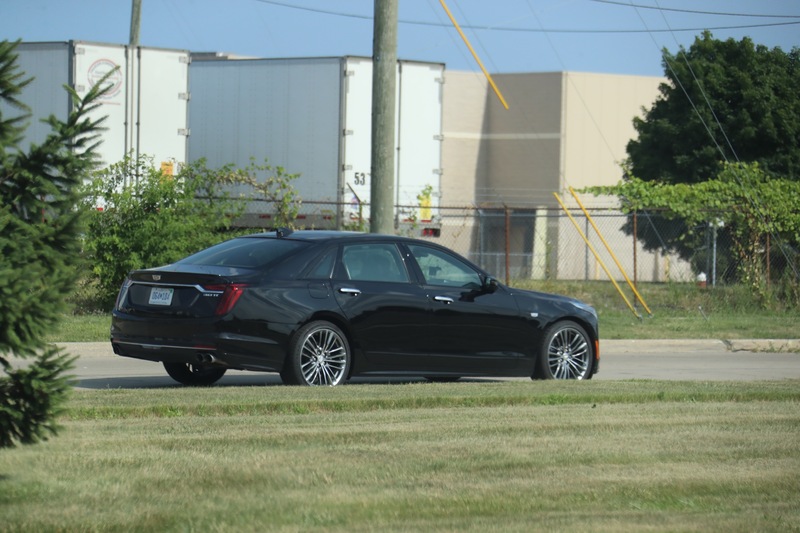 On the other hand the V Series was well known and easy to spot on 5be street. Non Cadillac people knew much about them and the hold well established image. So you keep the V Series in play but then you establish a more exclusive model over the series. 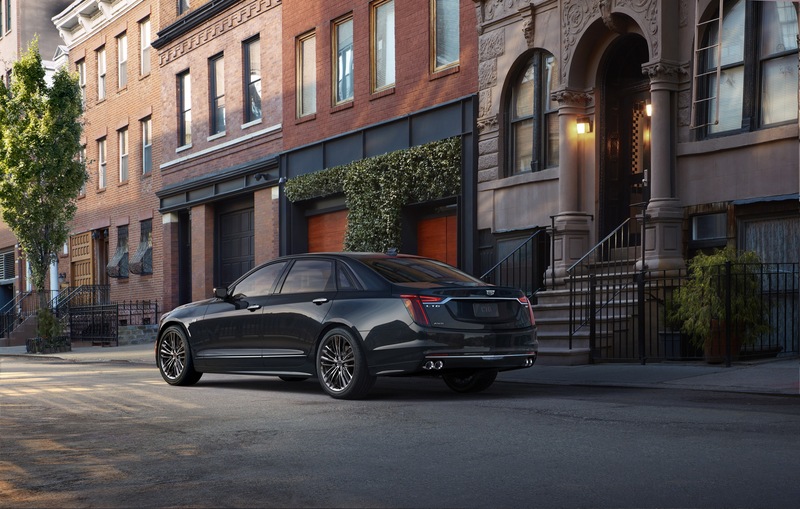 It is much easier to market a new higher model vs an almost a V series model. 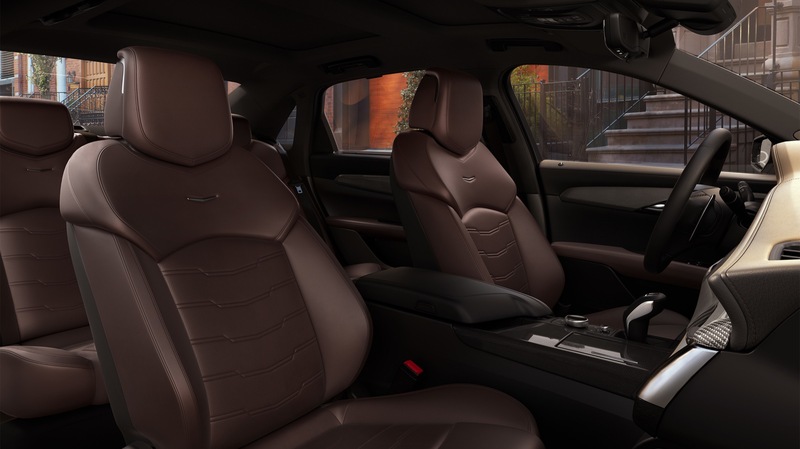 It is like GMC is now offering a Denali model and now is introducing a new Denali Ultimate edition with added content and trim. Denali is a well known name and has a ton of name equity. They add a next level and get people to spend more for a new package. This way you do not lose the present buyer but you move up some who are willing to step up. It is pure profits. 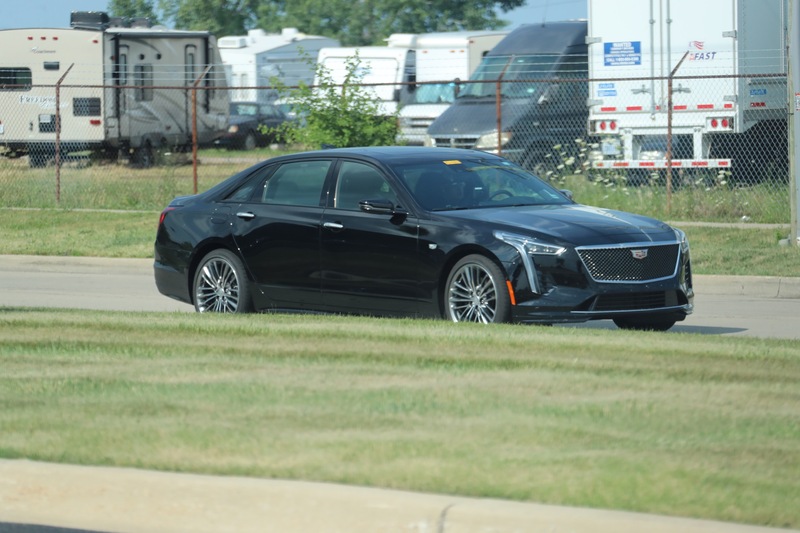 I would watch Cadillac as obviously there is more to come on this. 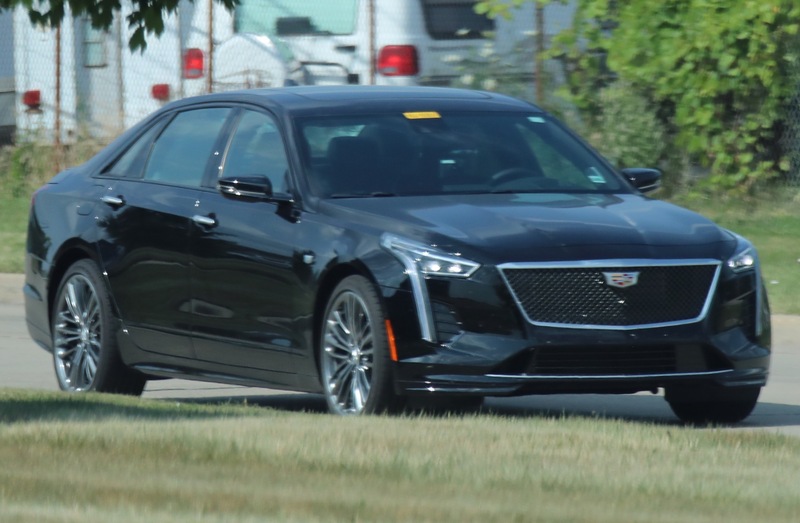 Good point, wasn’t there rumors a few years ago for the previous CTS generation that they were working on a CTSV BLACK DIAMOND that would have had the LS7 engine in it? Maybe something along those lines. I do agree with you although maybe because it was only 4 years old VSport never really stuck with me. 1. 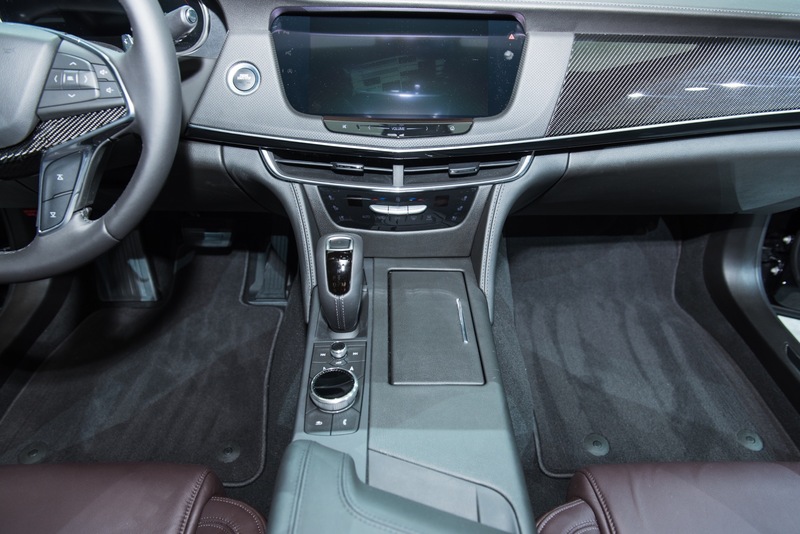 As you said about V-sports, this CT6-V will be nearly invisible. 2. 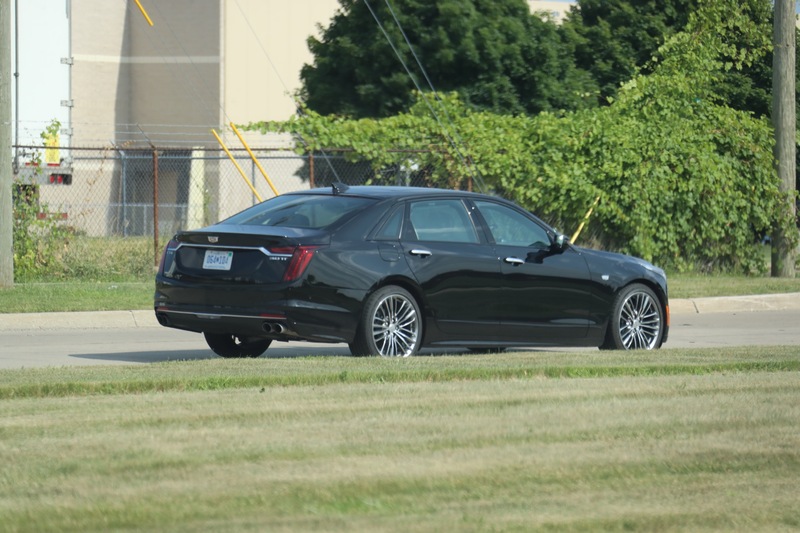 I think you exactly right about V series transitioning to more closely match Denali, but I don’t like it at all. 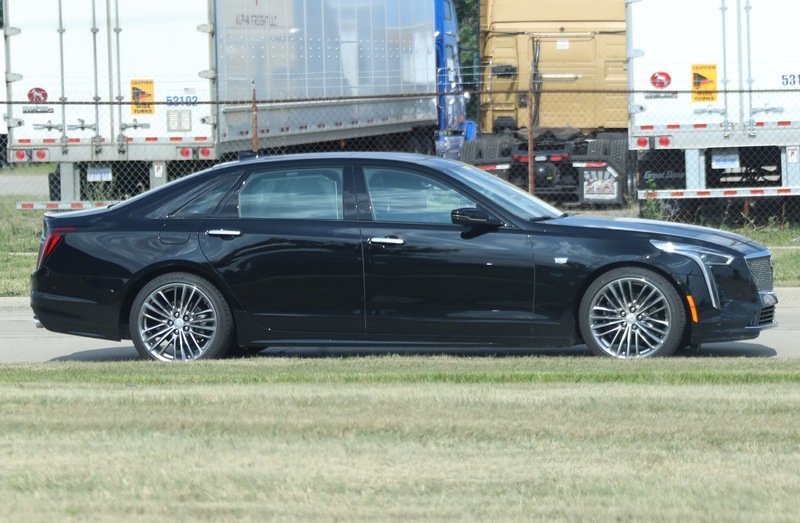 Denalis aren’t as special as they used to be….and Denali Ultimate is a total money grab. Scott, those are soooo weak. You’re letting them get away with too many excuses and too little substance and responsibility, if that’s truly how you think. 1. It’s V-Sport. Not VSport. Let’s be proper, eh? 2. 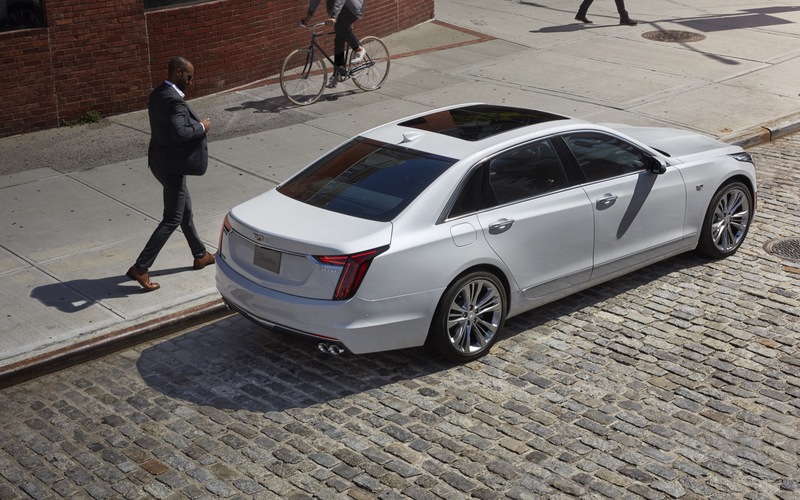 The V-Sport name was around for two models, one generation each (CTS and XTS). 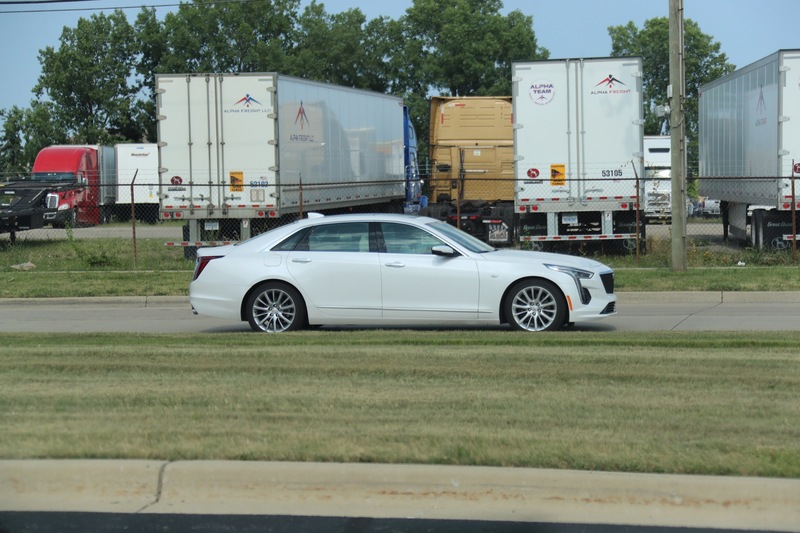 The CTS as a whole didn’t sell all that well (V or V-Sport or regular) while the XTS was a meh kind of car. The point is that five years, extremely limited exposure, and zero marketing is not at all enough to teach the public about your product… whether it be called V-Sport, Super Sport, or whatever other kind of Sport. 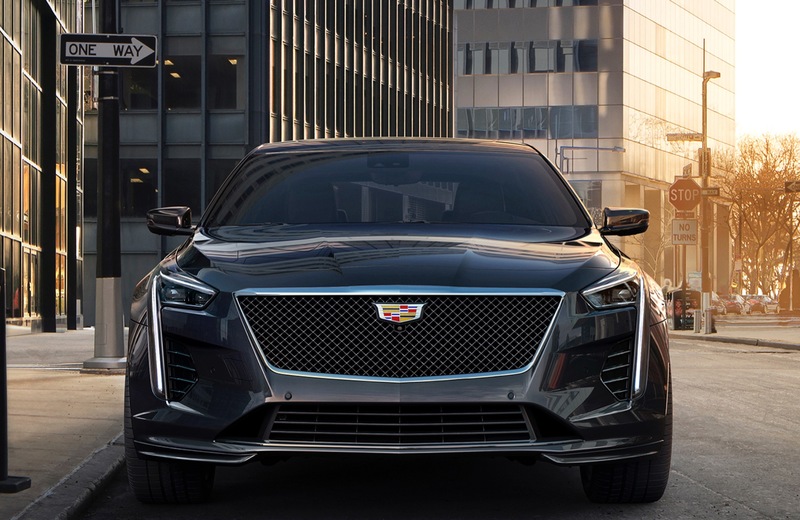 Cadillac can and should be pushing to establish that hierarchy, and its upcoming vehicle onslaught would be a perfect opportunity to do that. Easier? 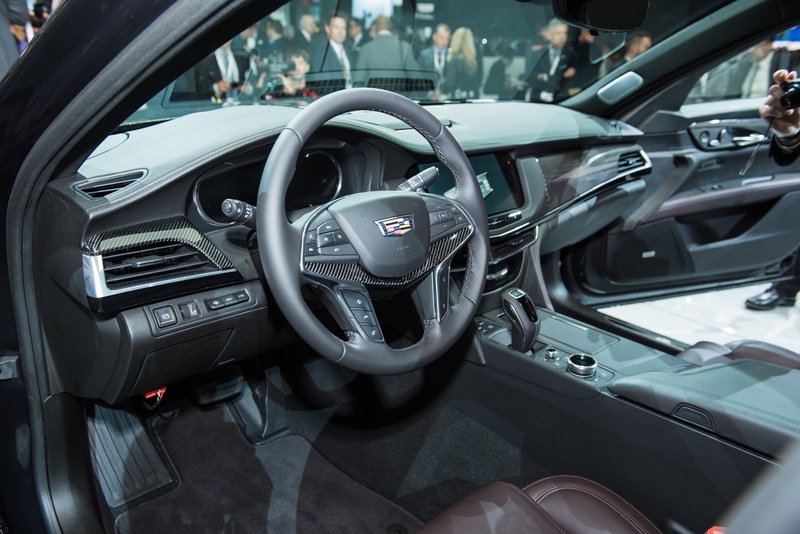 Since when is GM and Cadillac in the business of doing what’s easier? Should it be what’s easier, or what’s most effective? 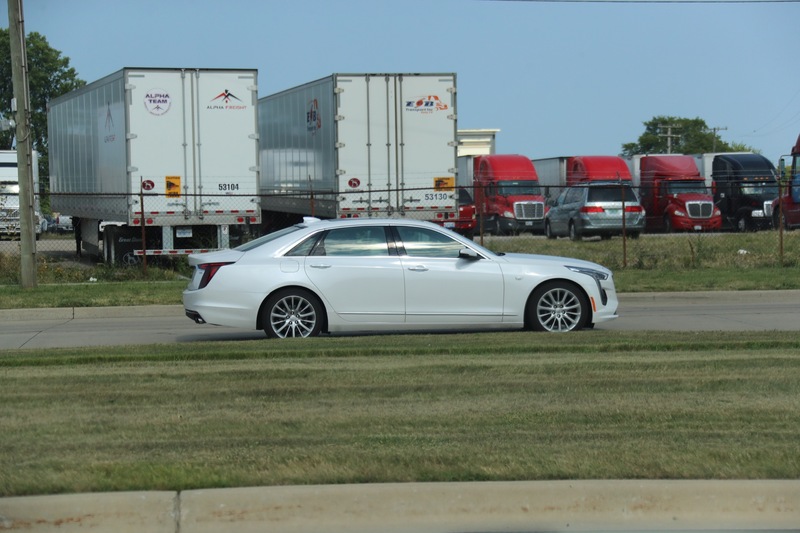 Clearly having a huge gap between a regular Cadillac and a V-Series is not the most effective. 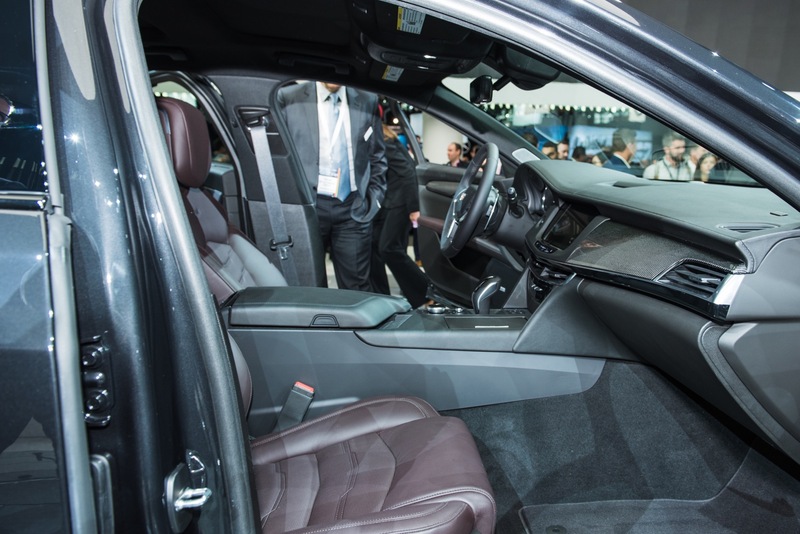 Having marketed vehicles at the dealer and automaker levels, it’s also not any easier to market. 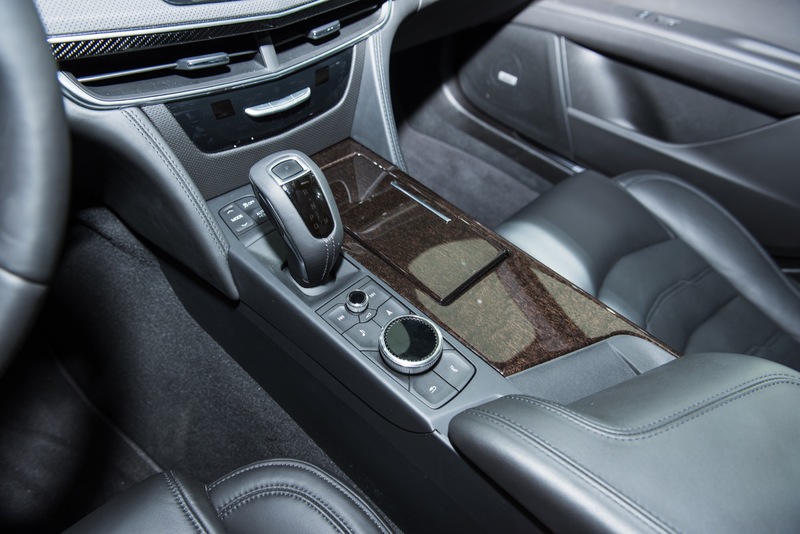 Some examples: you Audi has zero issues selling out of every single S# model it sells. S models are the V-Sport rivals. RS models are the V-Series rivals. Each one sells out, every year… with no issues whatsoever. Each has waiting lists at different points in the year. The same is true for the Mercedes-Benz AMG “Lite” and full-on AMG models. The difference is that Audi and Mercedes know how to market their vehicles, and don’t change strategies whenever the wind changes direction. 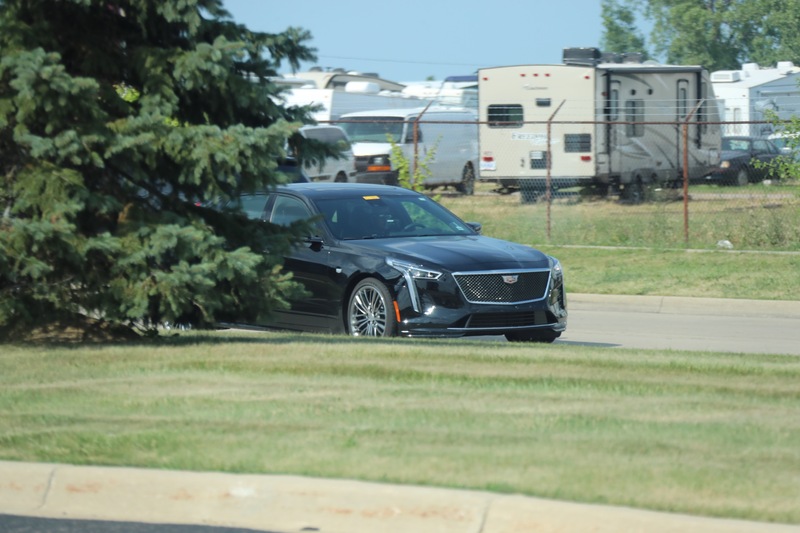 Cadillac, meanwhile, hasn’t figured out marketing, advertising, or the value of finding a winning strategy and sticking to it. If you want to talk about what’s easier, a clear and simply hierarchy of “good-better-best” is the EASIEST. It doesn’t get any simpler than that. I learned in whatever class came after marketing 101. 4. Denali sells on the coat-tails of the reputation originally established by that sub-brand. 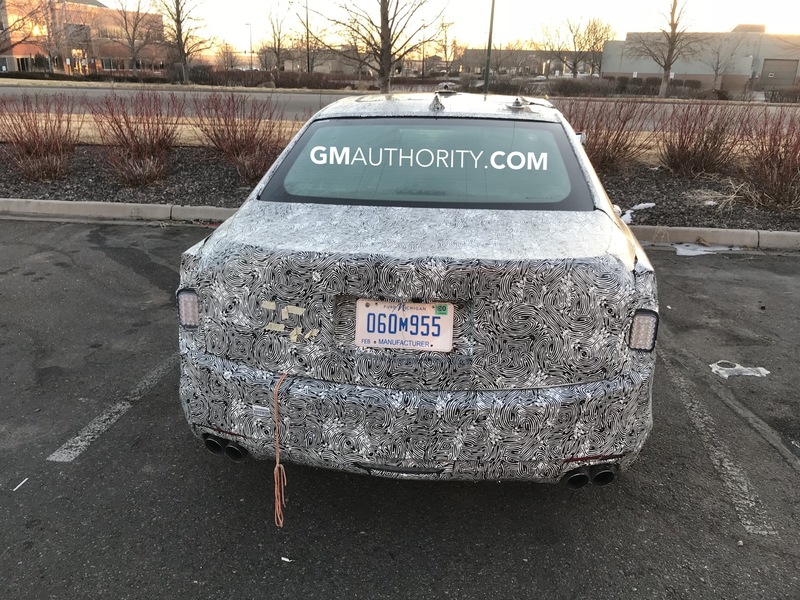 Outside of the Sierra, they are almost irrelevant vehicles, which is why they’re fire selling the Acadia Denali and Terrain Denali with thousands off sticker. 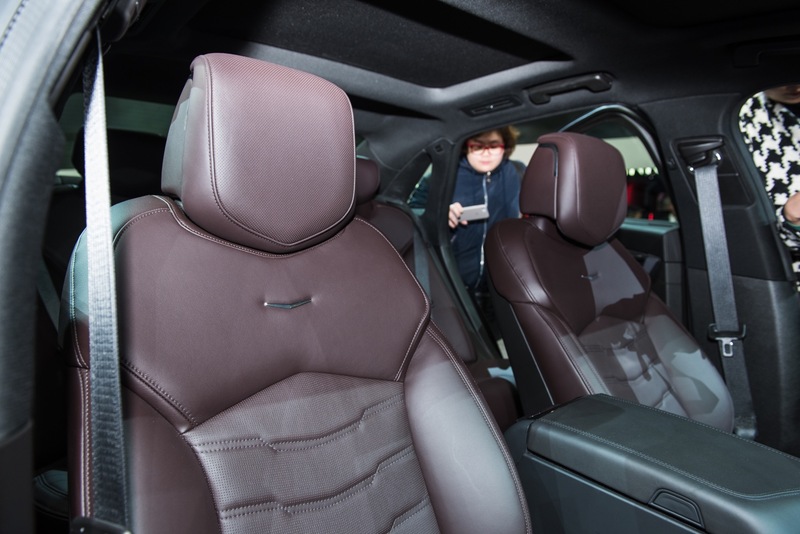 The Denali models offer very little for very much. The joke, unfortunately, is on the customer who pays sticker while getting very little in return. Sucker is what those dealers are thinking while laughing it up at the bar after hours with the approving loan officer. 5. Ultimately, there is something else going on here and I feel like we don’t have the complete story just yet. 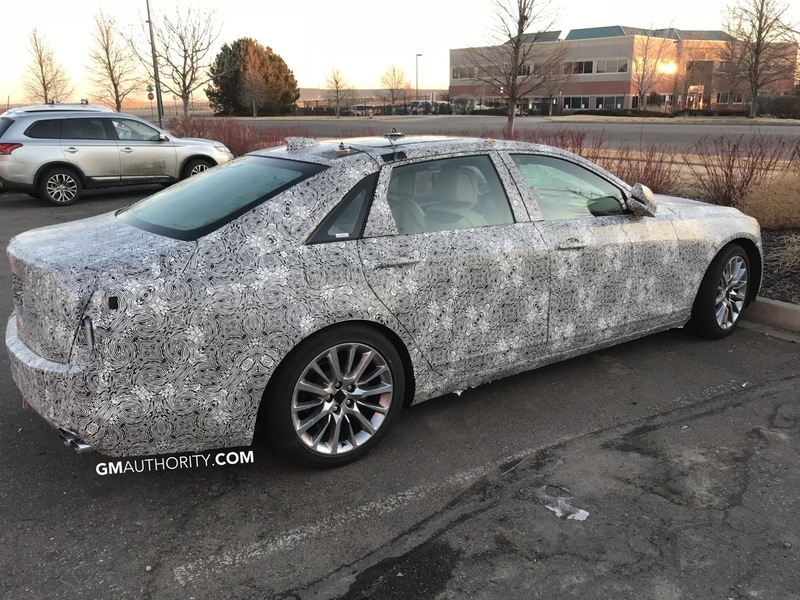 I’ll leave you with this: I have reason to believe there will be a regular CT6, CT6 V-Sport, and CT6-V… all for the 2019 model year. I don’t understand why you’re being so childish about your reply to Scott3. He makes good points. Don’t agree with him? That’s great, you’re both entitled to your opinions. Marketing isn’t as easy as you seem to think. 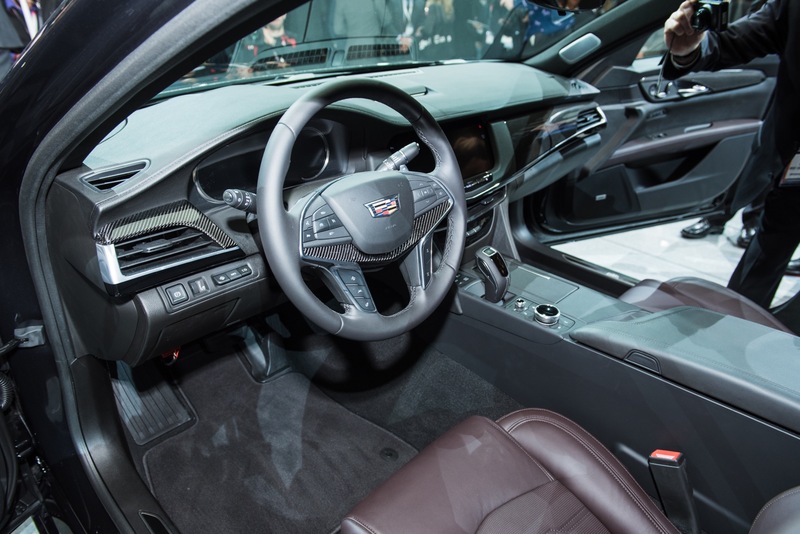 People still have huge perceptual issues with Cadillac as a whole. 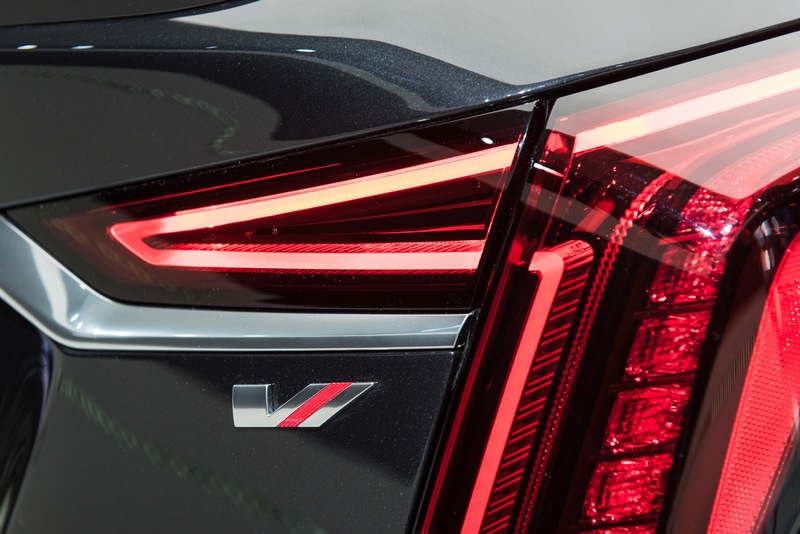 Then on top of shifting that brand image, they also introduce a “V” performance line that needs to be built. They should have left it there to build those brands before muddling things with V-Sport. The Germans spent decades building those existing brand lines before introducing these new tiers . 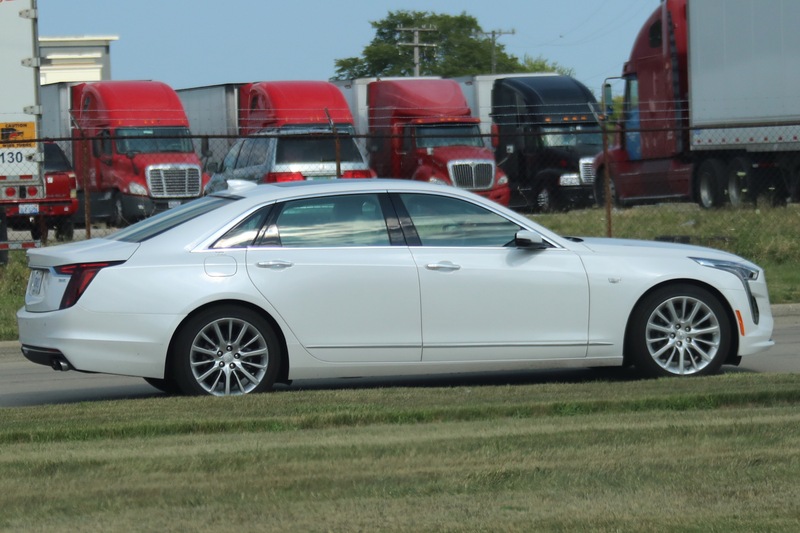 The fact that the Cadillac name is still tarnished around the globe illustrates my point. 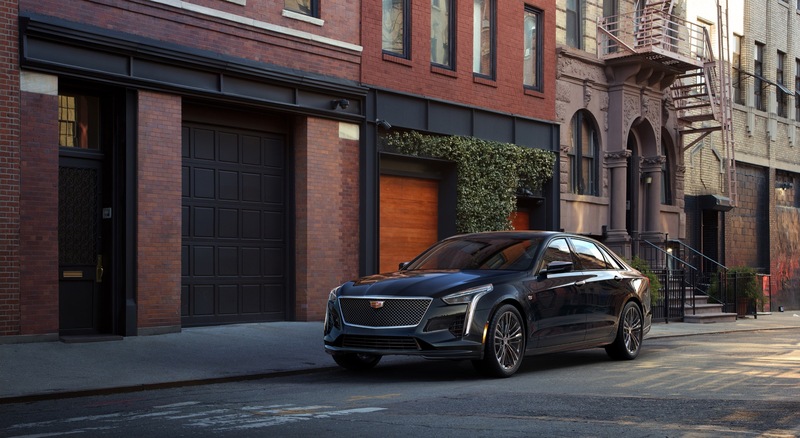 They’re bad enough at marketing Cadillac and V, V-Sport is just confusing to people outside of Pro-GM websites. 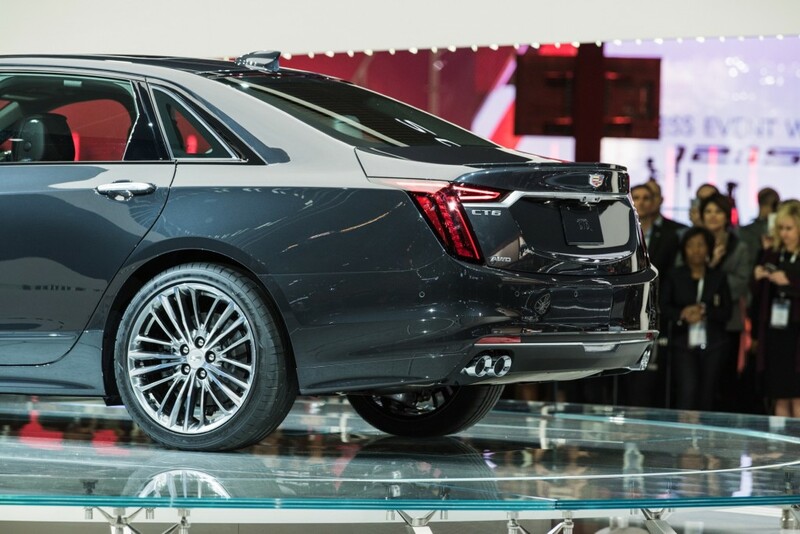 Long story short, we here on this site can see what Cadillac’s trying to do with V-Sport. To consumers, it’s just a confusing name for a brand that can’t justify their value proposition at the moment and doesn’t have the cachet of the other marques. Maybe in the US, definitely not anywhere else. It’s also why my wife just purchased a Mercedes. Bad perception and cheap touches. She took her money elsewhere. Alex let me cover 5hings you should already understand but leave out. 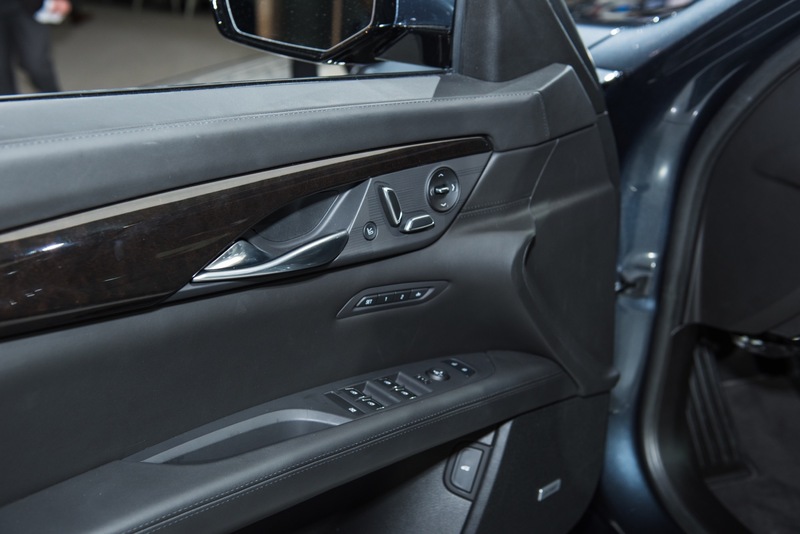 In cases like the Denali there are things in play. First off you are not going to offer the same level of content in a Canyon or Terrain as you would in a Yukon or Sierra. The larger models really have shown a high limit to what the market will oay as the are now approaching $75,000. The Terrain and Canyon both are fine vehicles but there is a wall to what people will pay and that affects the level of content. 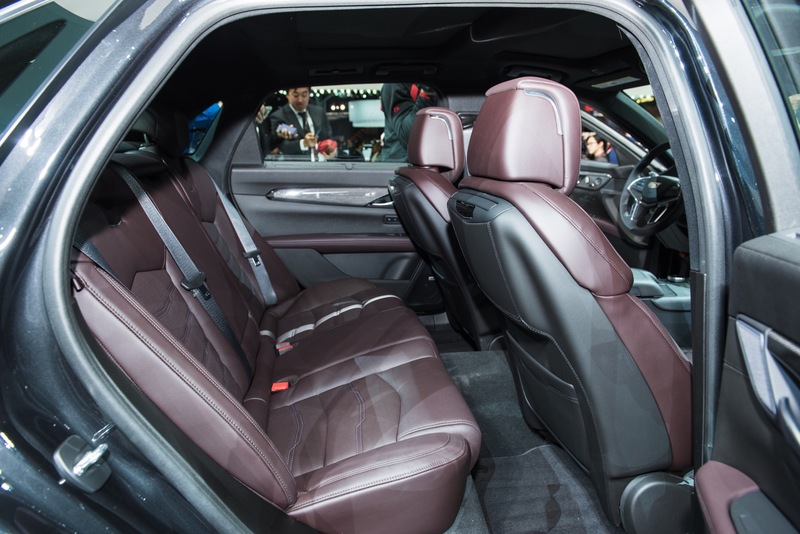 The mid size trucks are limited to just over $40k and the buyers decline. 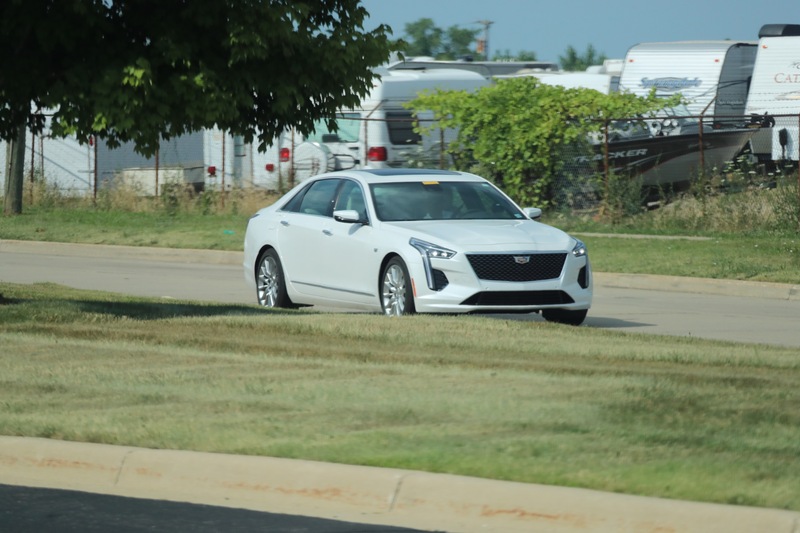 Note too that the Denali package on the low end is just a couple thousand dollars when the Sierra Denali full package can run over $20,000 alone. That is almost half of the truck. 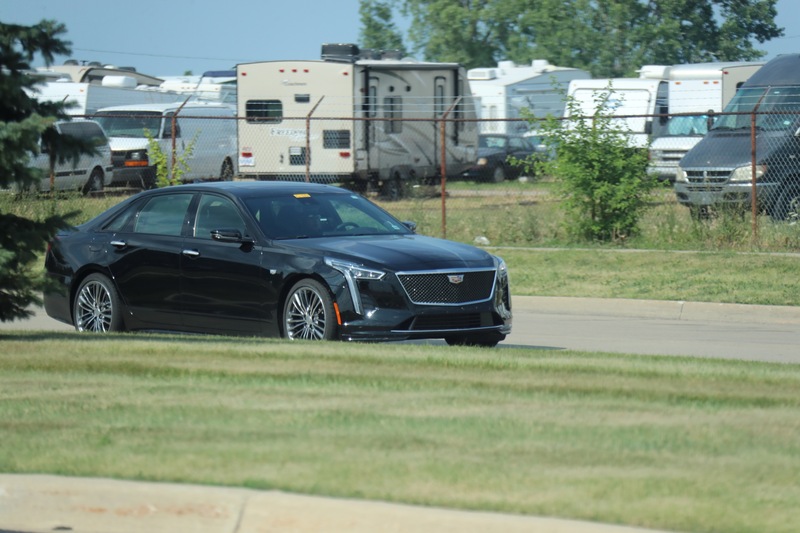 Also factor in that no one was even sure it would sell in 2015 so the Denali really is limited on some systems as it was not engineered for adaptive cruise or 360 cameras yet and should see them next year in the refresh. With that being said you will see added content to the cheaper models but you will never get the full load. That is what you will see at Cadillac. 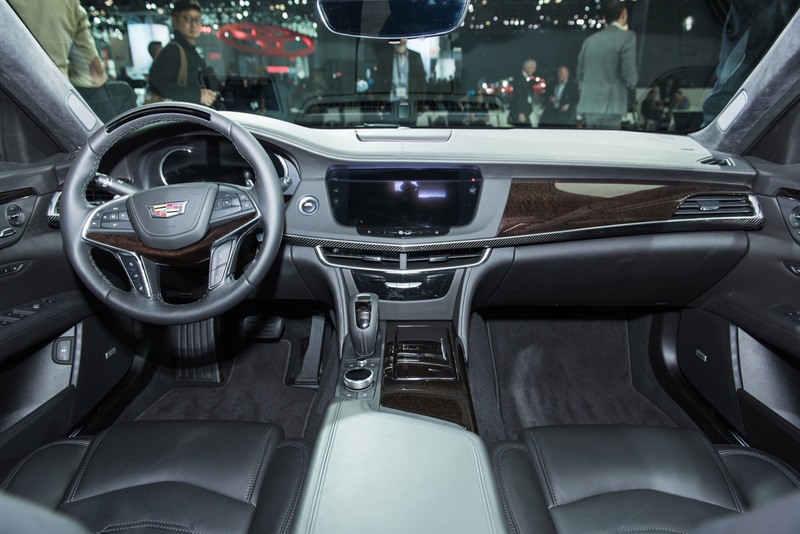 The XT4 will never see the level of options as the CT6 or Escalade will see. 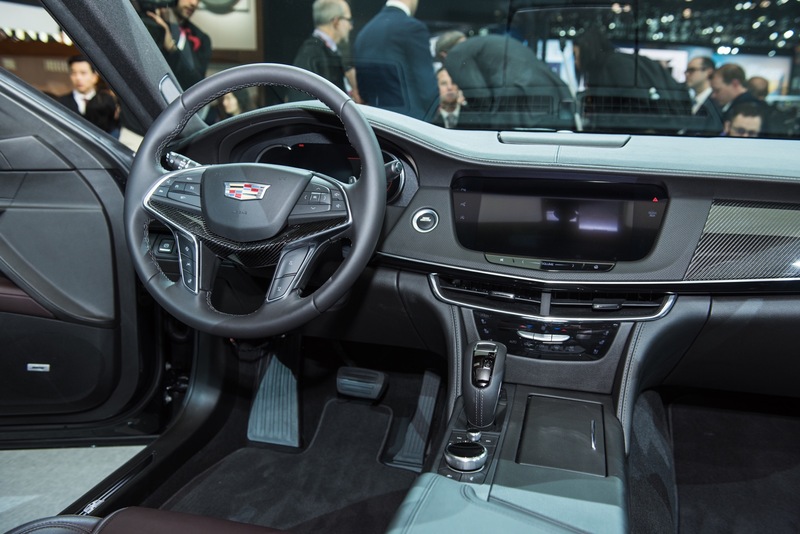 There is a wall the XT 4 buyers will face before they just move up to a better model. 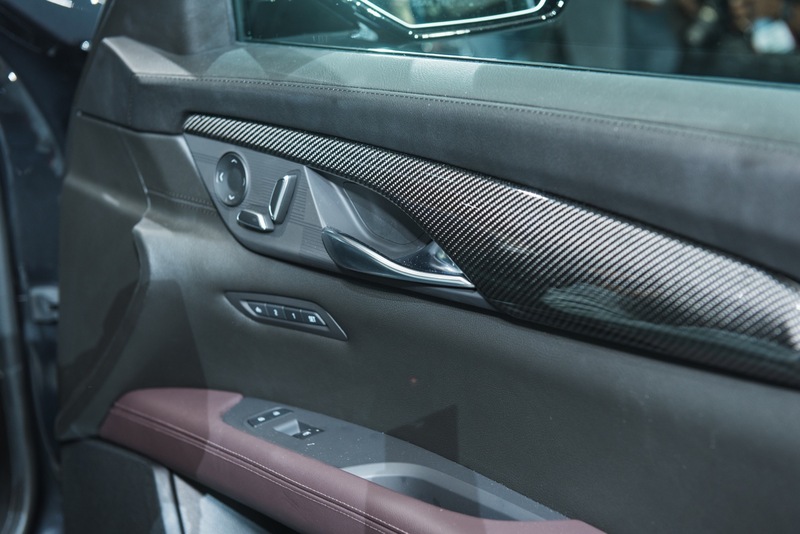 As for the V-Sport as you like to frame it. 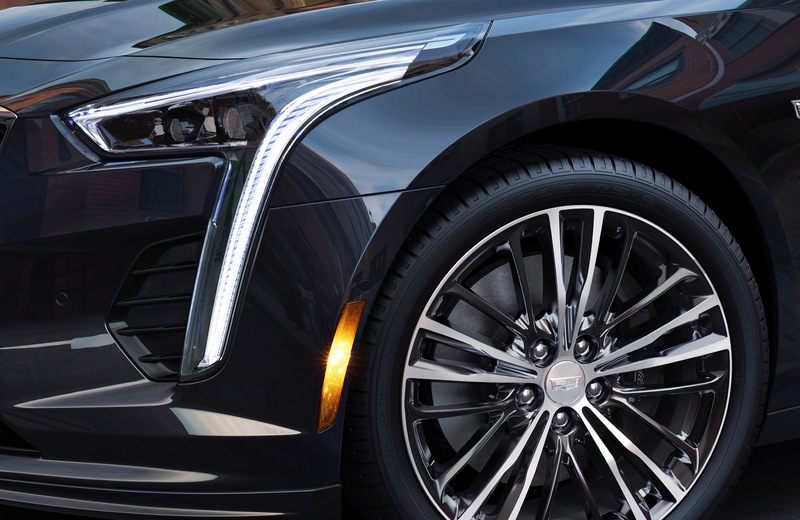 It was an idea of someone long gone from Cadillac. It was never marketed and it is a great void to the public. 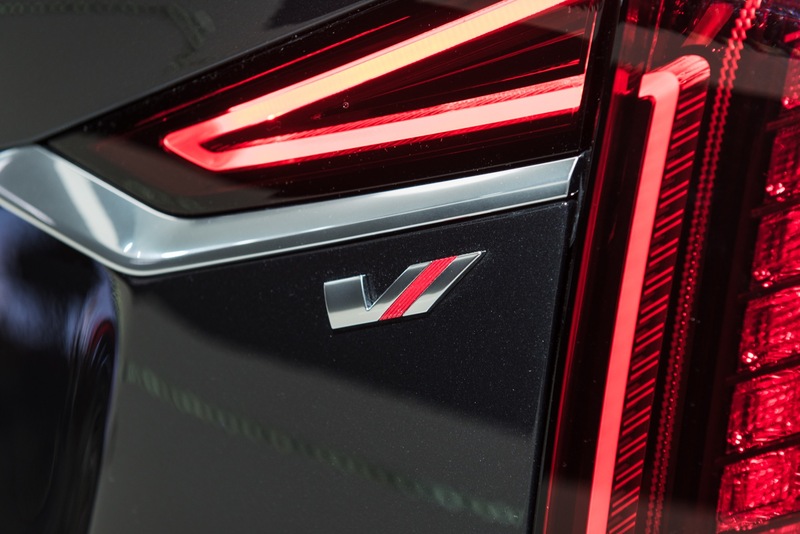 Now the V series is really a well known name such as AMG. 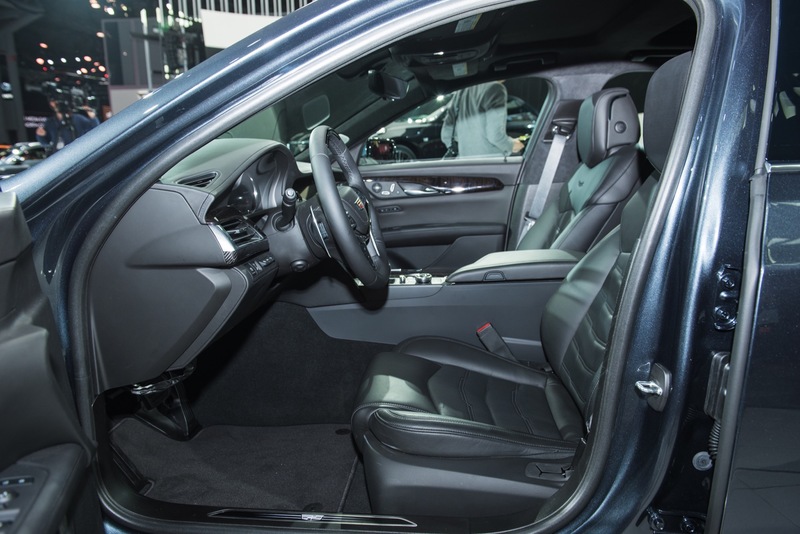 The AMG is now the performance standard for Benz and has a varying level of content in a good number of models. No reinventing or investing in the name to market it to the level of recognition it holds. 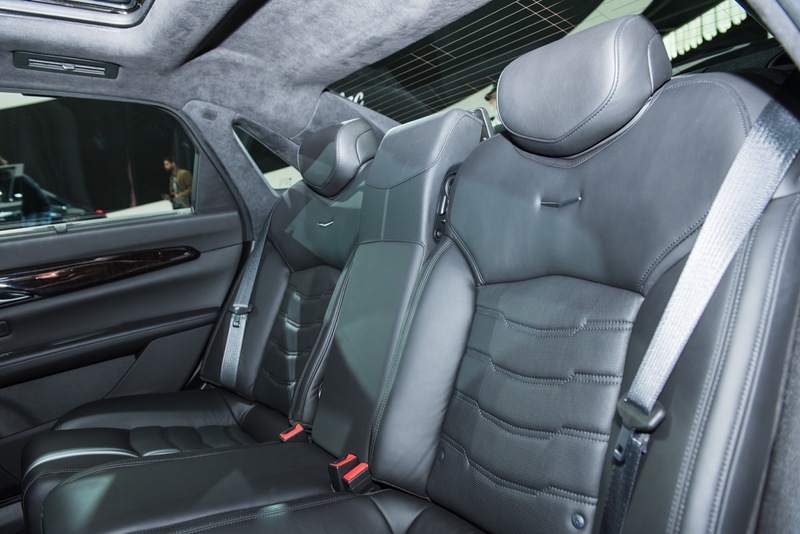 Now Benz also has limited models of the models with no walls in price. These are your Black editions and McLaren models they make that are the top of the top. The bottom line is these models make money but they need image and visual differences to set them a part. 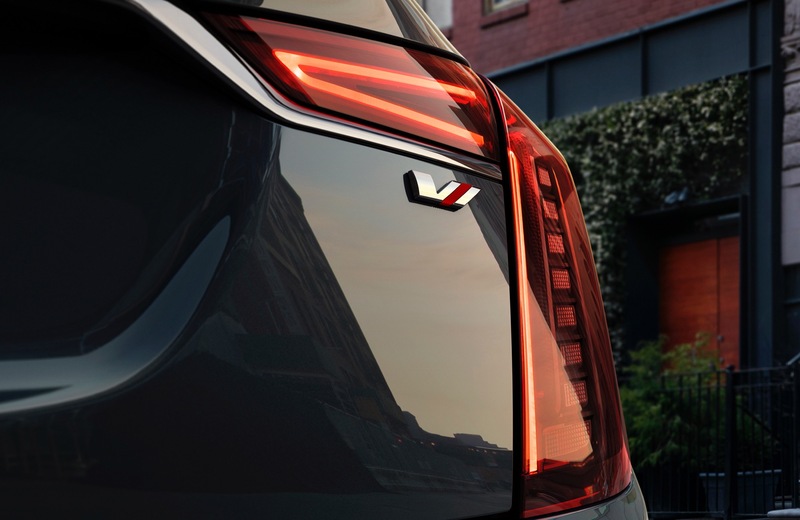 Cadillac needs to use the name equity of the V Series to save time and money to get people to understand just what it is. V-Sport just has no legs to carry that equity with out investment and time. Also you should understand that when you get to Cadillac you should never have a Good. At this price point it should be Better, Best and Exceptional. Good cars are for a Chevy and Buick to figure out. 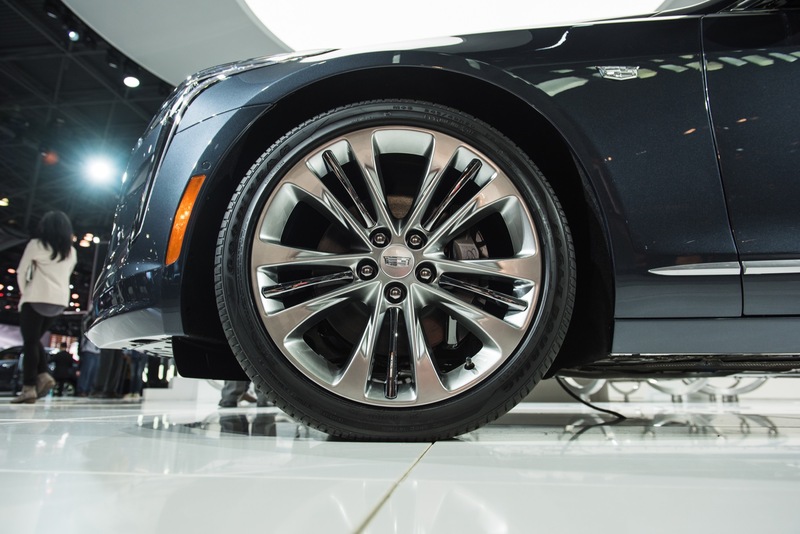 Cadillac should always reach higher. FYI I own the Denali Canyon. My truck stickered at $45k but I paid under $39k the same price they would sell me a loaded $42k SLT for with less options. They made money I got a better truck for a good price no one was laughing. It was worth it for the added bed lights, bed liner, bigger wheels and tires, vented seats, heated wheel, running boards and the freebies I got tossed in on top of that to close the deal. I really had no care for the Denali name but it was a better deal. I also have since learned how the public as a whole feels about the Denali name regardless of content. The first words anyone says is oh we know who is making the money etc. people have a preconceived image of the name and it makes money even if the Terrain is discounted. 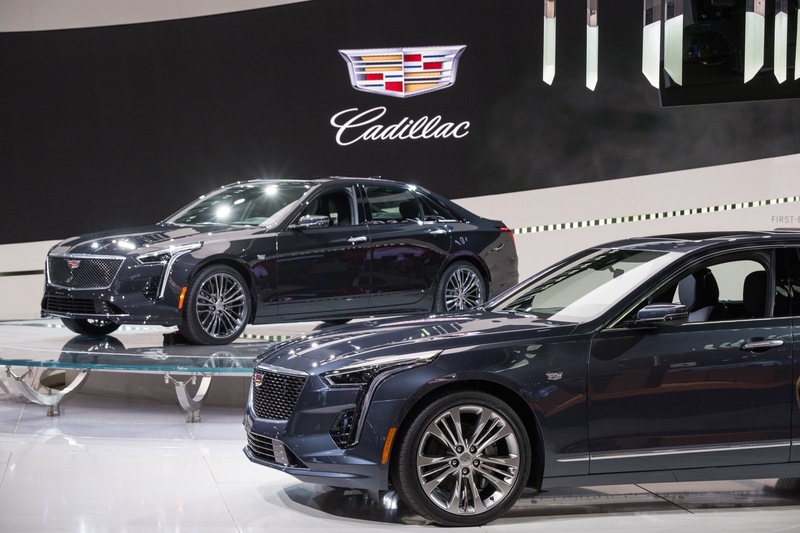 As Len points out Cadillac still needs image building and they really could not do much till the new models are out then they need to build trust. 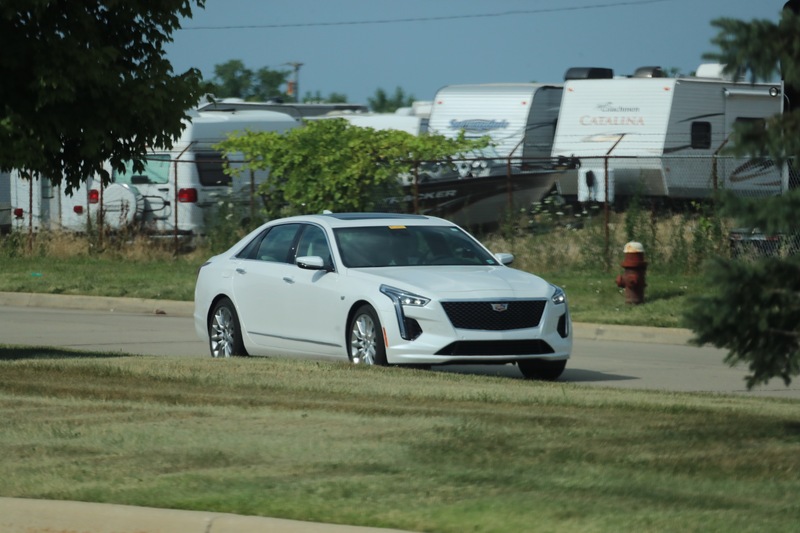 Cadillac first needs to focus on the basic cars and find a way to attract people to the volume models. They then need to gain the trust of the public to try them. 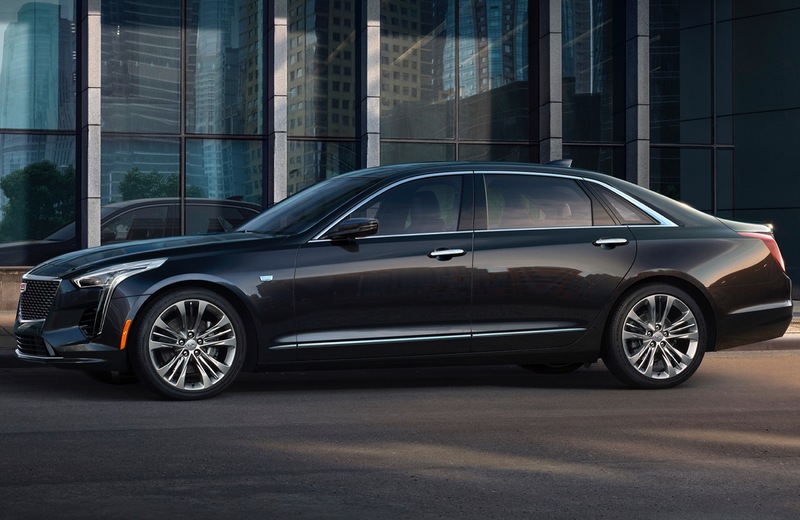 The higher top models will easily sell if Cadillac can prove them self on the regular models. This will take time and continued improvement and better marketing of the new product. 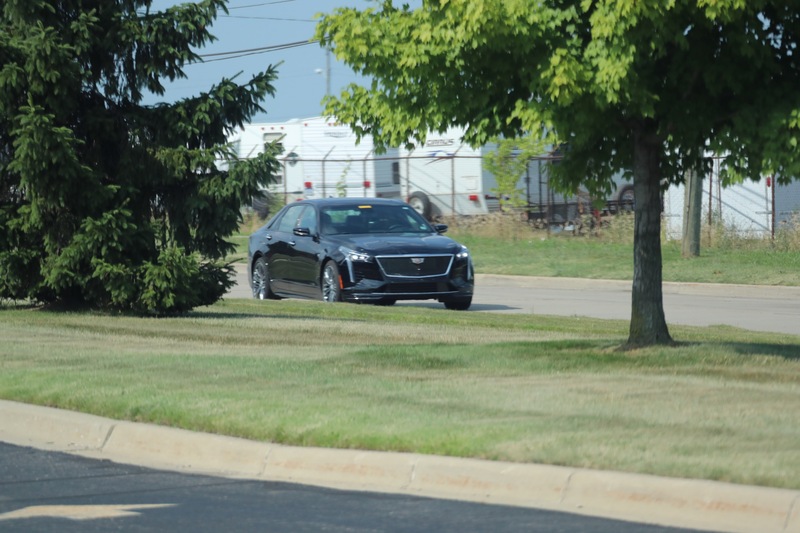 The burden is on Cadillac to tell the folks who they sold the Northstar tonthey have learned from their mistakes. That is a tough only better product and trust can change that image. This is not good. 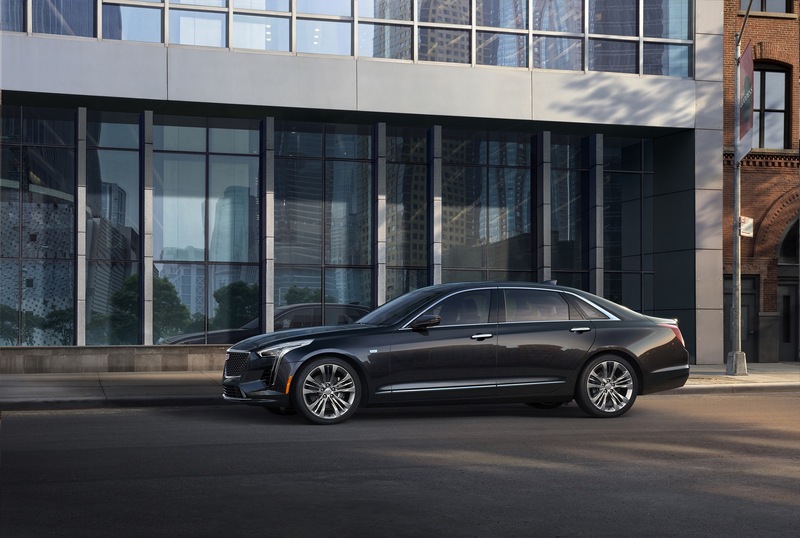 Until now, every V model has had substantially more performance and an obviously unique front end. No longer. To me, it seems the new hierarchy is Good-Better; no Best. Five and a hybrid are more engine choices than any car model I know. 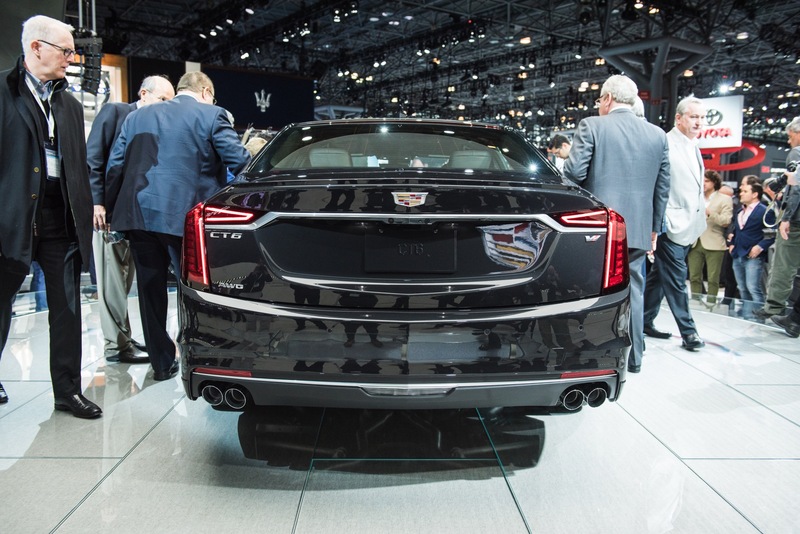 Putting a name on each horsepower level would be the reverse of their submersion of model “names” under the Cadillac brand. 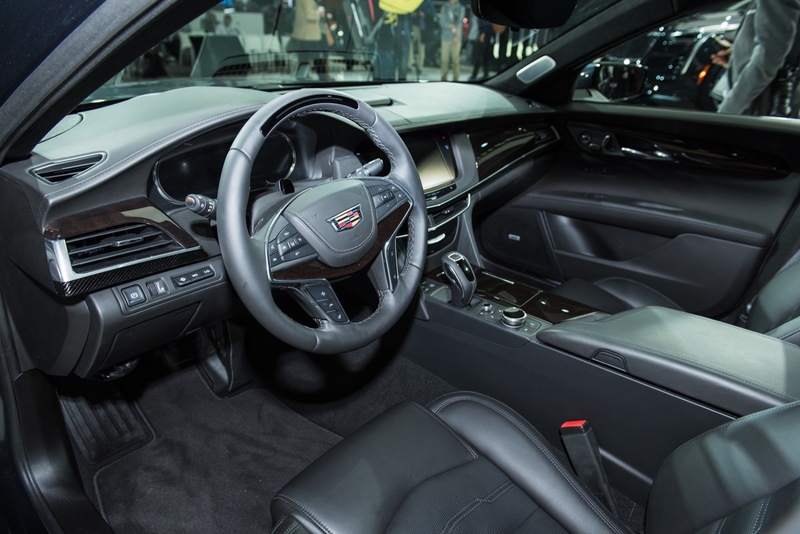 What the CT6 needs are more color, material, and appearance choices for the interior. 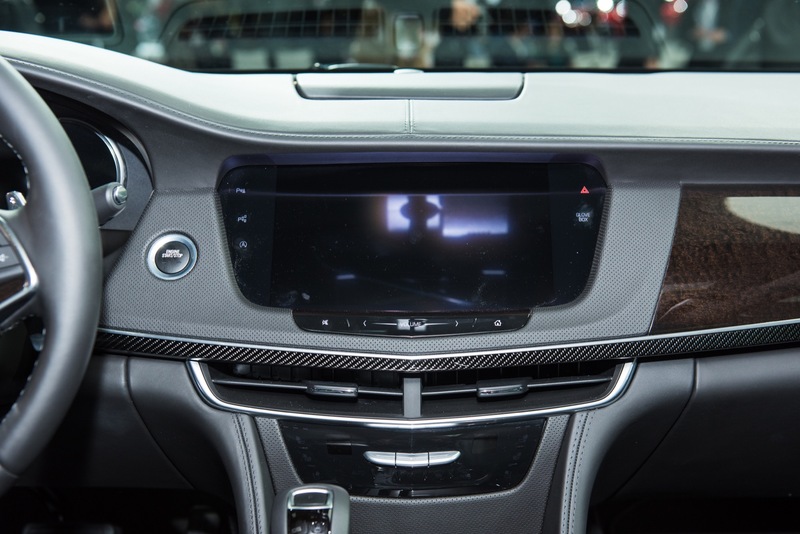 With a likely huge price increase from the 2.0 to the Platinum and V models, the high dollar buyers will expect something more inside than a fancy headliner or dark gray bits of carbon fiber in a black interior. Having said that, I would be very pleased if they offered the V8 without every other option required. They once sold a lot of muscle cars that way. Do we know for a fact that the 500 hp V8 will be in the Platinum only? I remember reading it won’t be a Platinum Only & that you can pick either a Sport or a Premium Luxury with the 500hp version. This is not good. 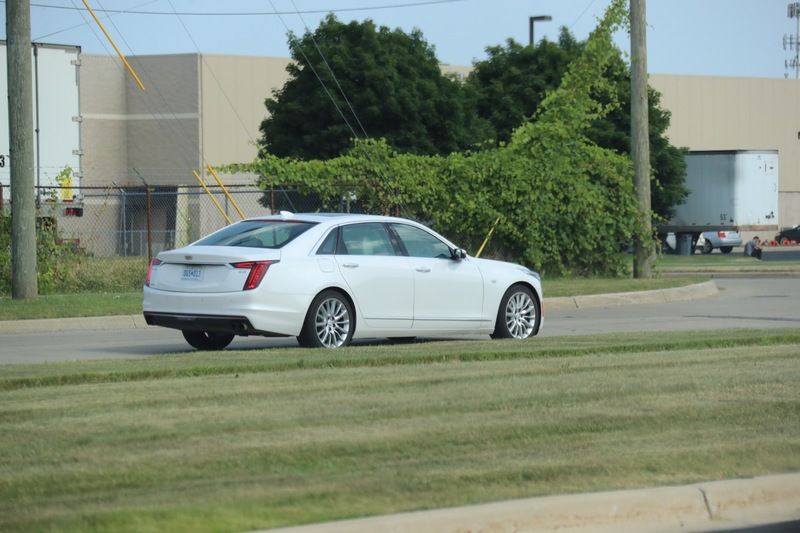 V models have always had substantially more performance and an obviously unique front end. No longer. To me, it seems the new hierarchy is ‘Good-Better’; no Best. 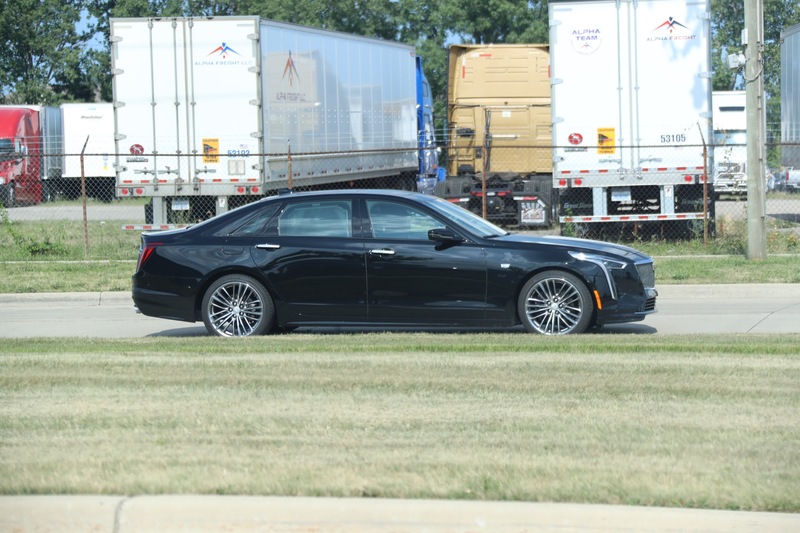 Guys let’s remember ATS didnt have a Vsport model nor did the XTS have a V-series model, only the CTS has both. Even with out doing plastic surgery on the front end, this engine is still pumping out 627lb-ft of torque at VERY LOW RPM. I dont care if it’s a formal V-series or not. 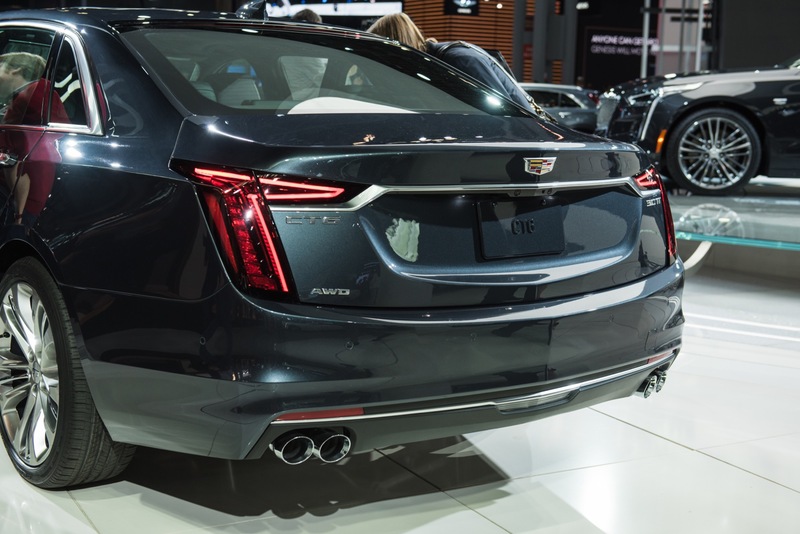 Mind you the CTS-V only make 3 lb-ft more and 90 more horse and most likely weight will be identical if not a little more. Is it really not living up to the name. Well, yes – you’re correct. 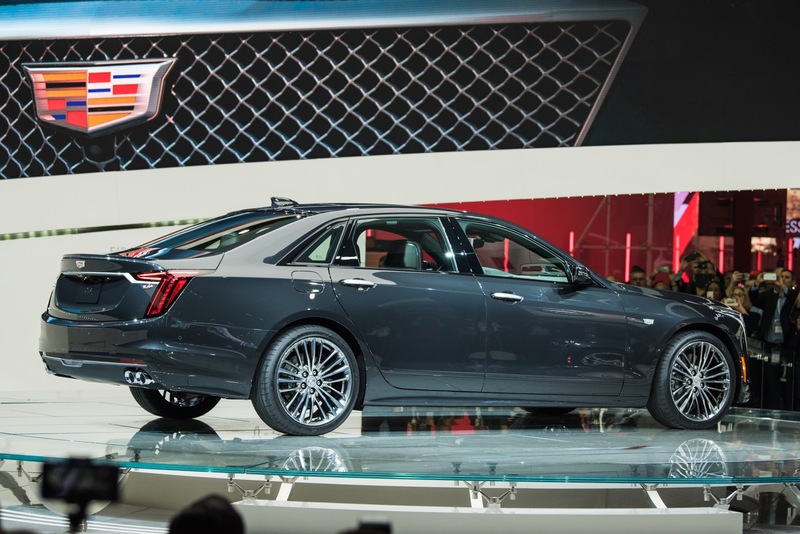 But the ATS didn’t have a V-Sport model because it wasn’t planned as a product to begin with. The notion of V-Sport didn’t’ exist during its development. 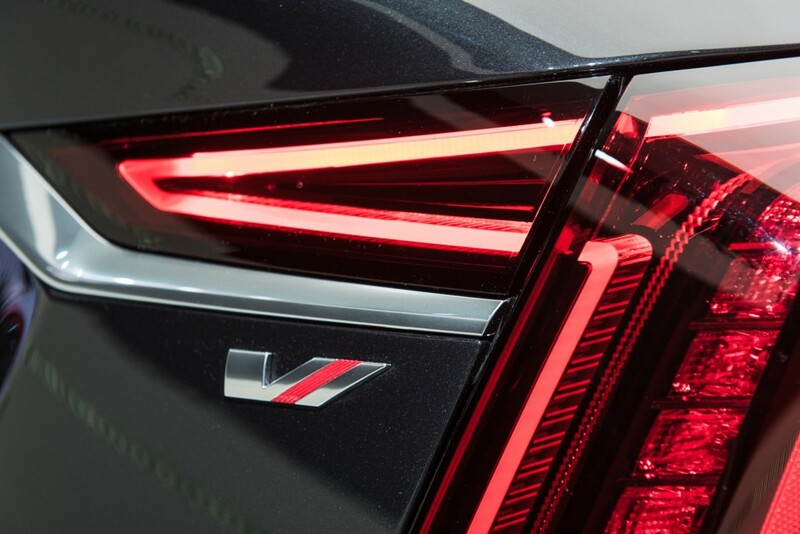 Now, the figures from the LTA are good… but is the car overall good enough to wear the full-on V badge? Does it have the necessary suspension tuning? 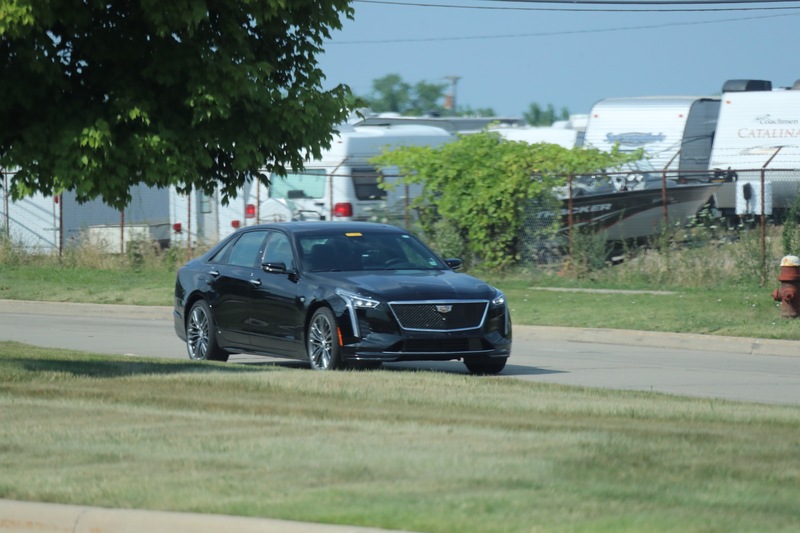 Does it have the sound of a CTS-V? Does it have the feel and engagement levels? The concern here is that they took what was planned to be a mid-tier offering and made it their top-tier offering by only changing the name. But like I said, I think there is more to this story than we currently know. Id agreed with you, I read up on your article on the ATS a while back. 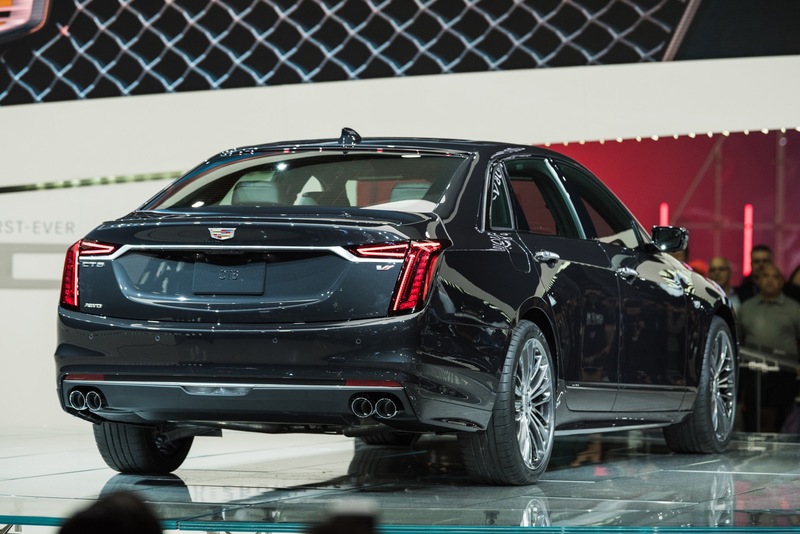 And while few get a turbo to sound right I’d have to say, we’re talking about a car the size of a 7-series, so Cadillac not being completely balls to the wall CTS-V crazy is understandable. 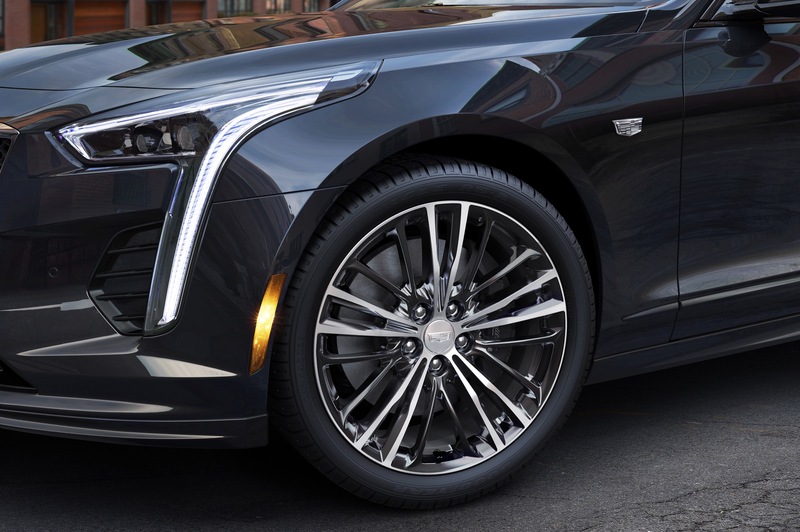 Although let’s be honest here Cadillac has some serious performance prowess, not only in power but suspension and feel. I don’t completely buy the notion that V sport and V-series are complete gaxalies apart. 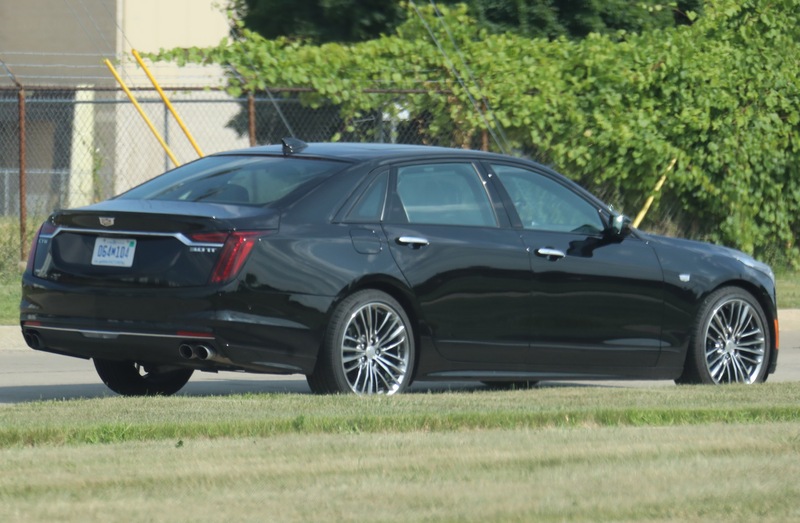 Not trying to be completely ignorant, but what’s the difference besides aero and power enhancements that make a V sport and a V series different. 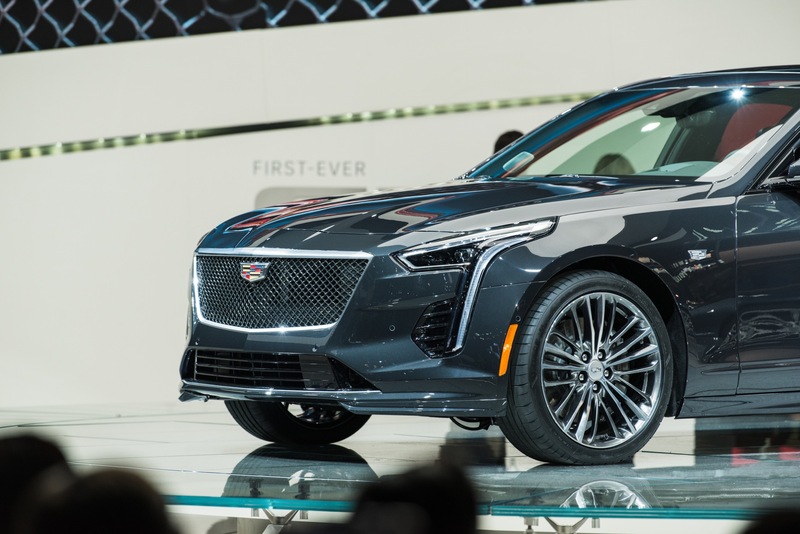 This notion of a rebrand product that doesnt have the capability of other V-series products is just lost on me especially when we’re talking about the Omega platform, and Cadillac Performance. If this were an XTS I’d understand. 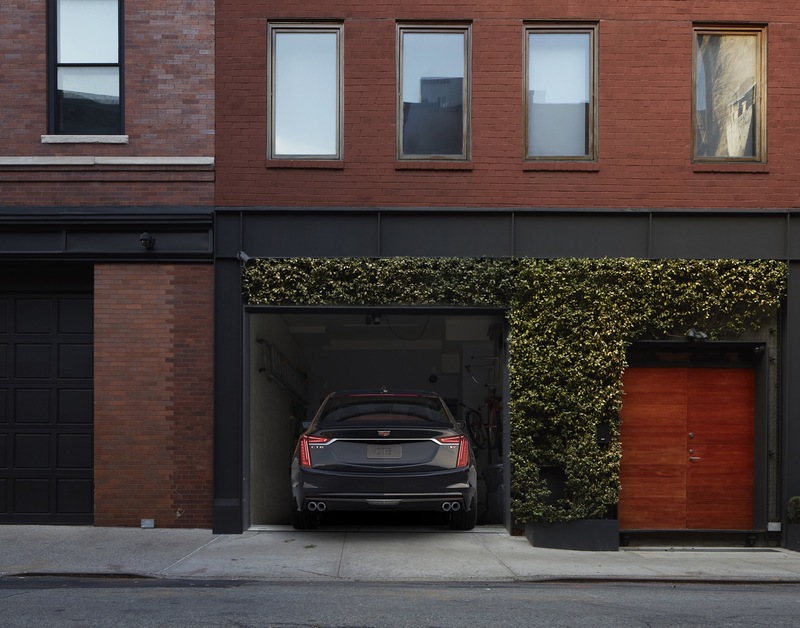 But I can’t wait till spring and see what Cadillac has done, there’s definitely more to this than that. Well, I’d put it this way: the V-Sport is a mid-tier offering, slotting between the regular model and the balls-to-the-wall V-Series. Maybe the proper term is (balls to the backrest… but I digress). 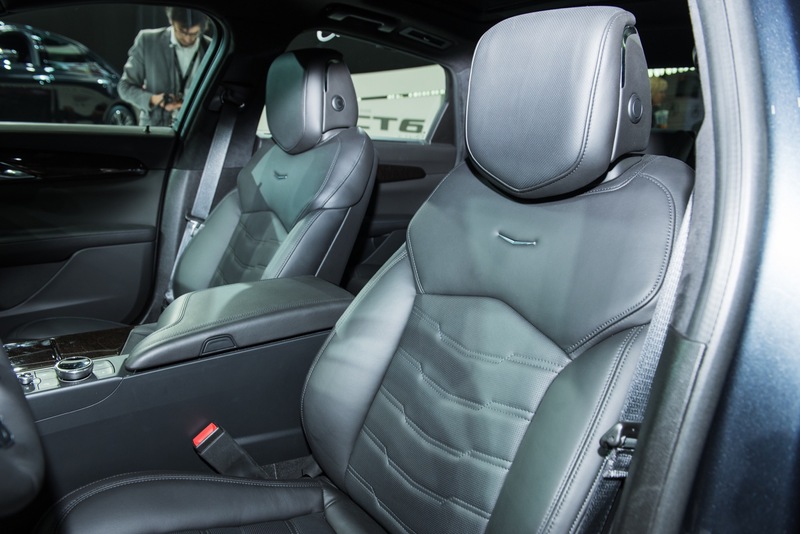 Each model provides varying levels of power, aggressive looks, sporting driving character and performance. 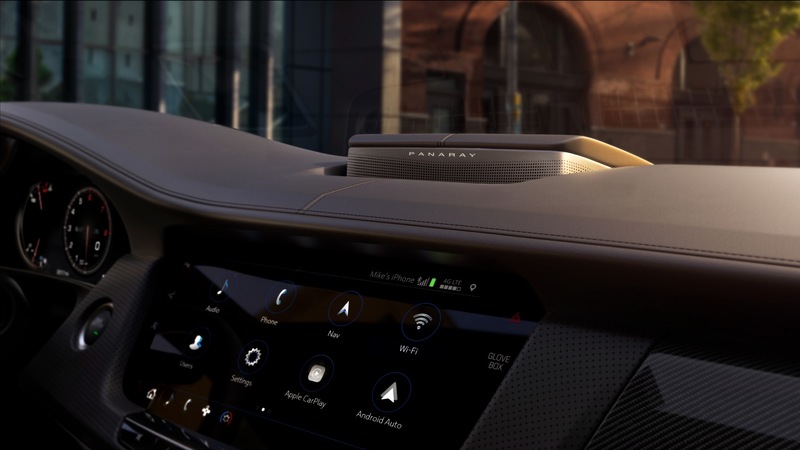 … but the car didn’t sell as well as it should have thanks to non-existent advertising and one of the worst go-to-market strategies I have ever seen for a consumer-level product. That’s how the best of the best does it. 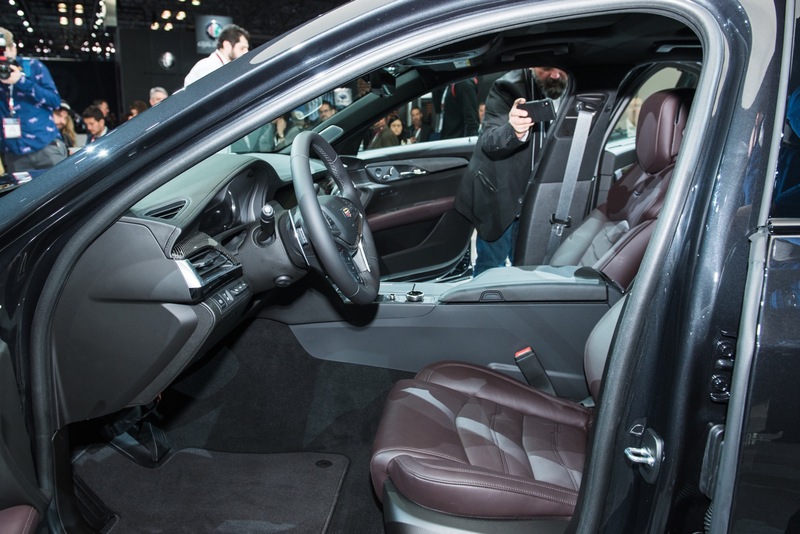 BMW isn’t far off… neither is Audi. 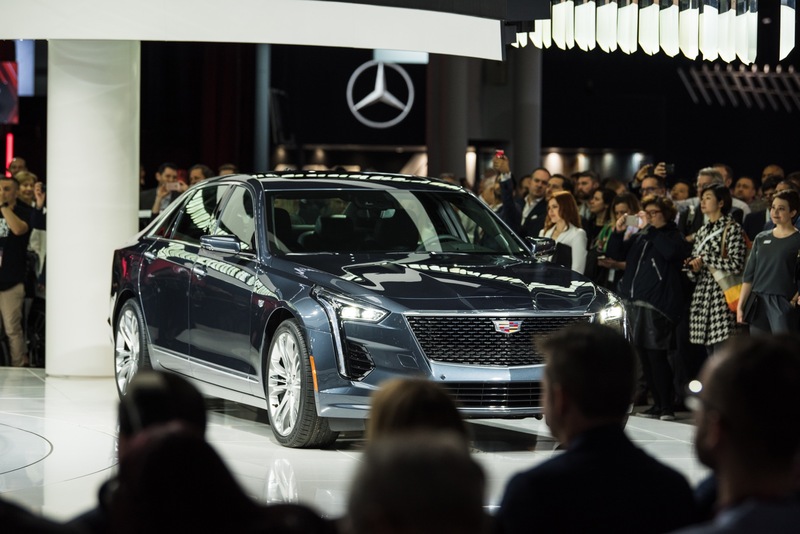 Cadillac can either continue playing second-best by cherry-picking the easiest sales… or grow a pair and take the fight to them with a great product that’s advertised incredibly well and marketed (priced/positioned) to a point that the Germans can’t compete. 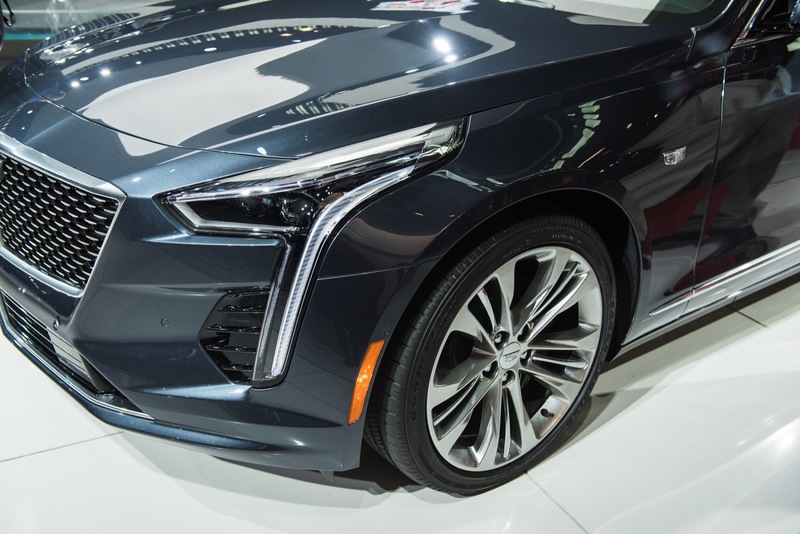 For the most part the ct6 has been lighter than most of it’s comparable rivals. 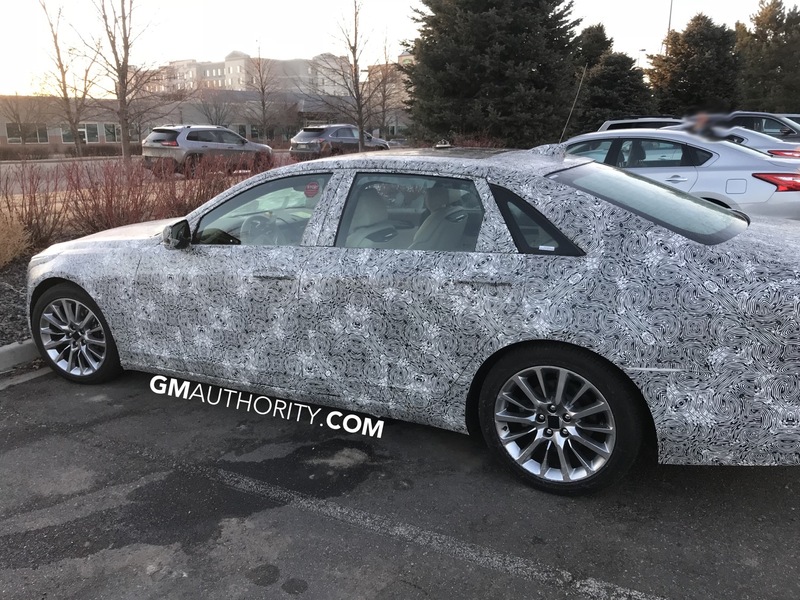 So more than likely the ct6 v will be lighter than most as well. 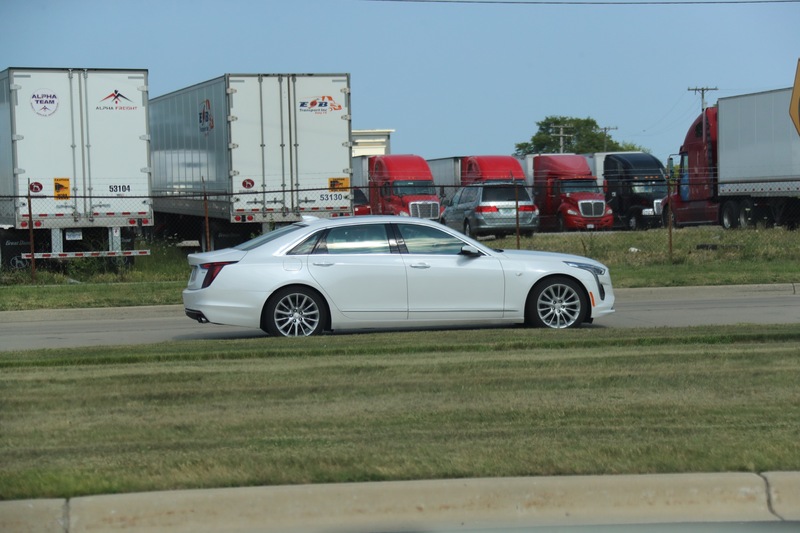 On top of that, the ct6 v has awd whereas the cts v is only rwd. 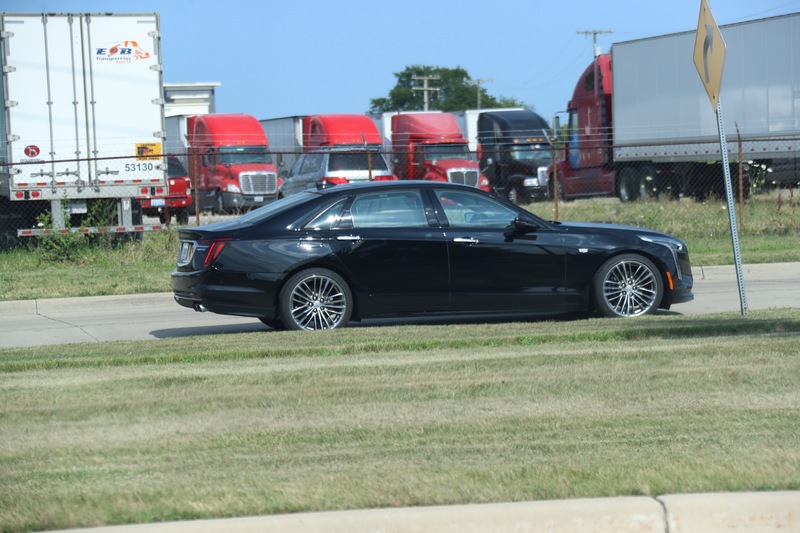 Sure the cts v has the power, but no efficient way of putting the power down. Just like the amg’s, m models, and rs models. 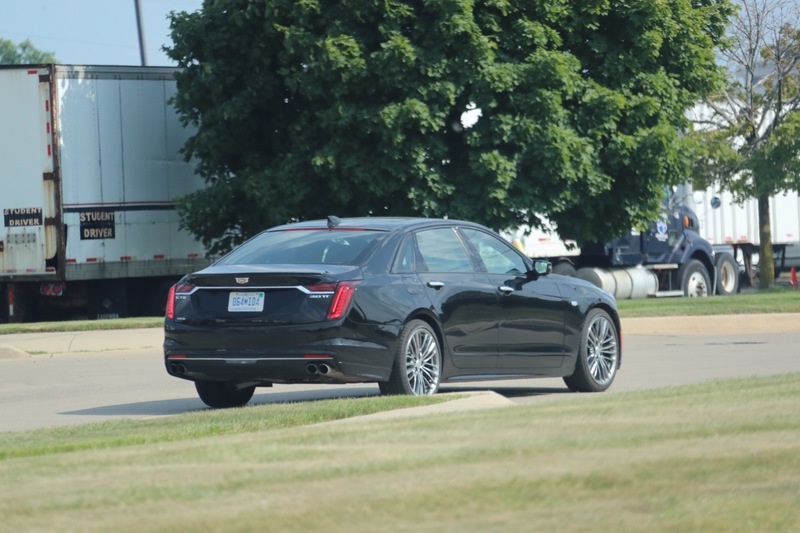 It should be just as quick or quicker than the cts v. With rear wheel steering it should be able to handle it’s own on corners as well. 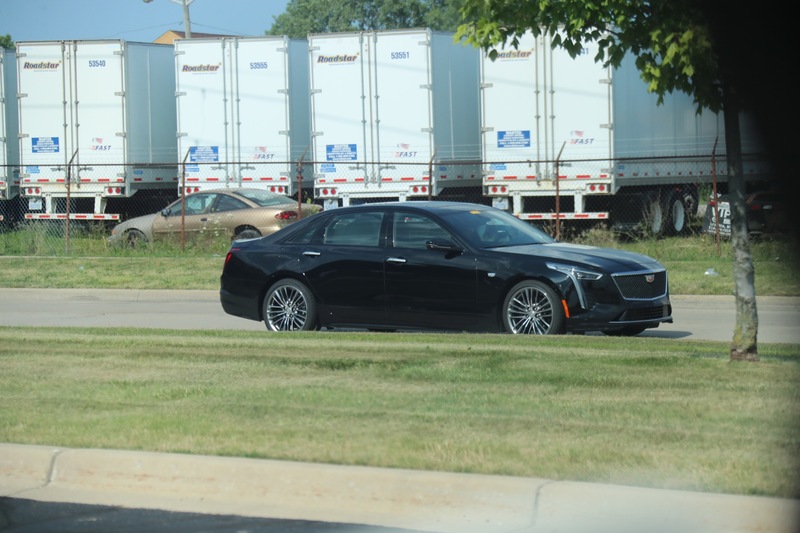 Will it have the down force as the cts v? Probably not, but it will have awd coupled with rws. 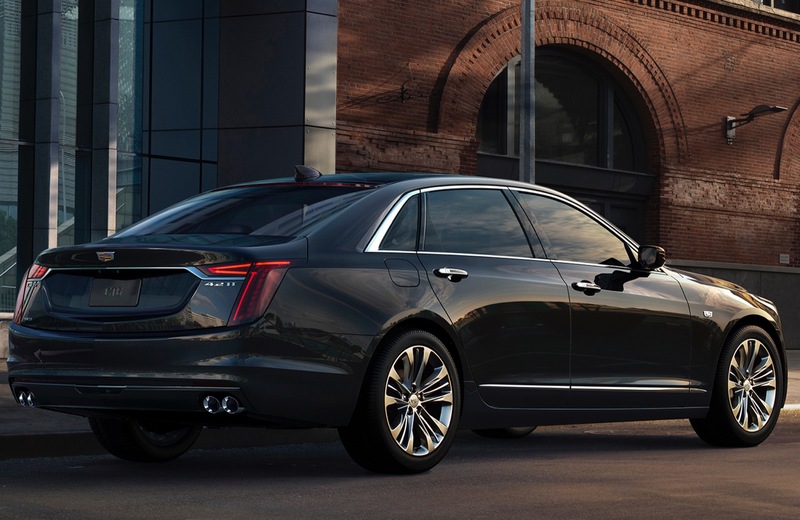 I honestly believe the ct6 v will do just fine as a v model, performance wise anyway. Interior wise they need to up ther their game. 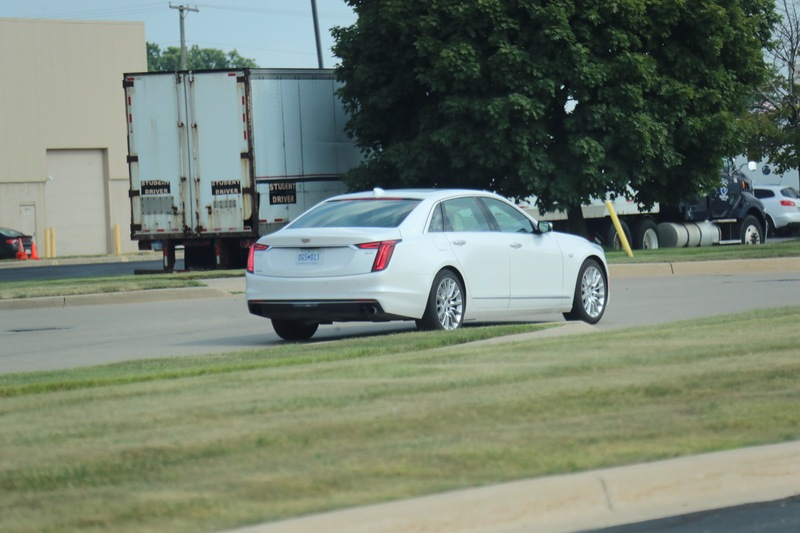 The fall backwards to what Cadillac used to be had begun. I’m over Cadillac. And Mark Reuss. 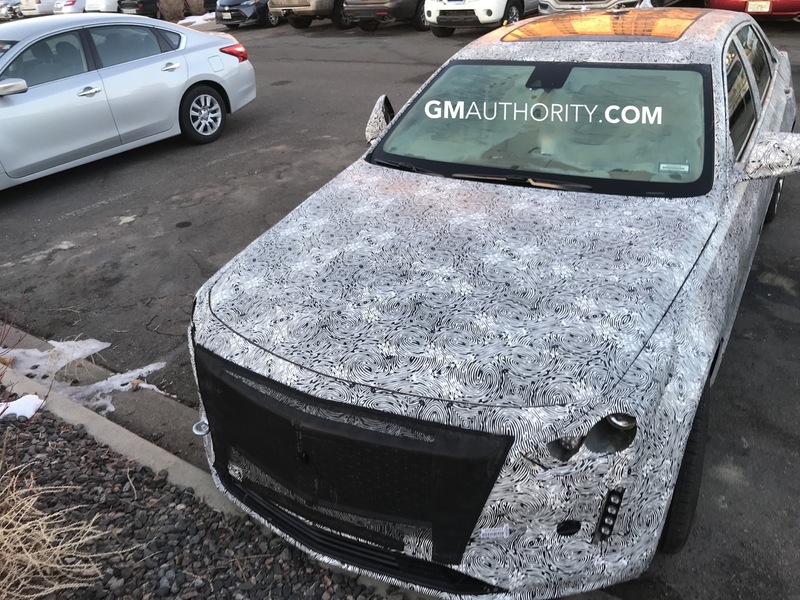 If they are in fact stopping the existing V models in the Spring, there would have been no V’s at all until the CT5-V or CT4-V come out. 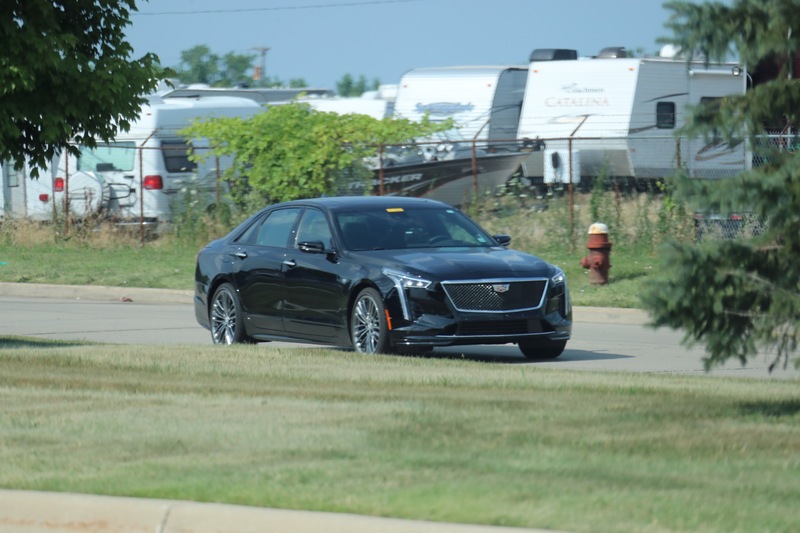 They might change the grille to the traditional chrome mesh before production and use the black for the sport model. What would have been so wrong with that? BMW goes a couples of years between generations of M3s and M5s. 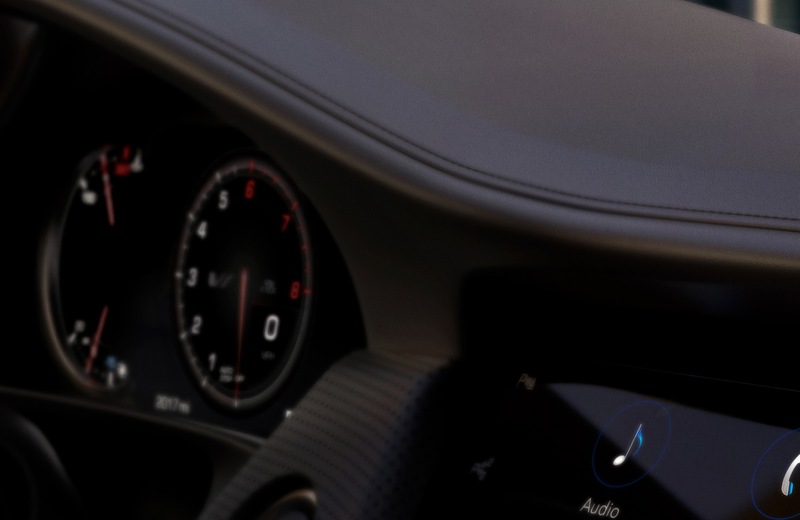 We went two years without a Camaro ZL1 or a Corvette Z06… and several years without a Corvette ZR1. 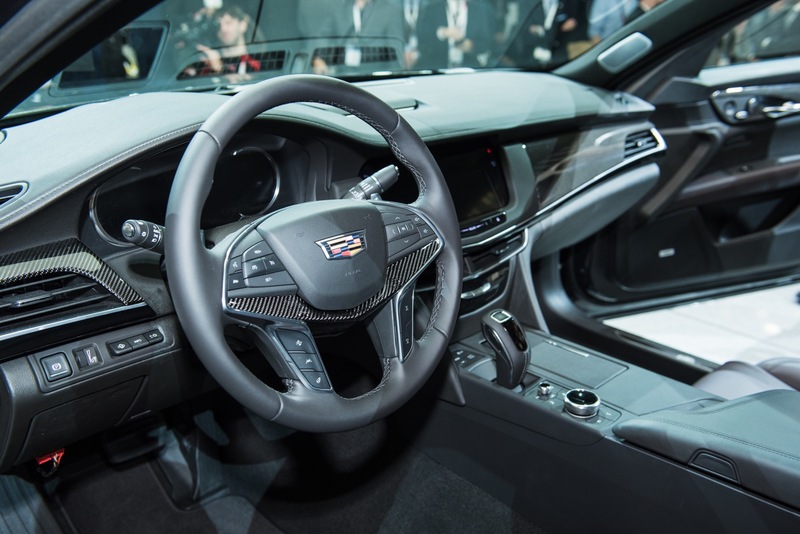 It’s a natural element of the product launch cadence… granted, they should bring those models to market sooner, but a year or even 15 months without one is no big deal. If the concern is not having product to sell, there are strategic ways of handling it… one of which is to build up inventory (overproduce) before stopping production, so as to have enough units on hand for a certain amount of time until the all-new/replacement models are ready. It’s normal to cease production of limited edition models like the M5, Type F, or AMG when the model is about to be redesigned. 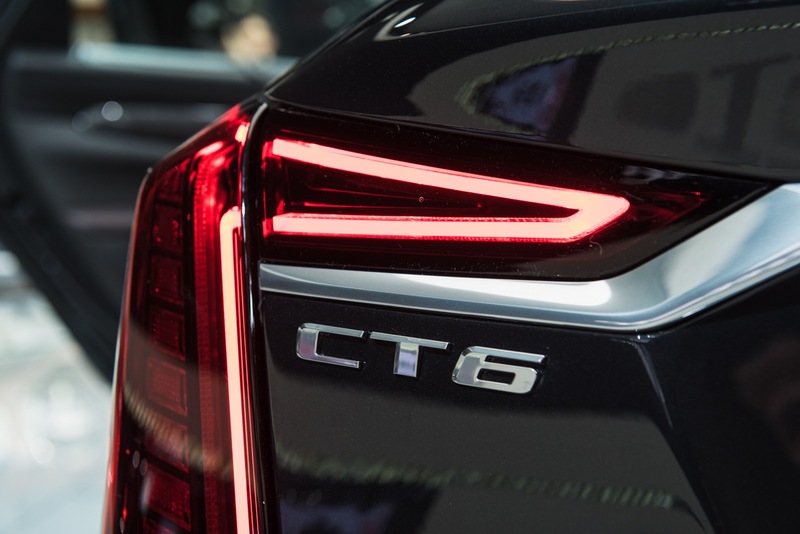 The CTS is being redesigned (and re-branded as CT5). Another spoiler. 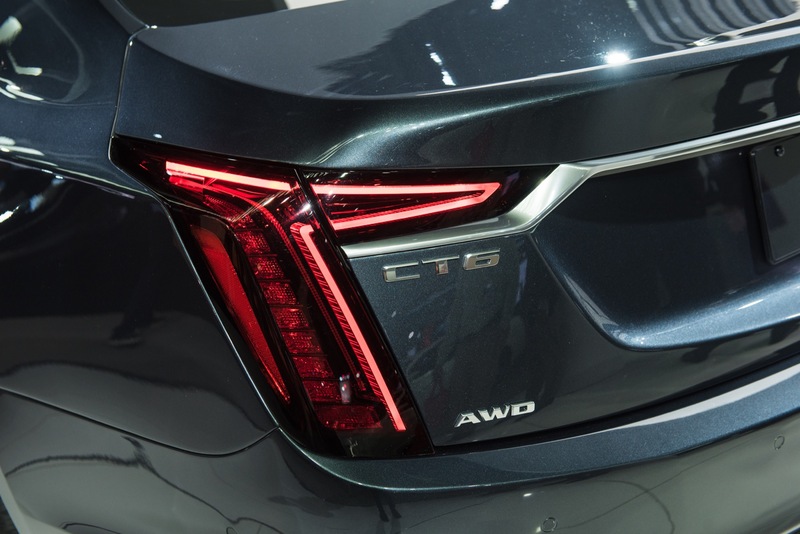 It may be a year or two after the CT5 and CT4 come out before we see a V series or V sport model. 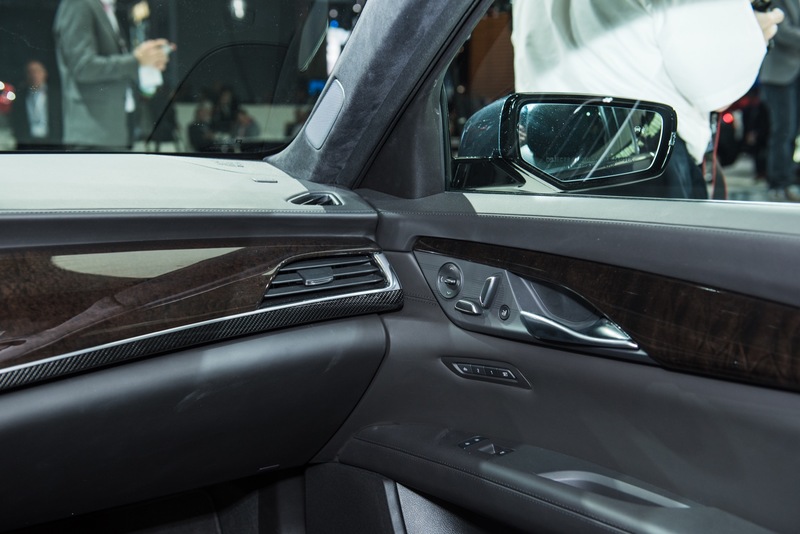 That’s also typical, as they take additional effort to meet performance targets and they can create a sense of scarcity ahead of the model debut. 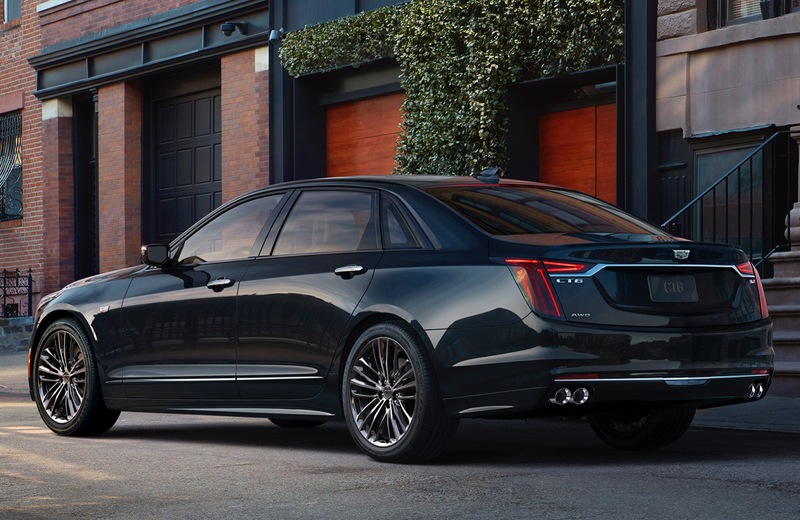 Cadillac isn’t ditching the V series. It’s just prepping new models. The car definitely has the numbers. Some may say “well 550 hp is not enough to make this car a full on “V” series”. I would beg to differ. Looking at the torque figure, this car has a lot left in it. 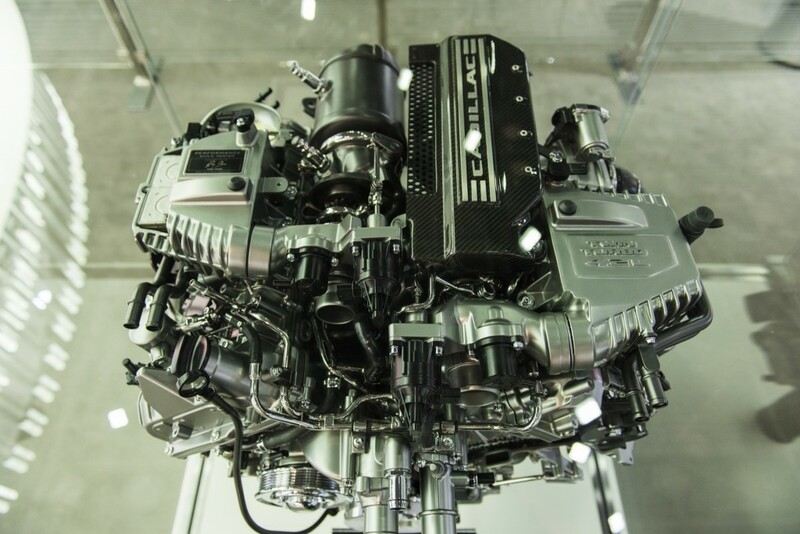 In today’s aftermarket world, tuning is a beautiful thing for boosted engines. This can probably easily make somewhere in the neighborhood on 700 hp with a tune. I love the car’s subtle, yet beautiful styling. 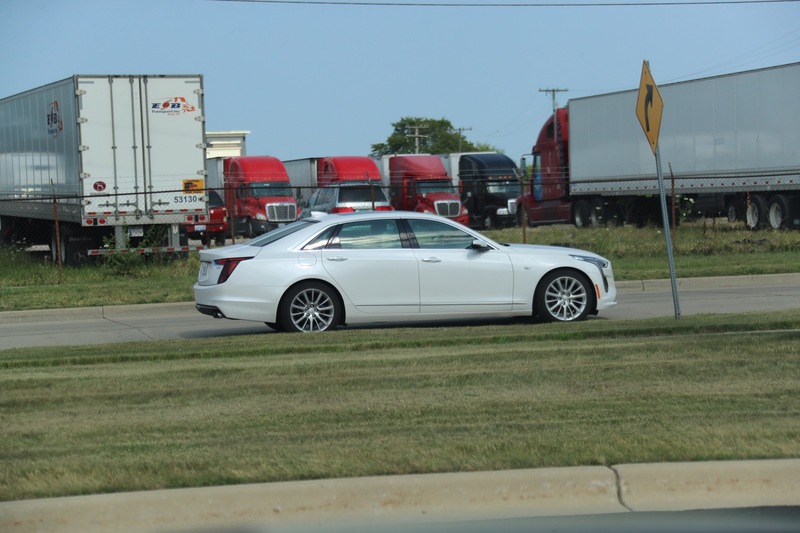 I’m sure Cadillac will offer visual upgrades to satisfy those looking for more. 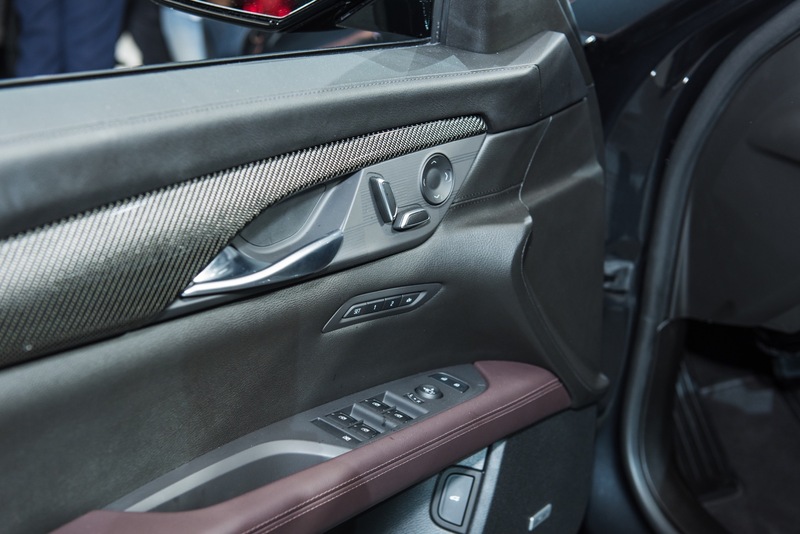 Carbon Fiber packages and similar, like the ATS-V and CTS-V.
Tuning is a non starter in the demographics sector buying cars in this class. Your recommendation of tuning works for mustangs and camaros and occasionally Vettes. It seldom happens for luxury products. 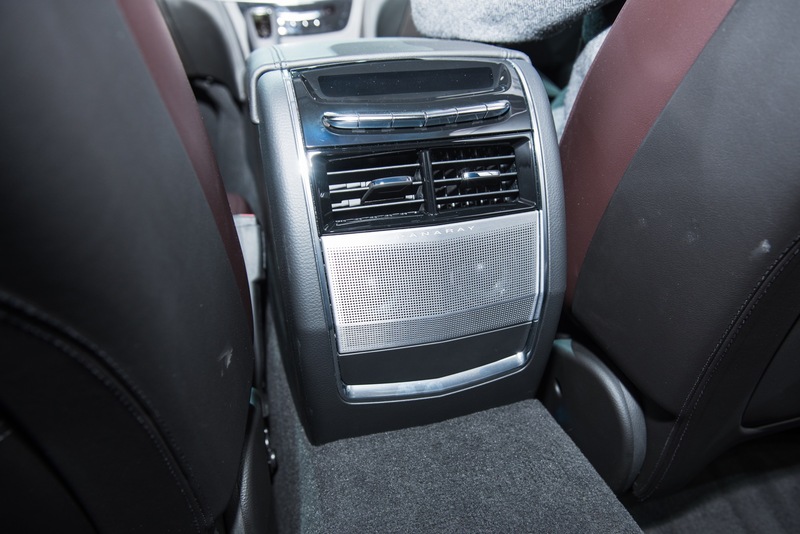 These people want it to work perfectly out of the box/from the dealership. The competition offers does. Does Cadillac? Do you realize how many people there are tuning their Audi’s, BMW’s and Mercedes’? APR, Unitronic, Revo, Burger Motorsports, Cobb, Renntech, and Dinan wouldn’t be around if people weren’t tuning their cars. Your perspective is all messed up. But if your answer to customers is tuning, you already have a commercial failure on your hands. 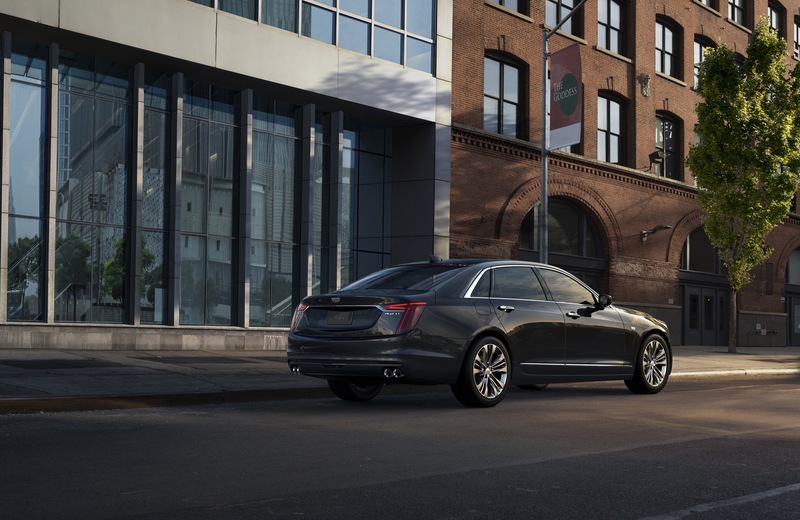 The CT6 3.0TT already out-handles most of its rivals. It feels a lot more like a Jaguar XJ than the Germans. I think it’s to streamline a low volume model. 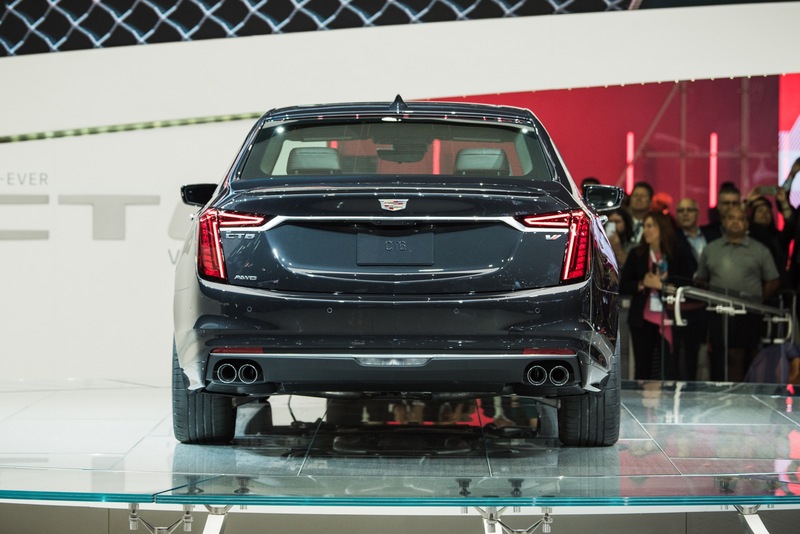 Cadillac was trying to have V-Sport, V, mentioned at one point a ‘V+’. I think they got a bit too ahead of themselves thinking they were AMG, and now the sales and demand for such models just isn’t there to justify diluting it down to multiple badges. Make a V, pool the sales. Whatever they call it, it will be very expensive and few will be sold. If you do want one, simply wait a bit and grab a very lightly used one at a huge savings. 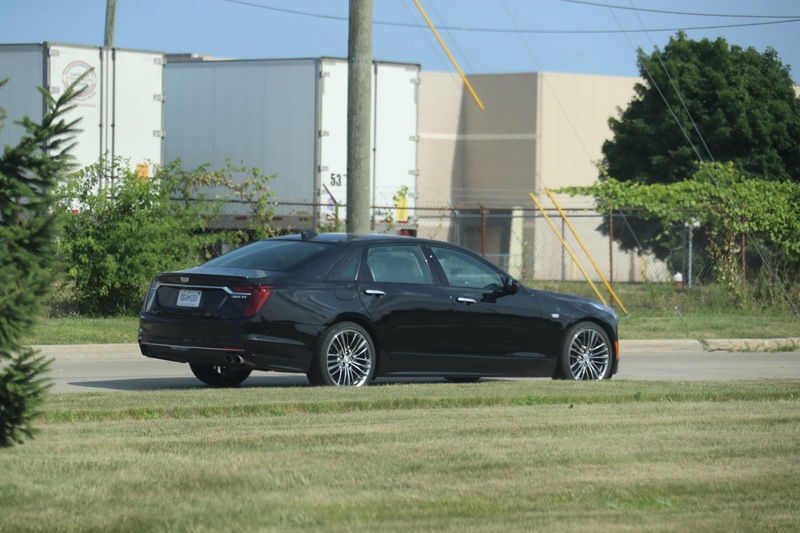 Currently a very nice, low mile ’16-’17 CTS-V can be had for $60-70K. Still a big tab, but far from the $90-100K for a new one. 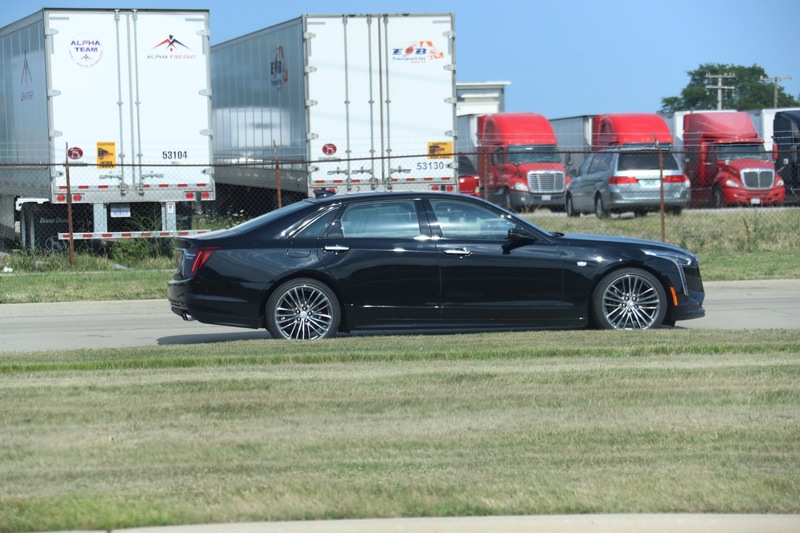 Fewer and fewer people are driving these big luxury cars. 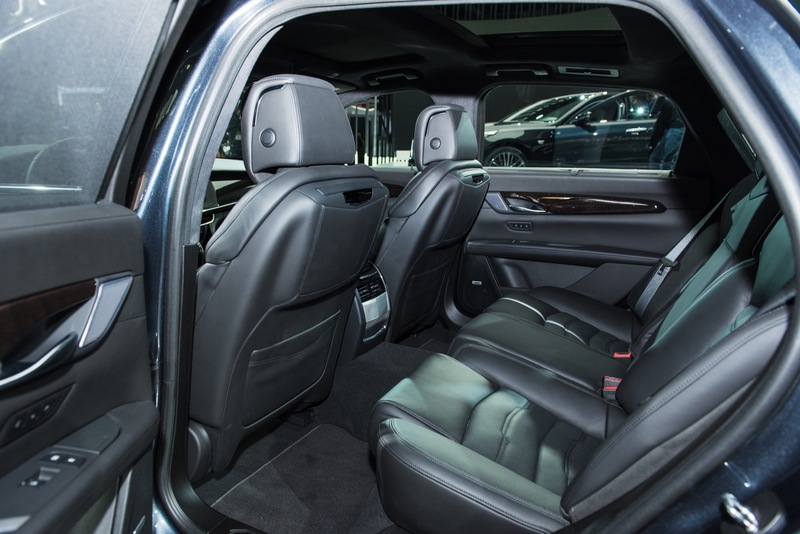 Mercedes dominates the market with the S-Class and it’s quite a car, but they don’t hold value either. 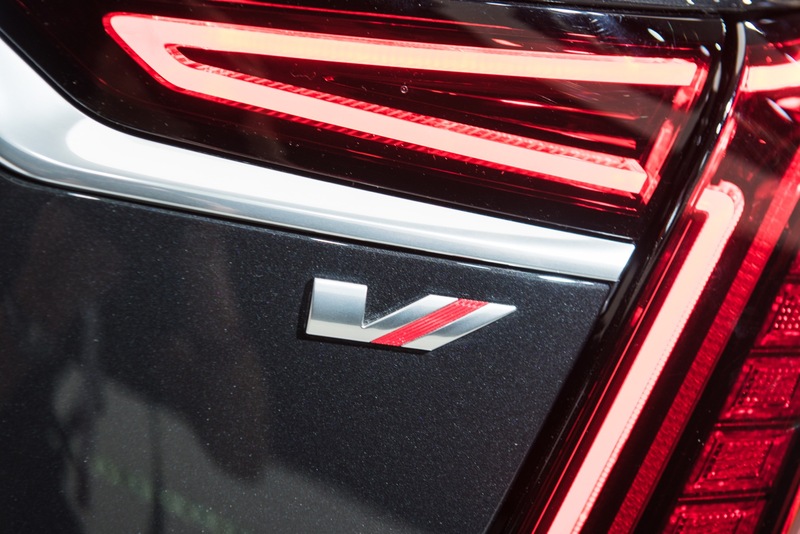 What if they are phasing out V-Sport? I could see their “reasoning” behind it. 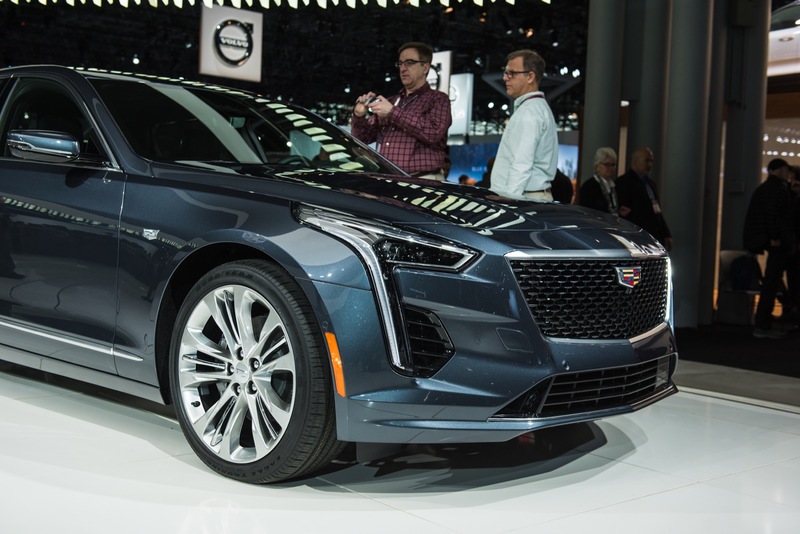 Cars weren’t selling, No brand recognition, thought “Sport” is a good substitute for V-Sport or simply wanted to save a buck on the badges … It’s GM we’re talking about here. 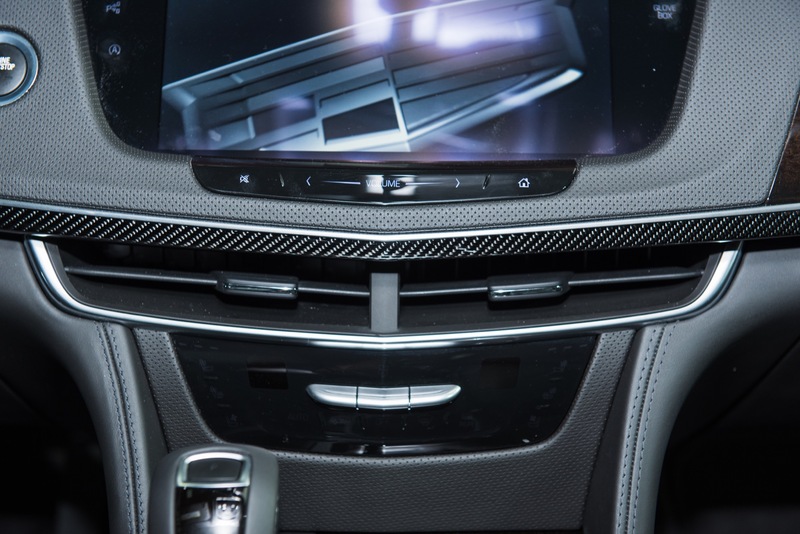 Or what if they’re planning to turn it into an Audi S-Line or Mercedes AMG line kind of trim? Basically cosmetic body & interior upgrades, but nothing mechanical. Or even an M-Sport like trim? Chassis, Body & Interior upgrades, but no unique engines? Or they’re planning to turn it into a Mopar like thing? Gosh, it would be much easier if they just got on the record. How about this for the name change , they have the Y system for model separation. In the sport part of the Y you have the sport with the TT3.0 and the V with the the 550 HP 4.2. I just hope the full on V will be able to compete with the class leader in its category. 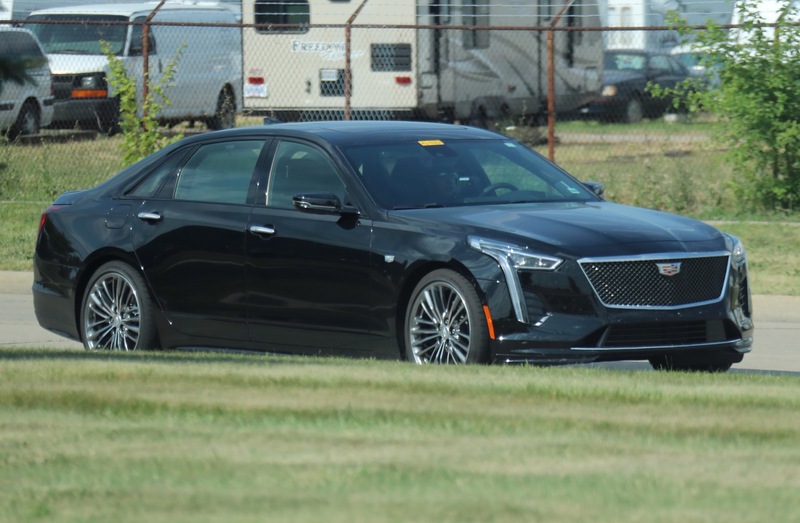 Bottom line is.. Cadillac’s CT6-V will be equipped with the 550 hp LTA twin-turbo 4.2L DOHC-4v V8 and for most people, this is the only thing that they’re interested in. 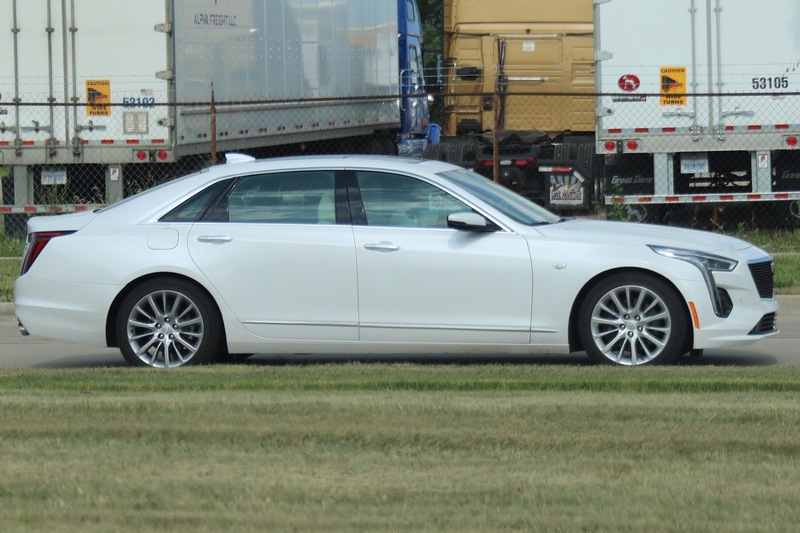 CT6 is a pretty light car too. It’s not THAT light. It is just as light and just as heavy as other full-size rivals. 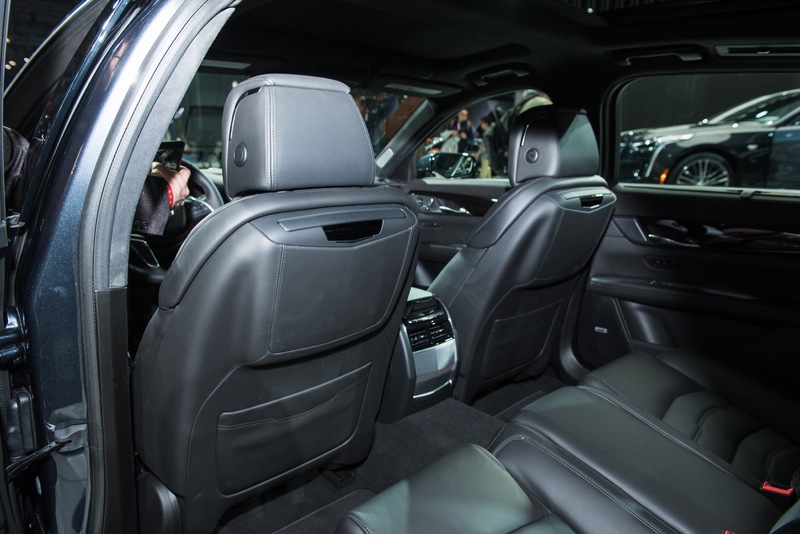 The new 7 series is just as light… the Benz isn’t far off. 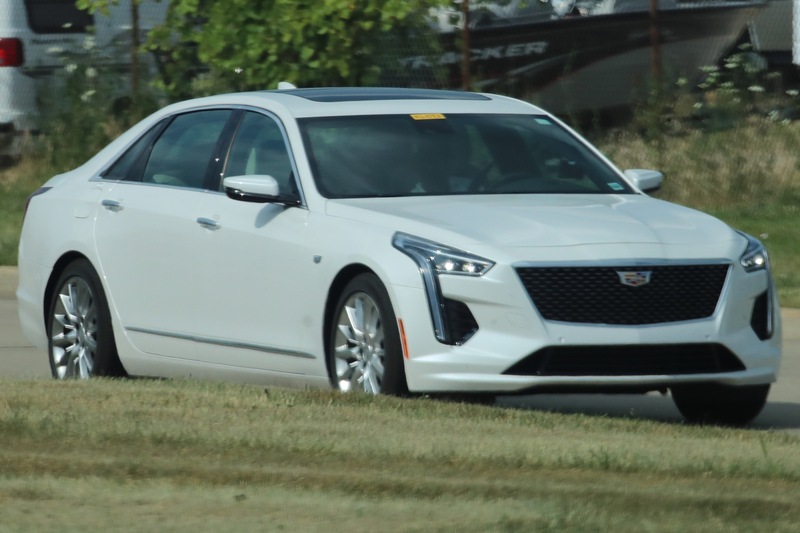 GM made a big deal about how light it supposedly is, but a big part of that was that the base model has the 2.0L turbo engine and RWD. Add in a real engine and AWD and the weight advantage becomes negligible.